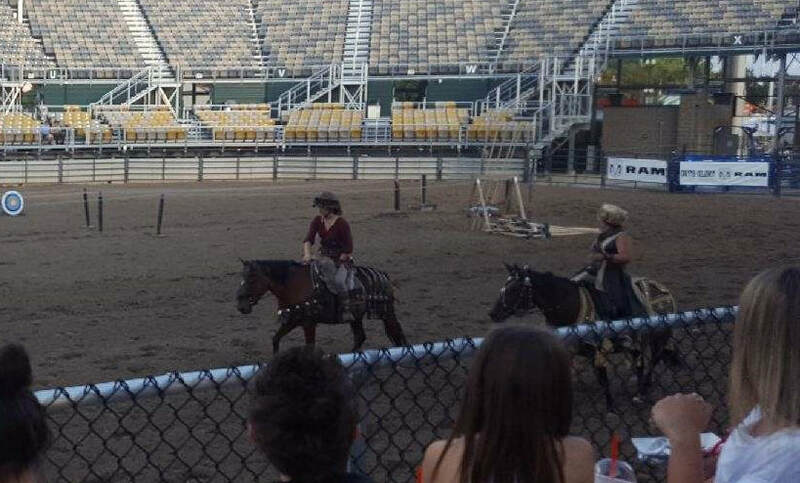 Several of our members got to perform in front of the largest audience to date! 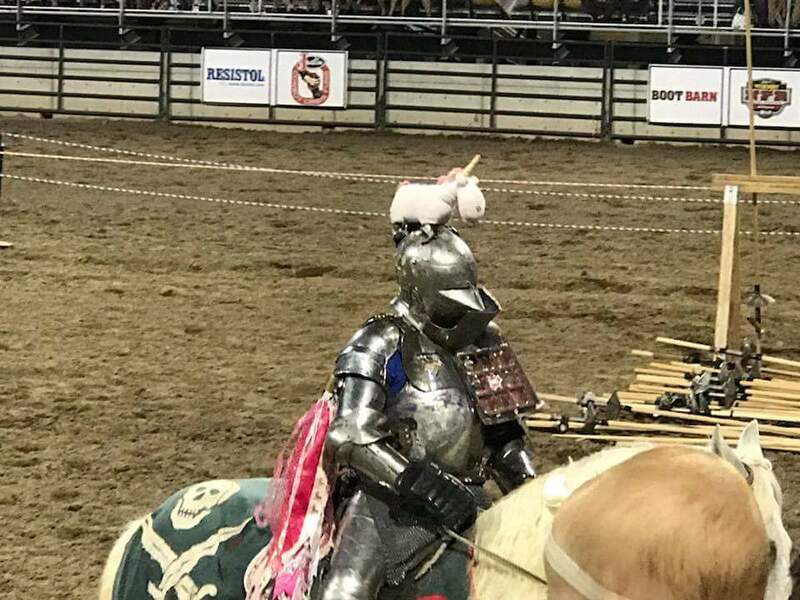 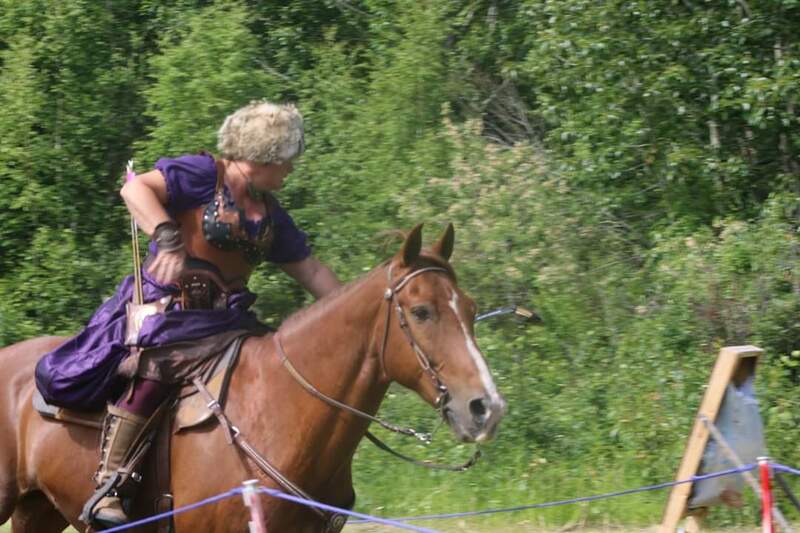 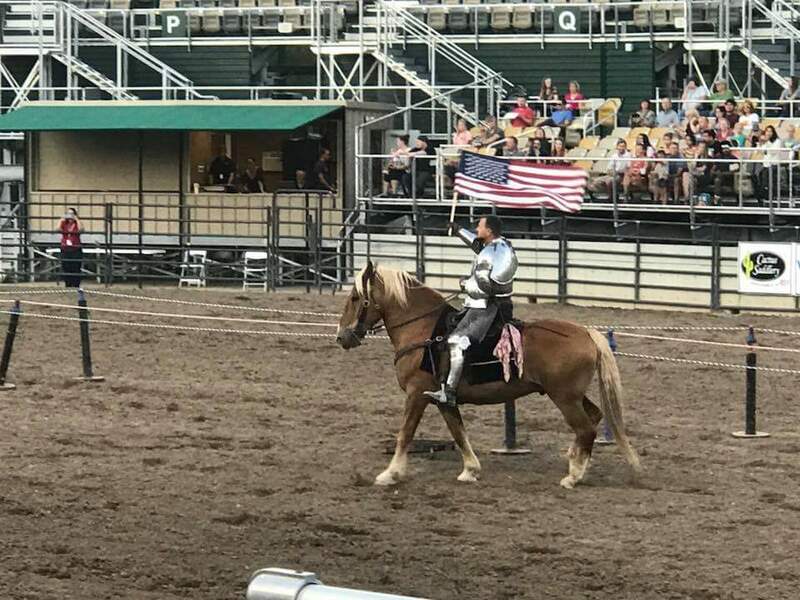 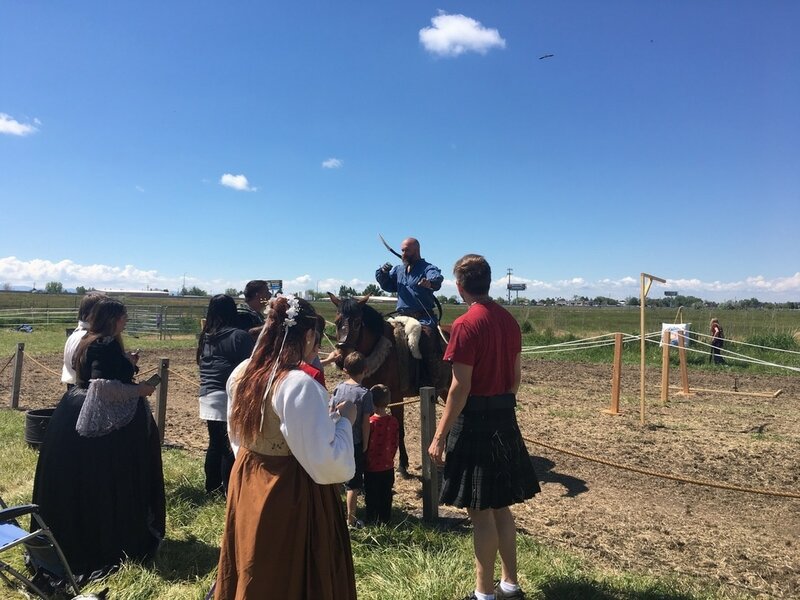 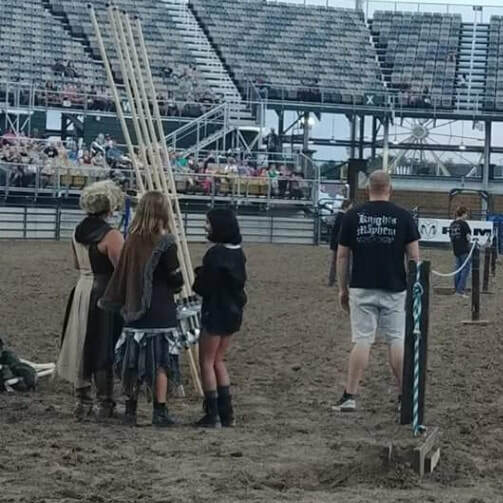 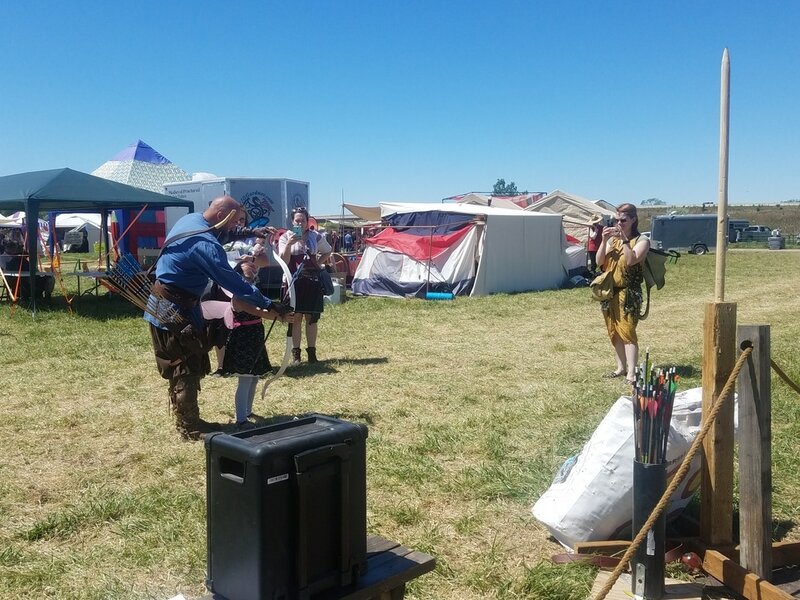 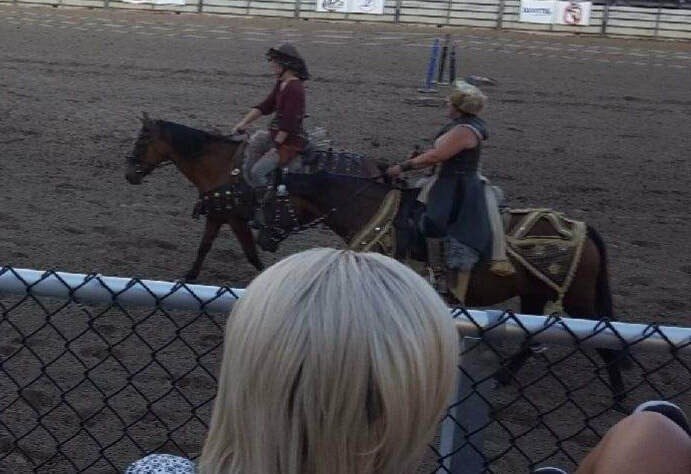 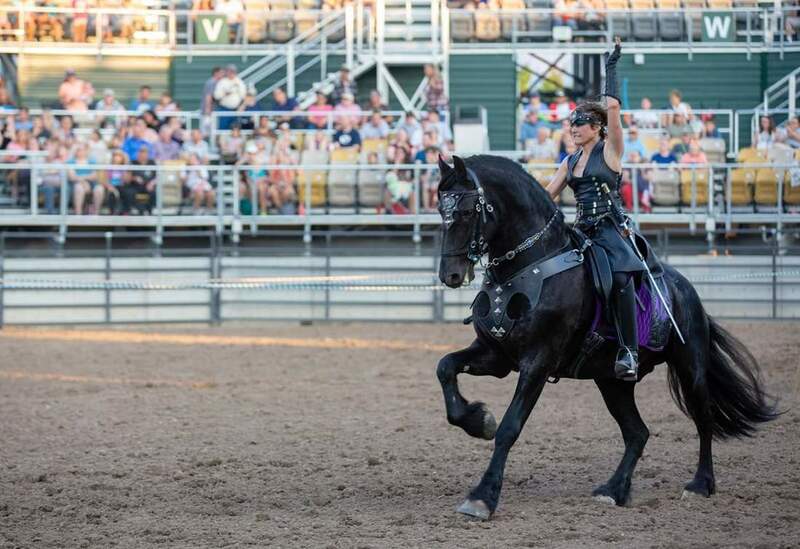 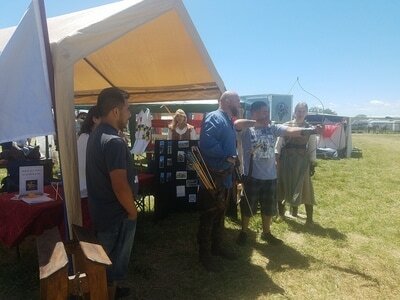 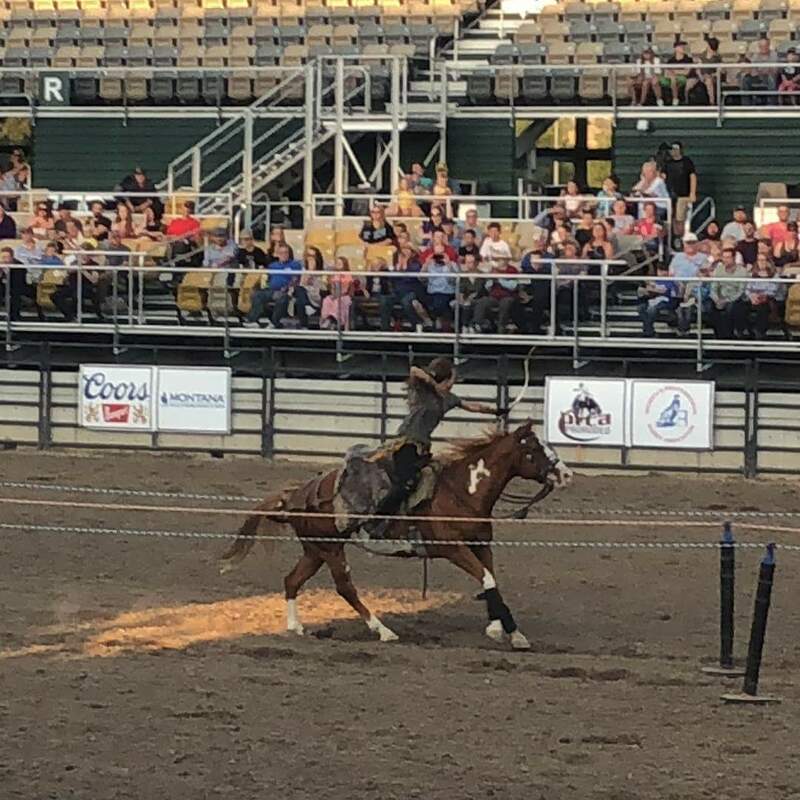 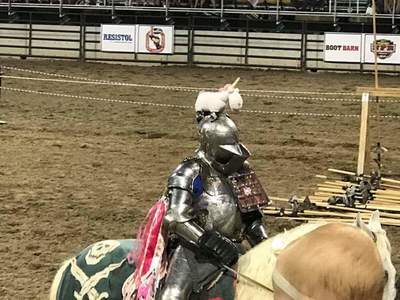 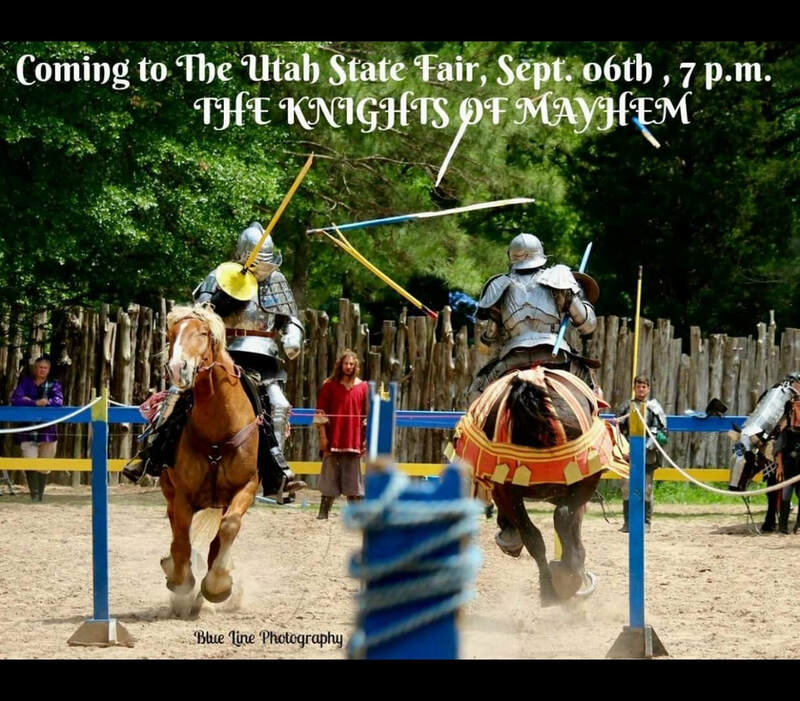 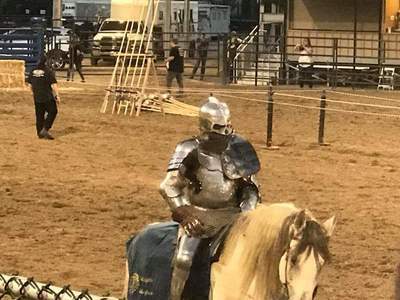 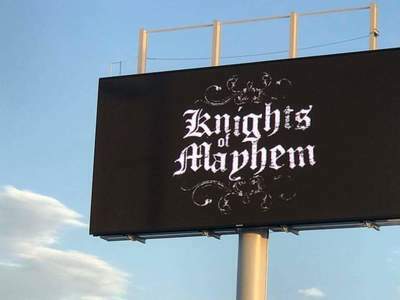 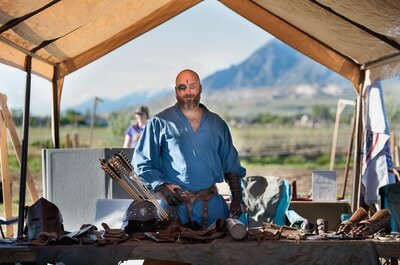 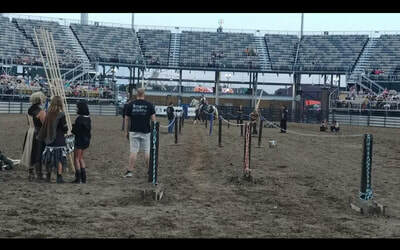 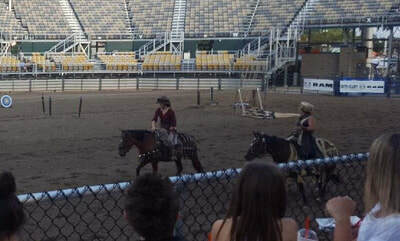 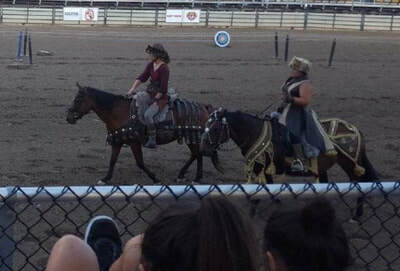 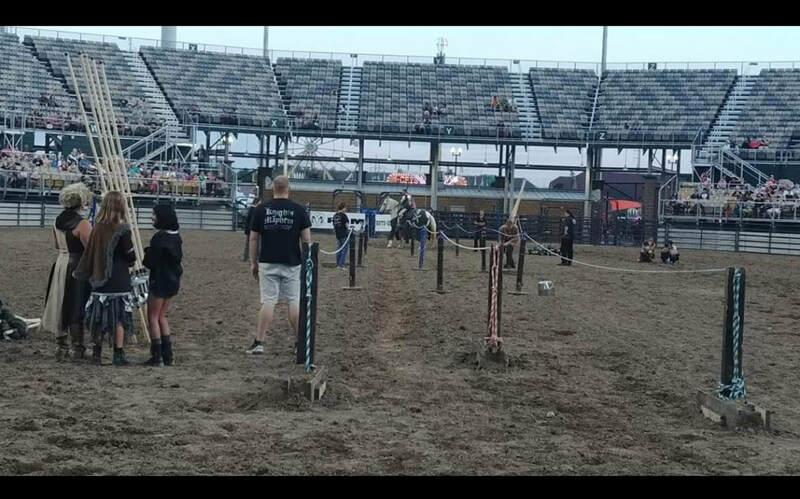 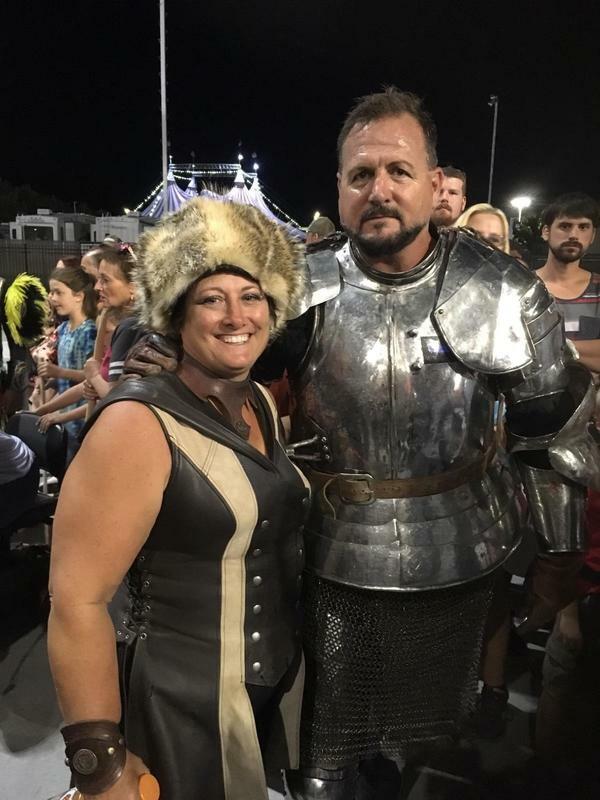 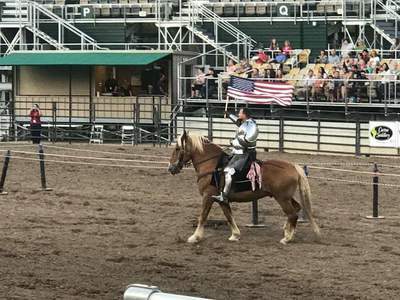 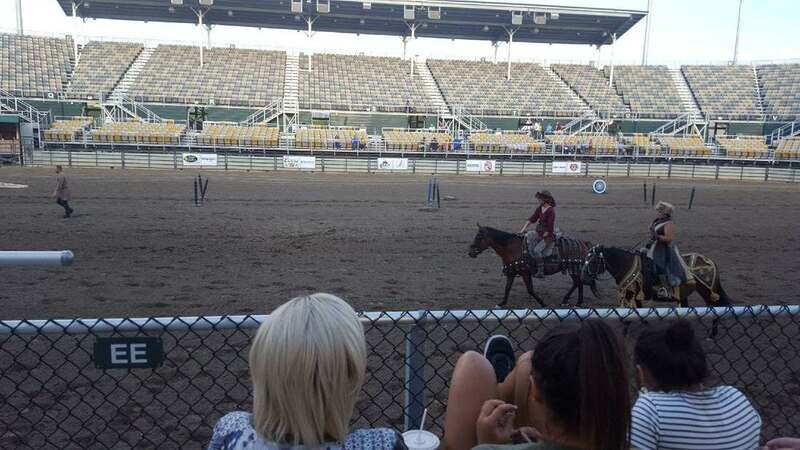 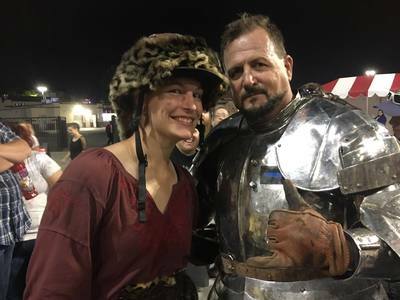 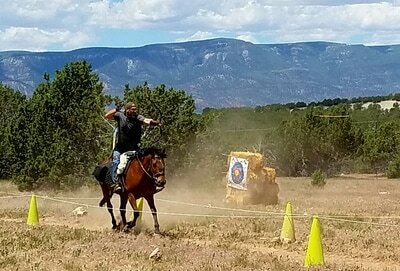 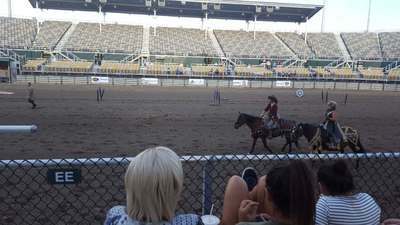 We were part of the opening events to the Knight's of Mayhem Jousting competition! 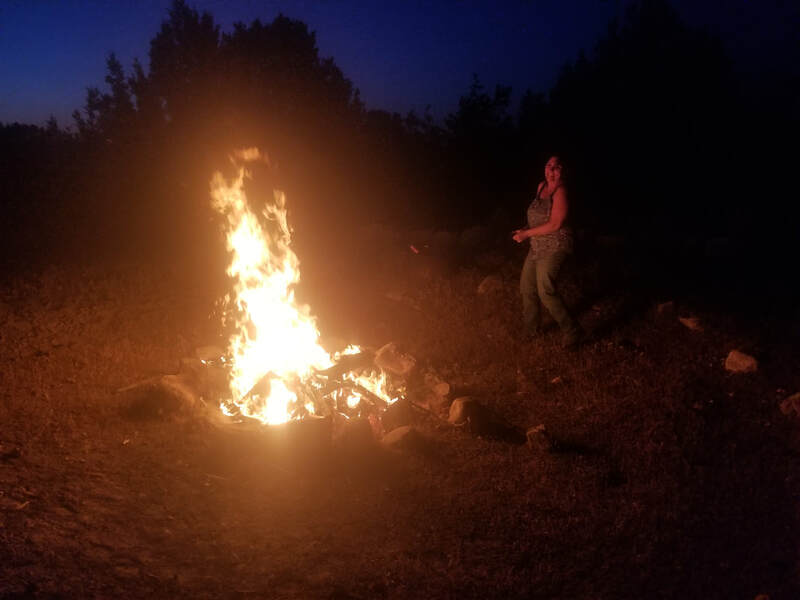 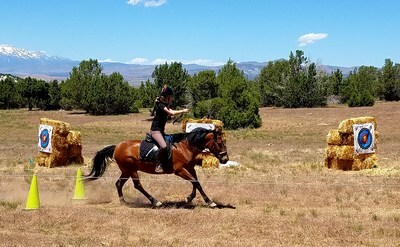 It was hot but wow what a fun time we had! 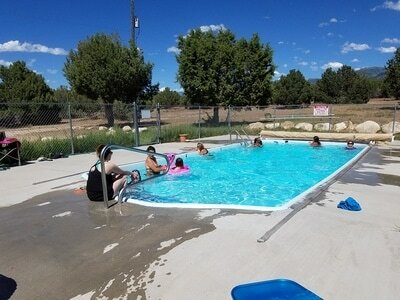 The pool made it so nice and we had a blast sharing the sport, seeing old friends and making new ones. 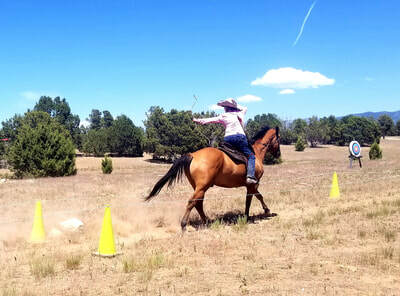 Grading Session - Boy was it hot! 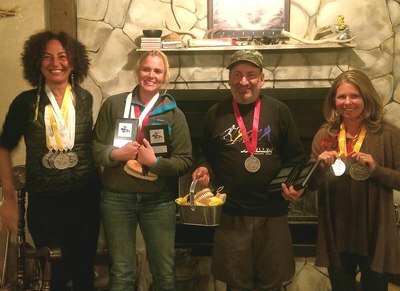 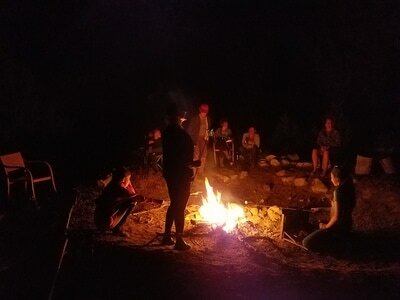 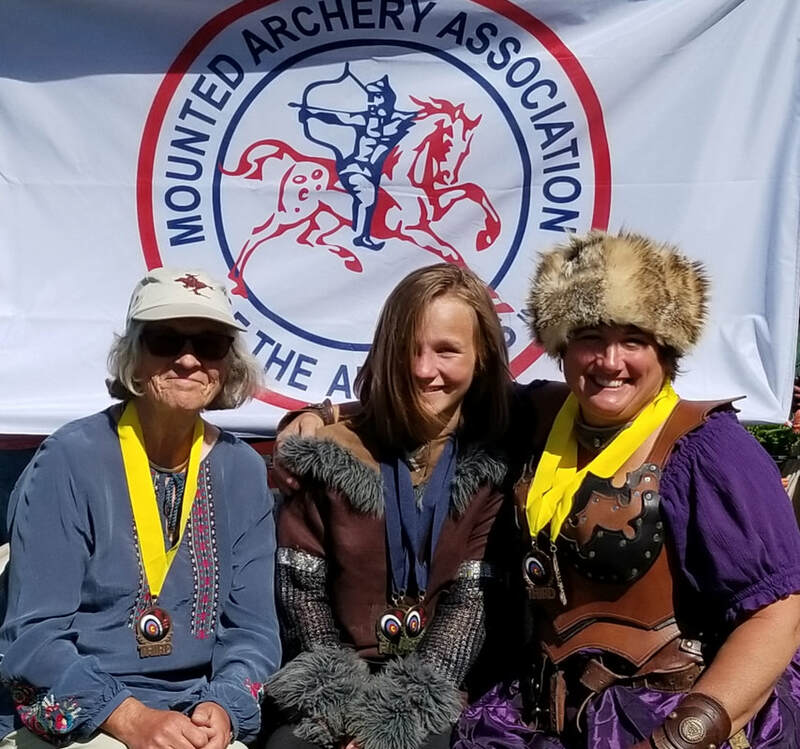 3 Alpine Members Compete in Alaska! 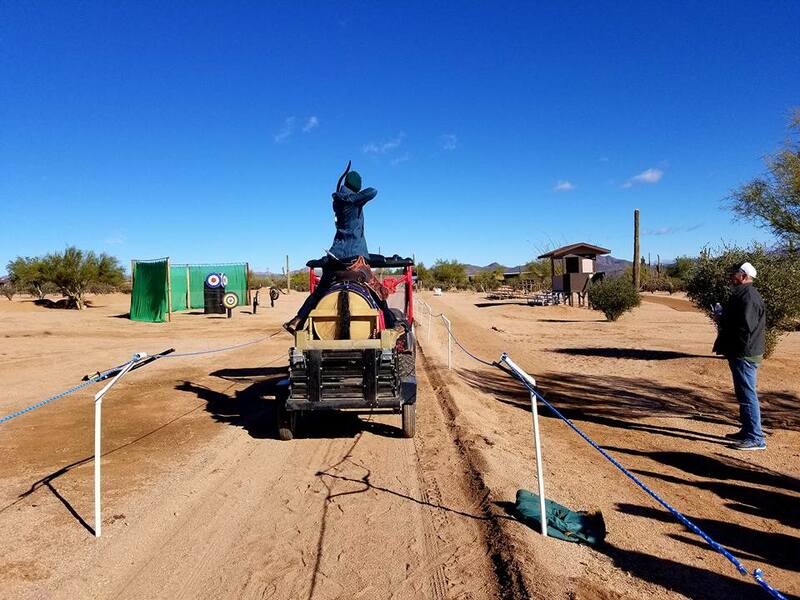 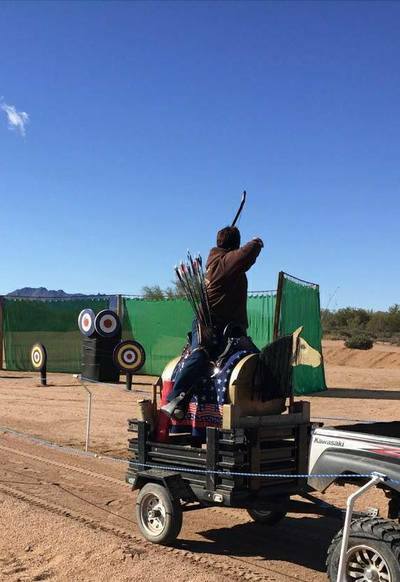 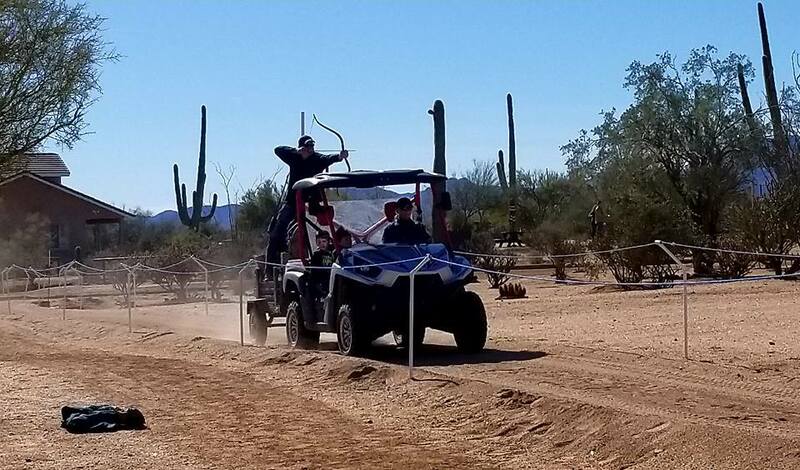 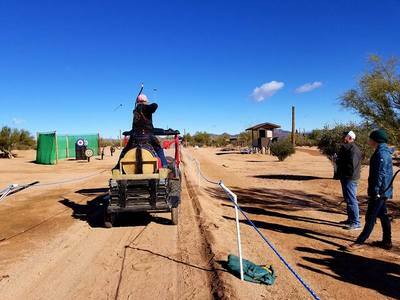 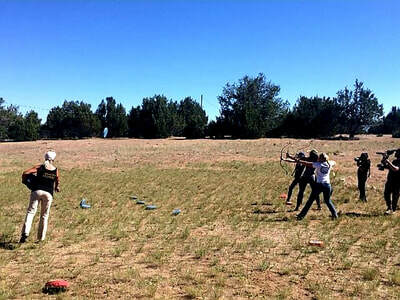 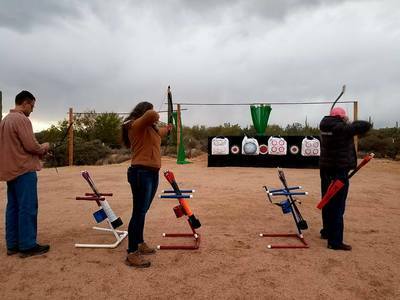 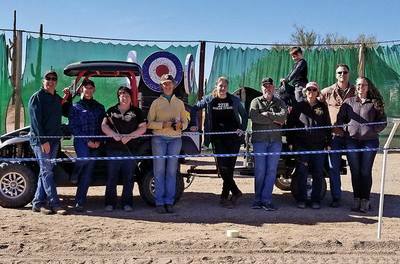 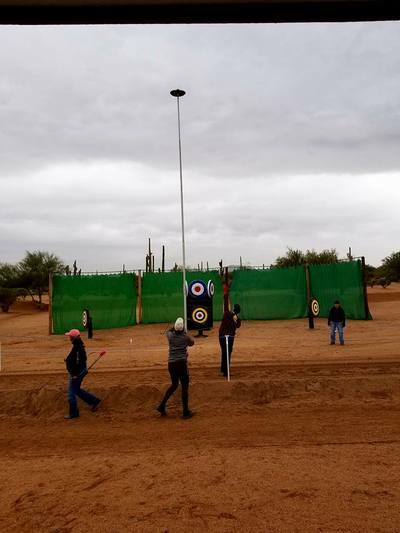 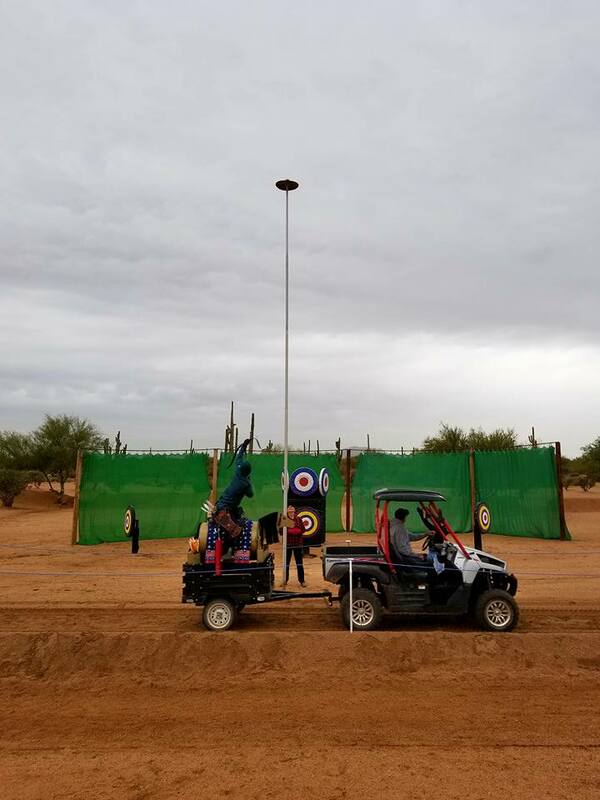 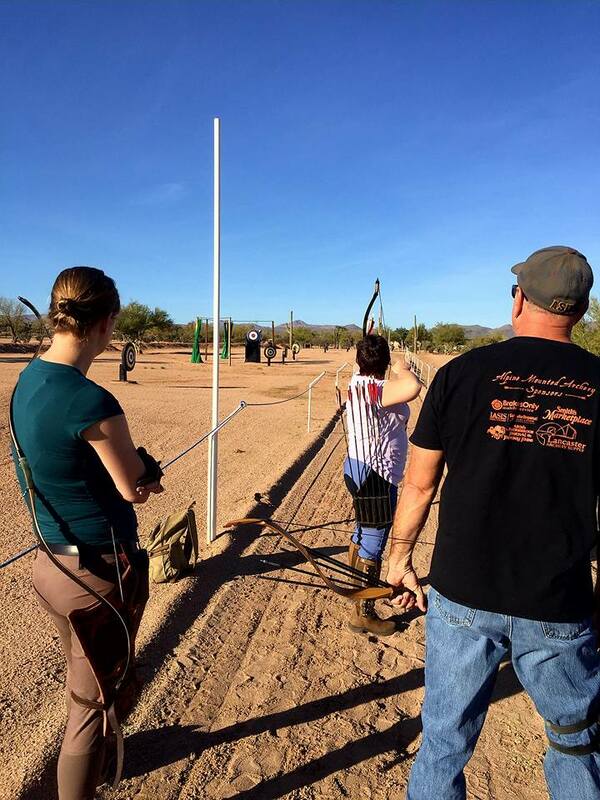 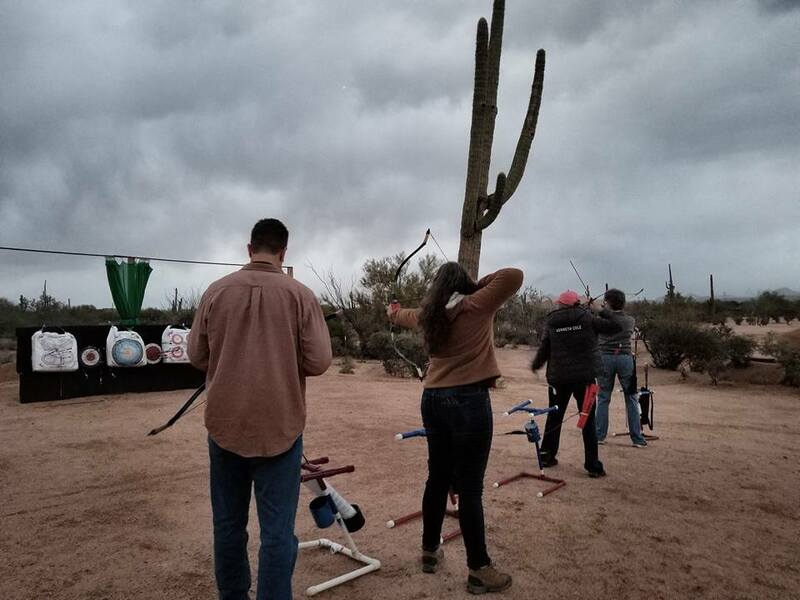 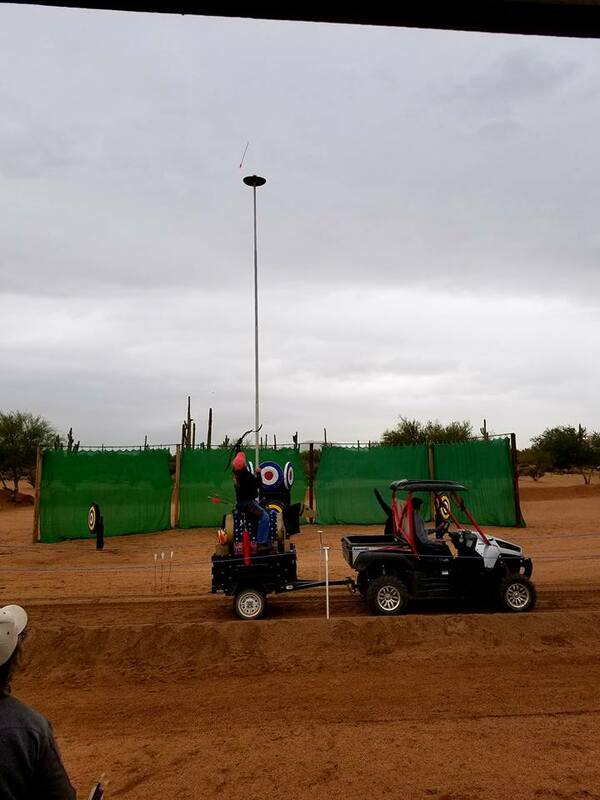 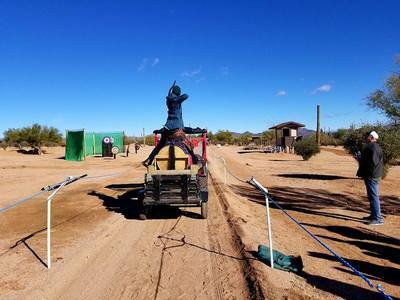 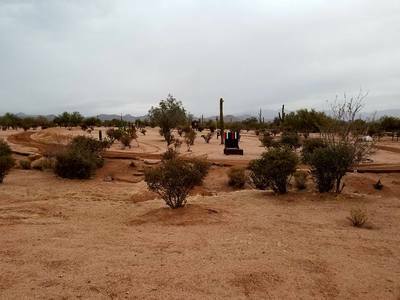 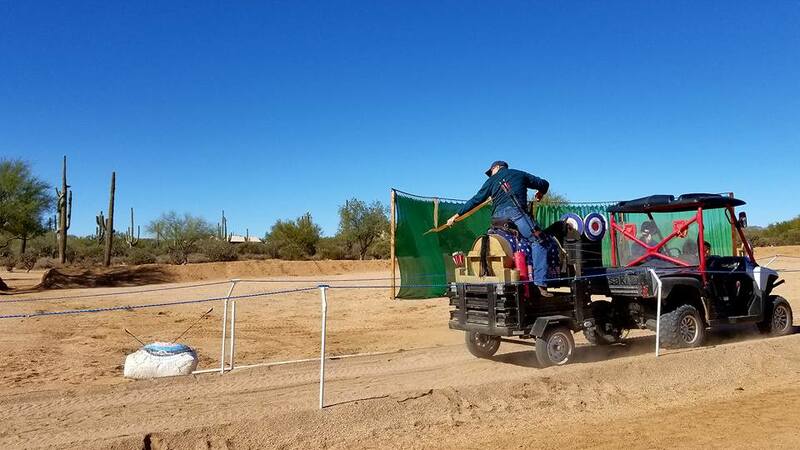 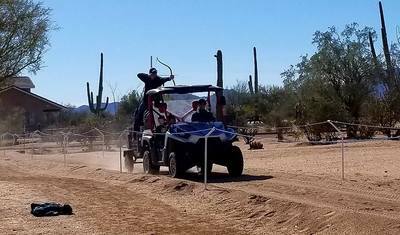 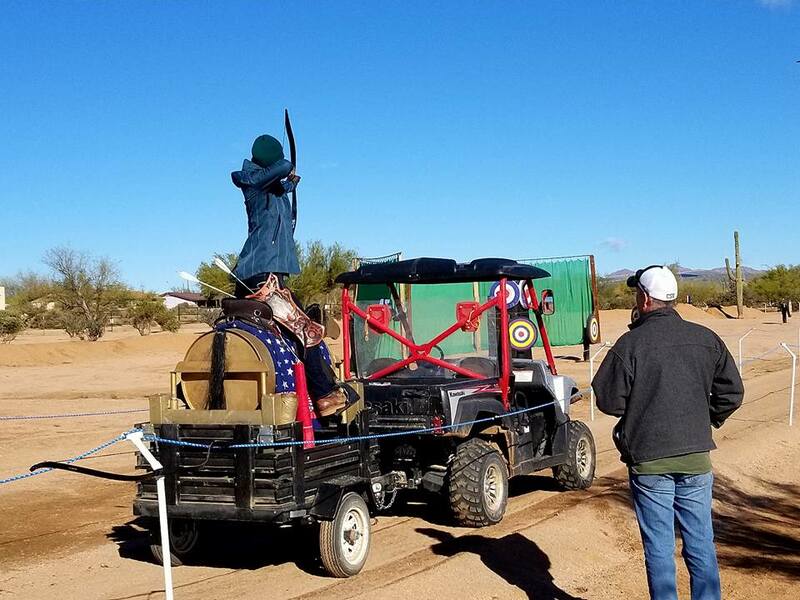 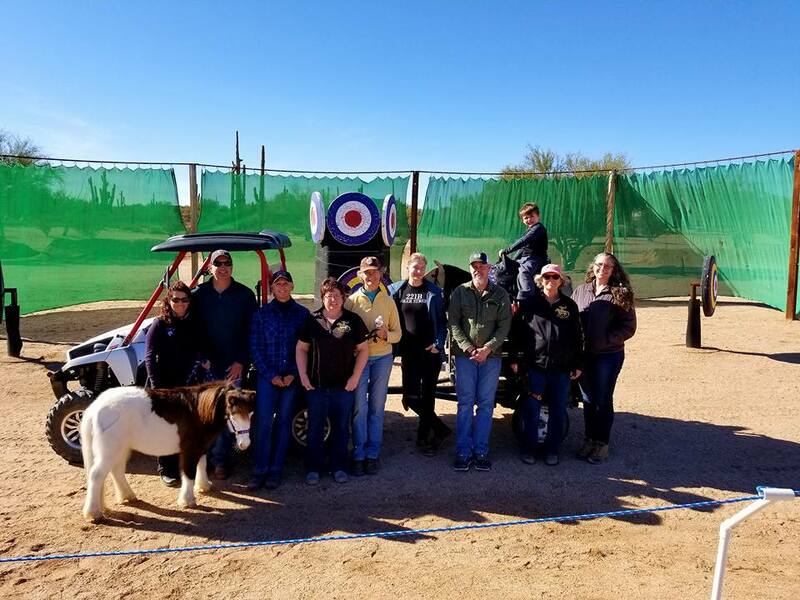 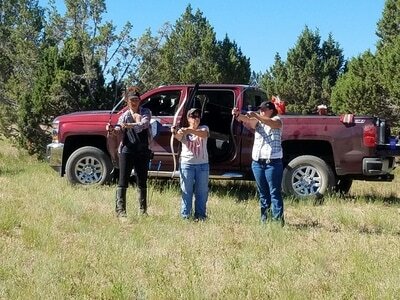 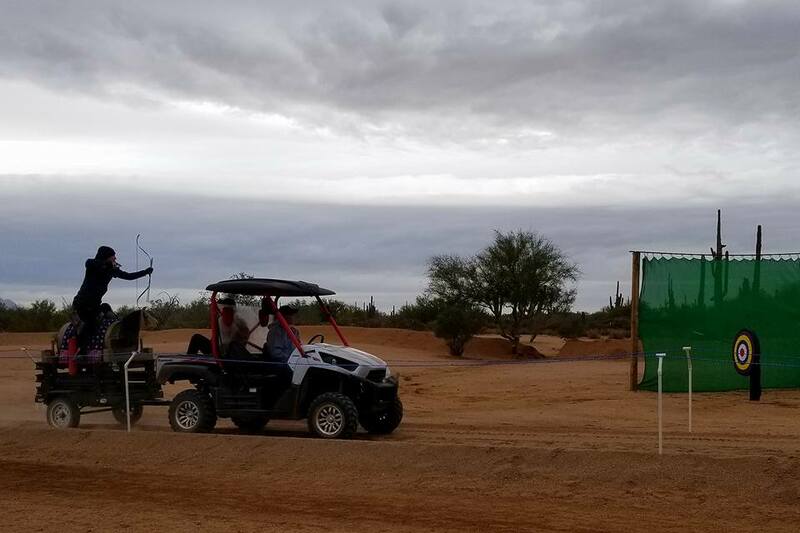 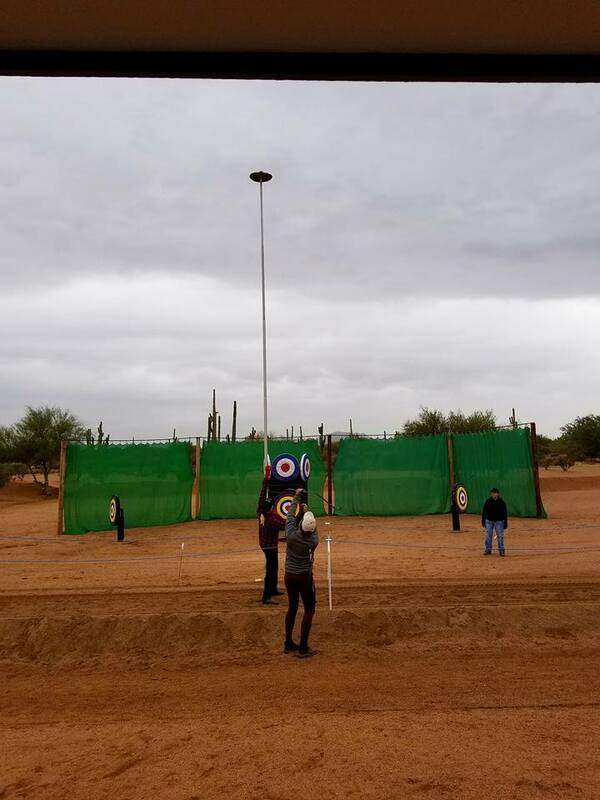 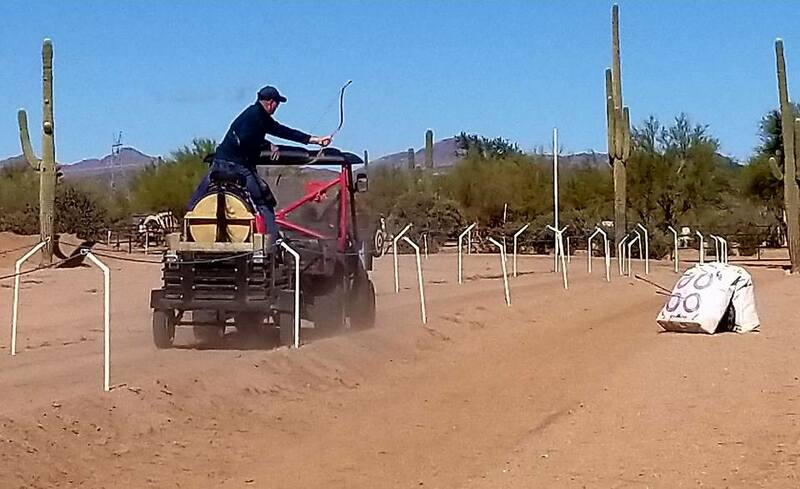 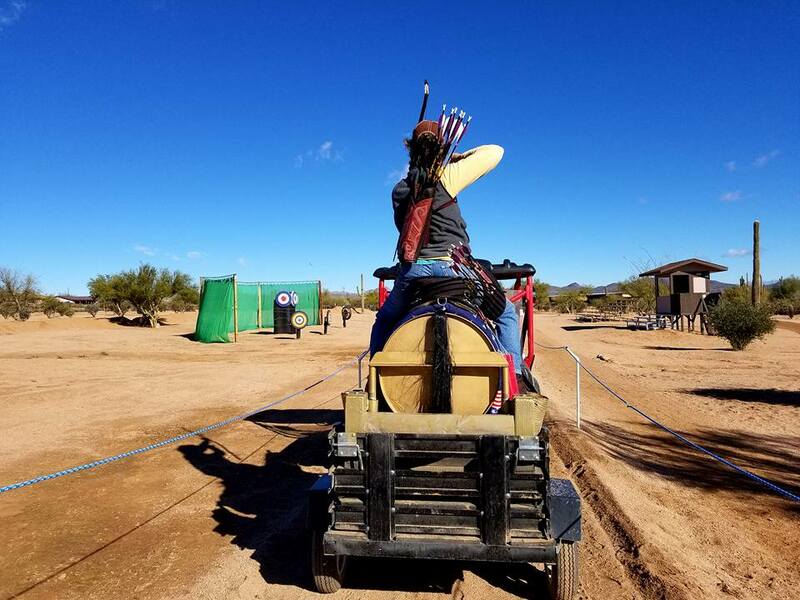 Our board members and instructors recently traveled to Scottsdale AZ to get some training in from the Desert Warriors. 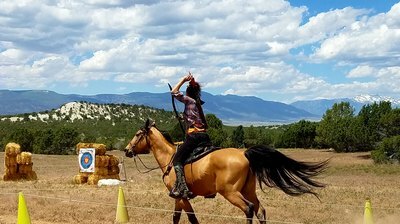 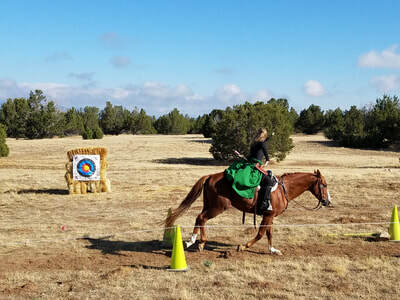 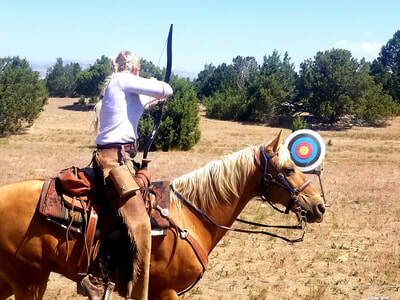 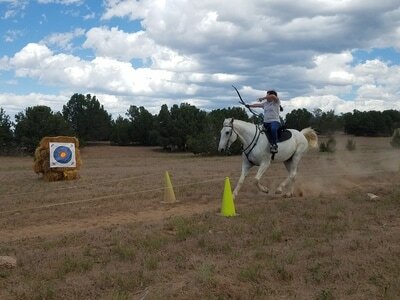 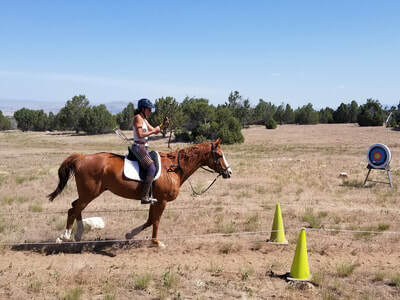 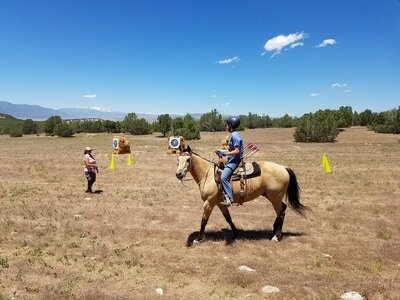 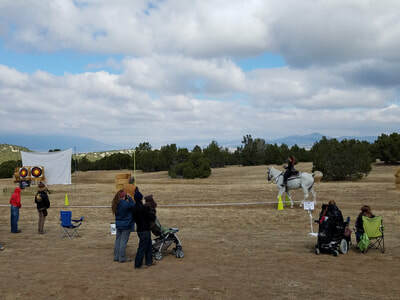 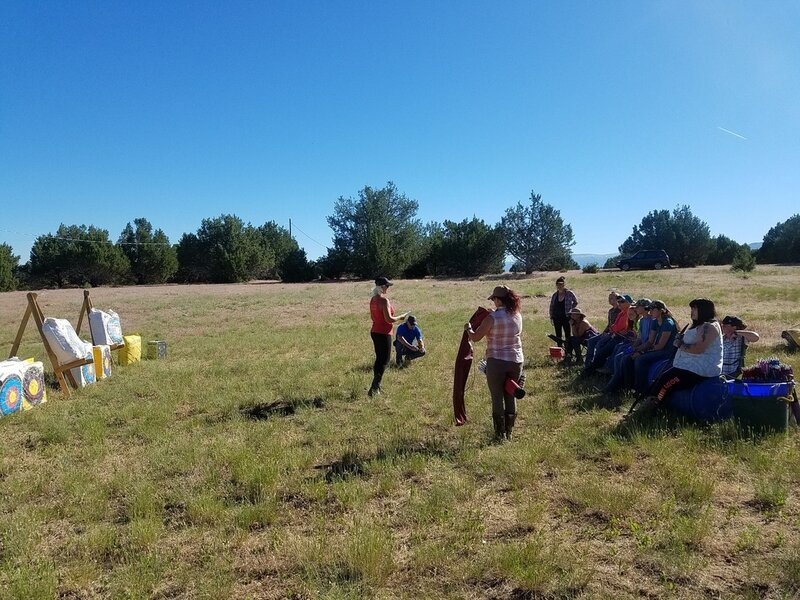 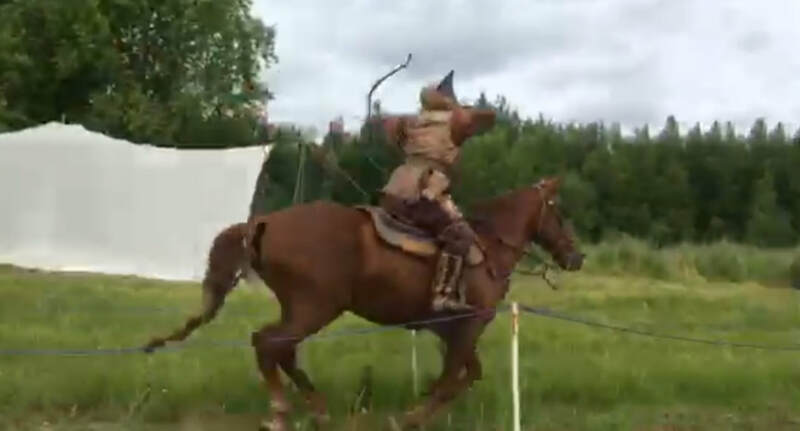 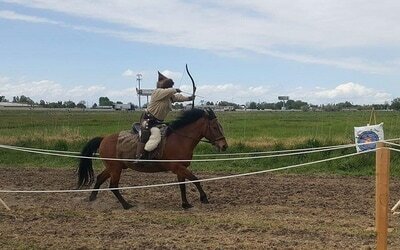 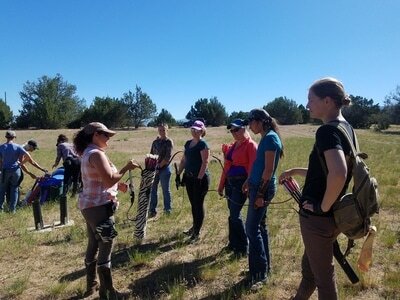 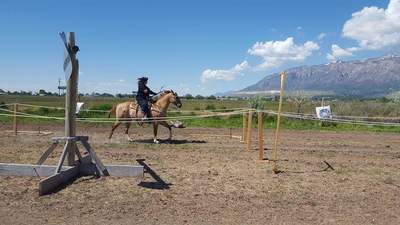 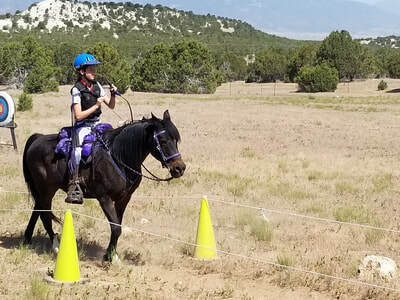 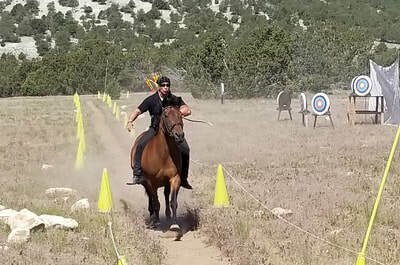 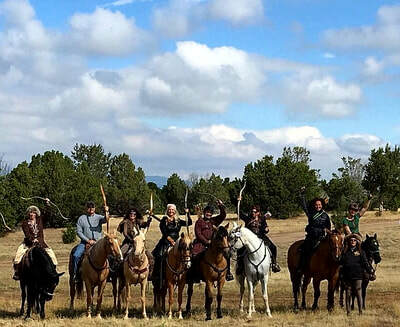 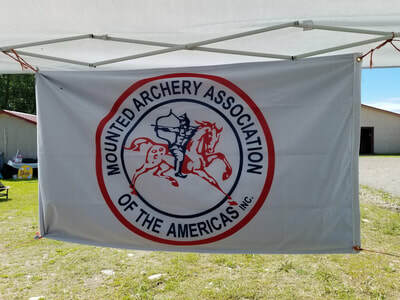 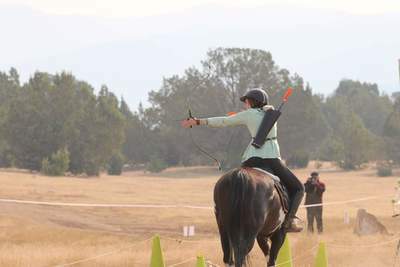 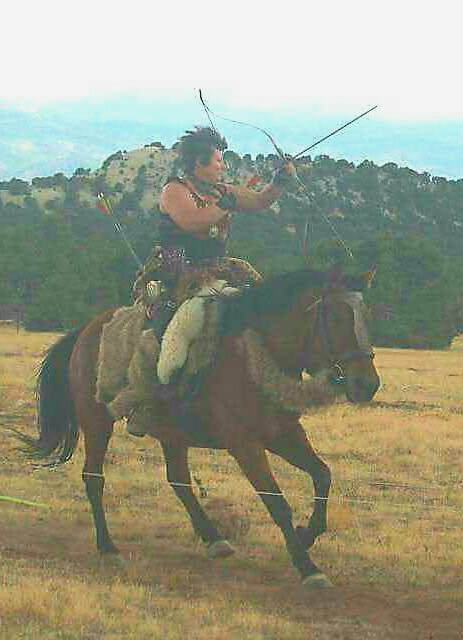 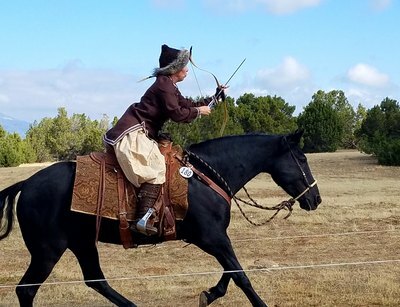 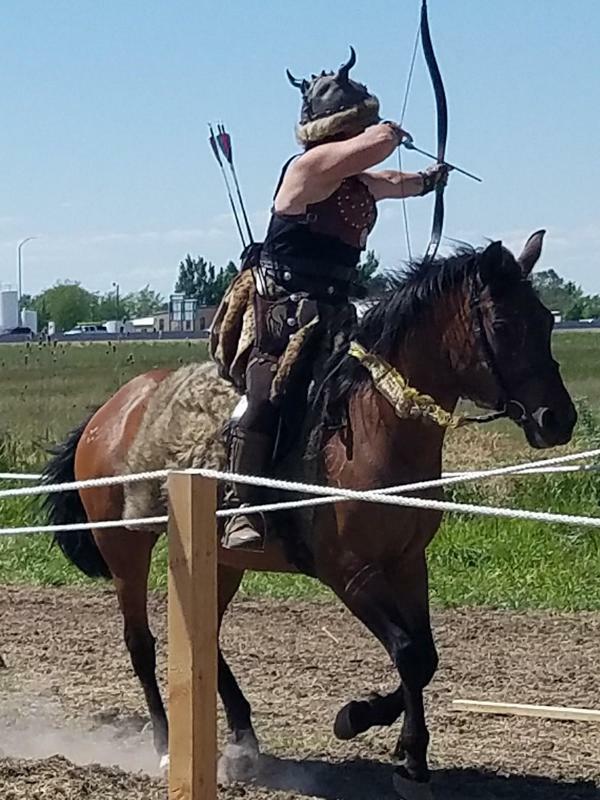 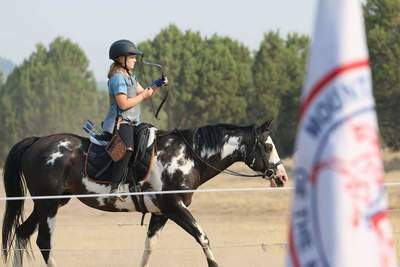 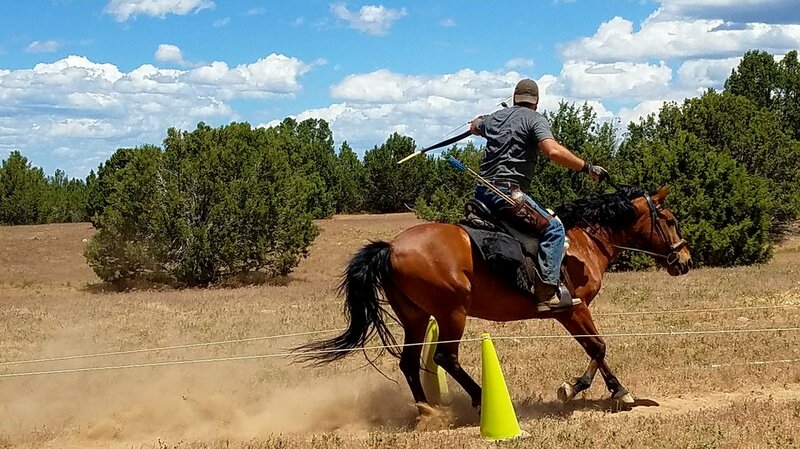 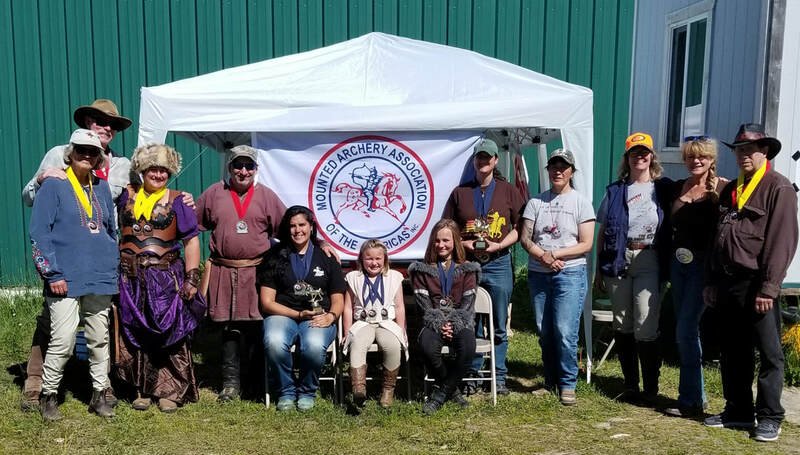 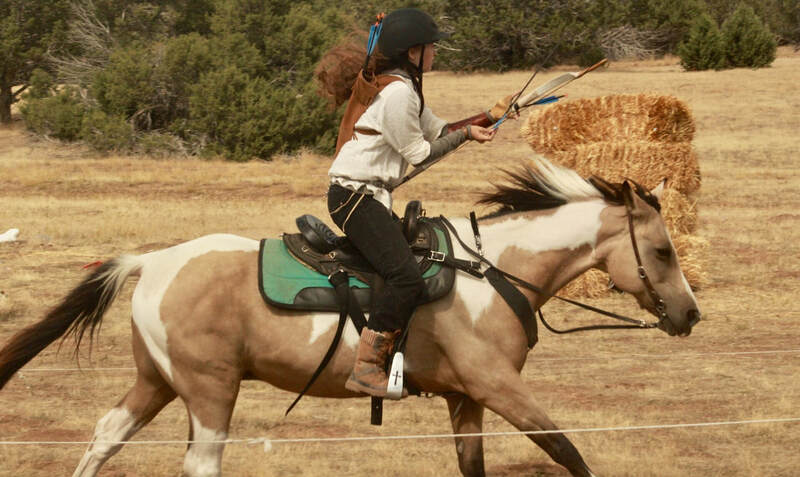 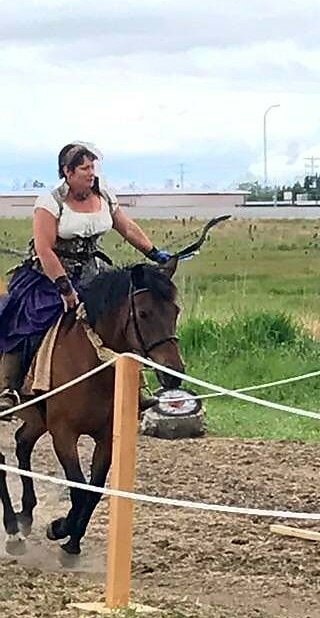 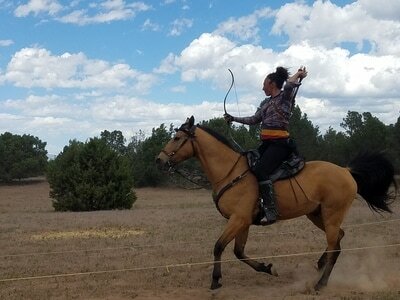 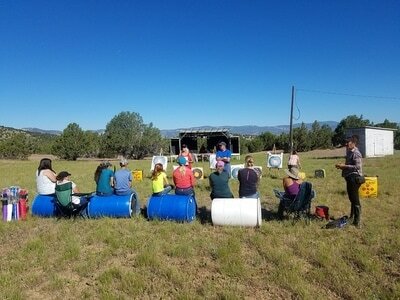 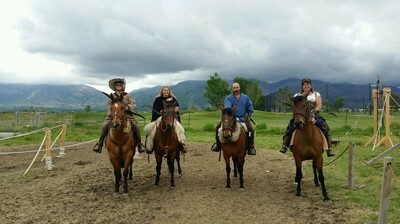 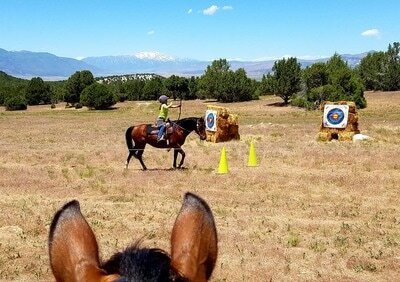 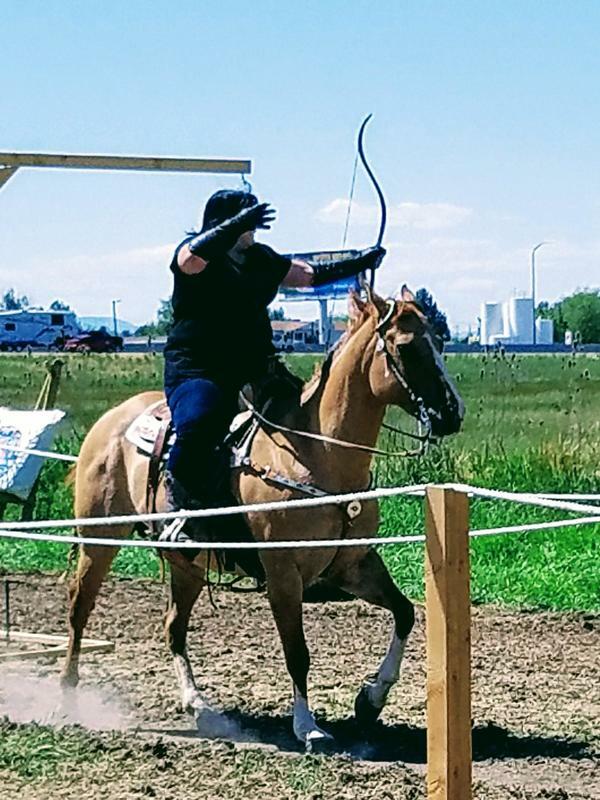 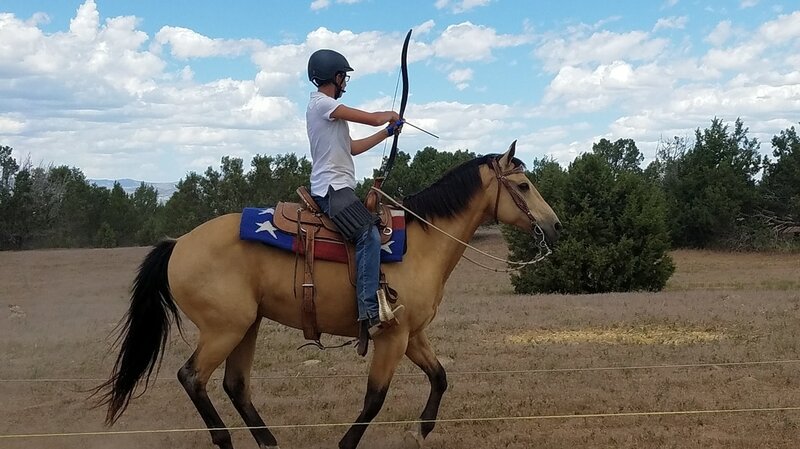 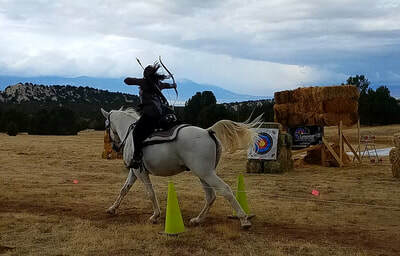 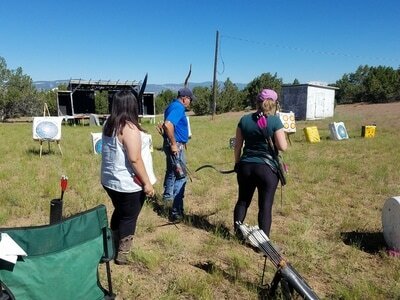 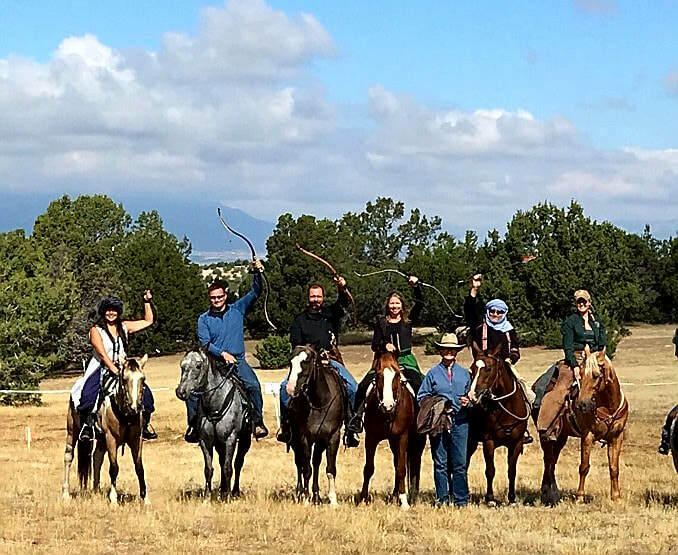 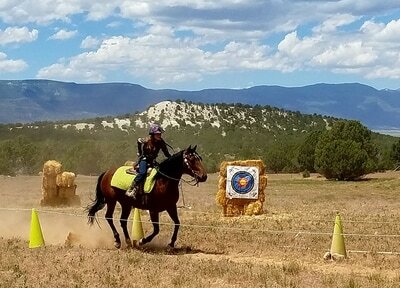 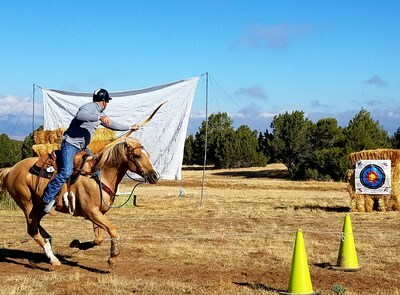 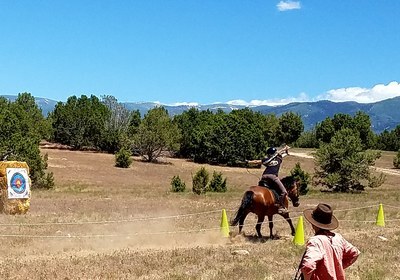 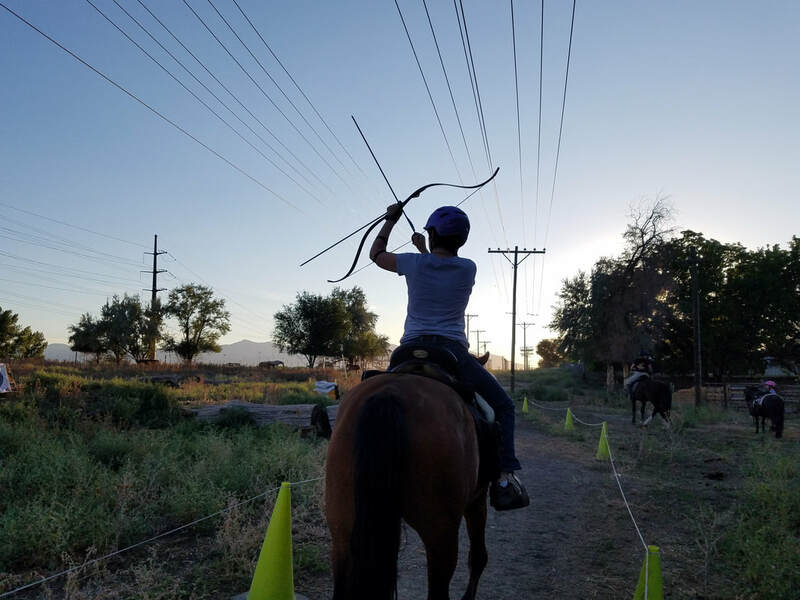 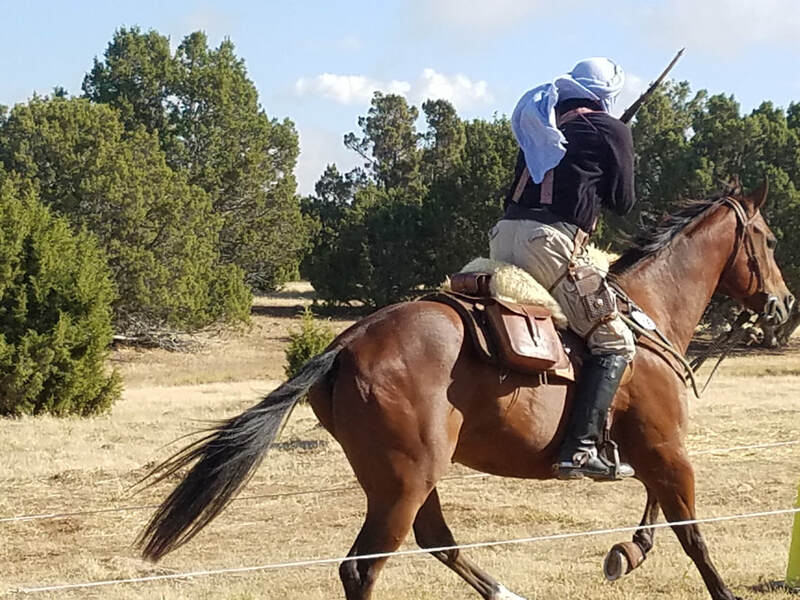 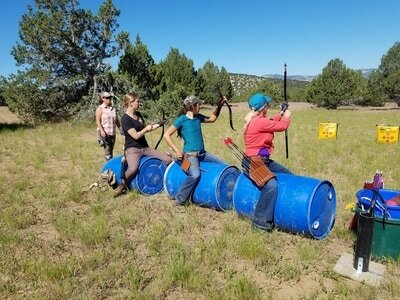 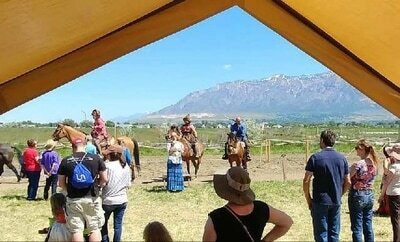 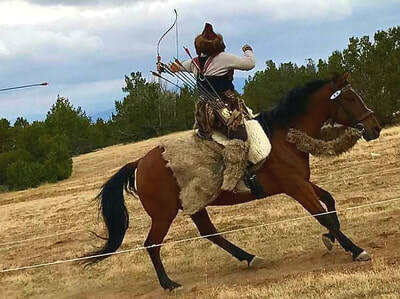 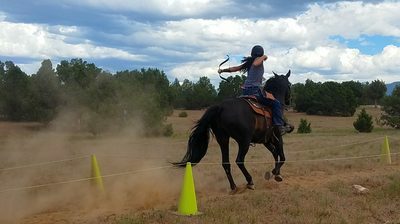 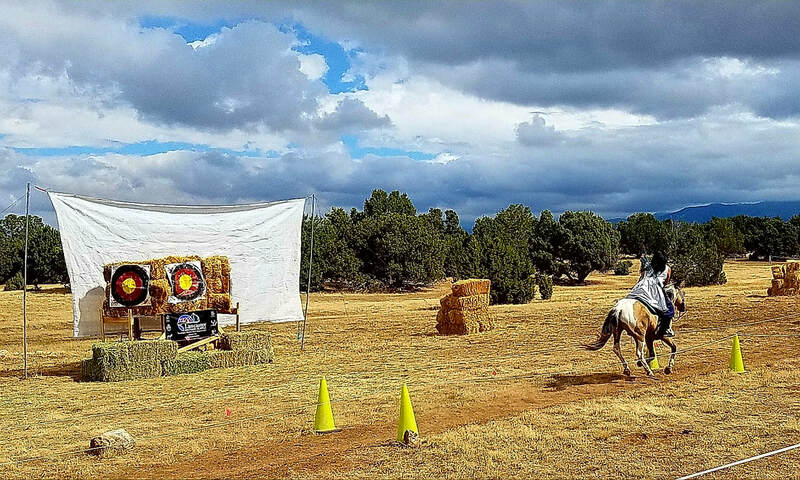 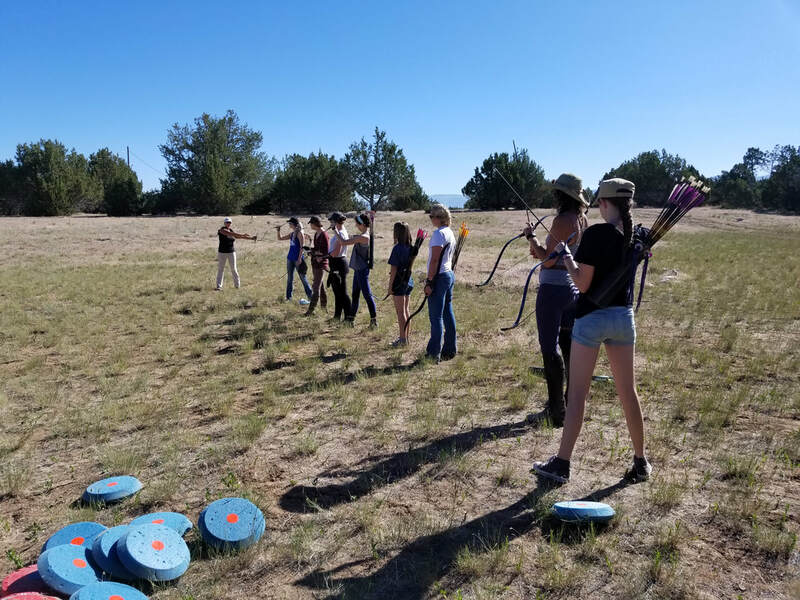 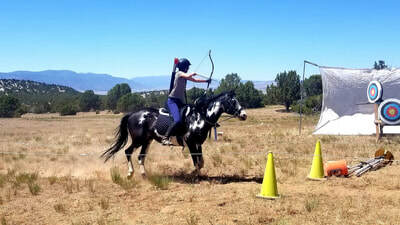 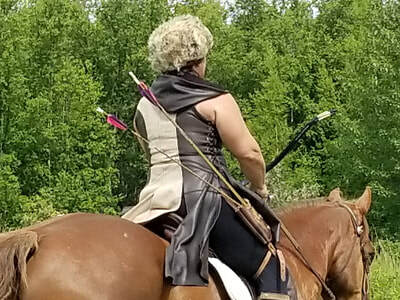 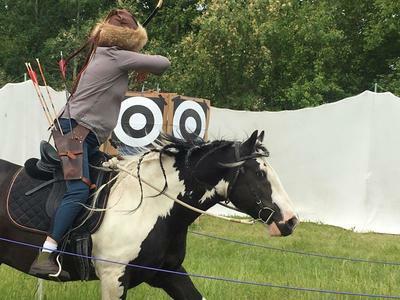 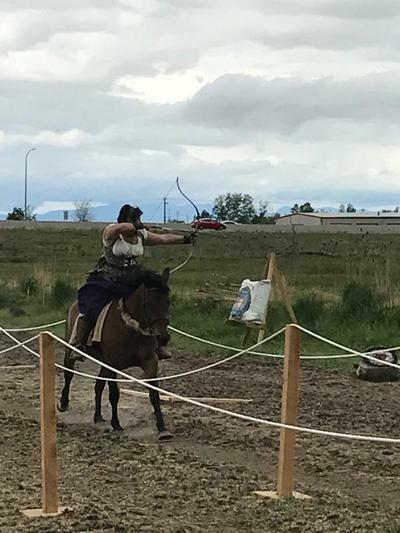 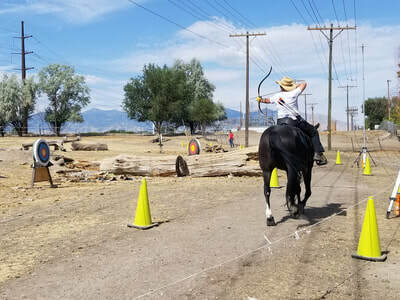 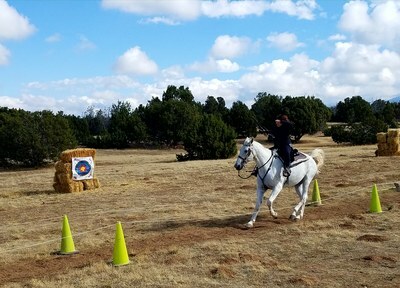 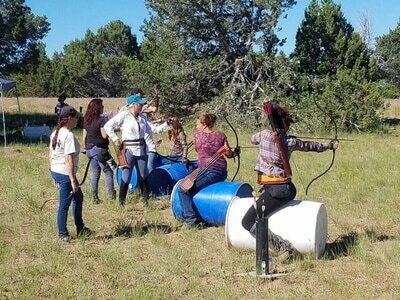 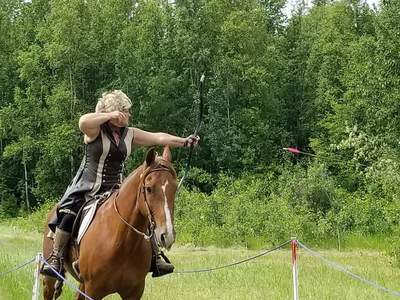 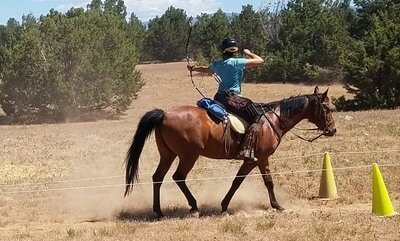 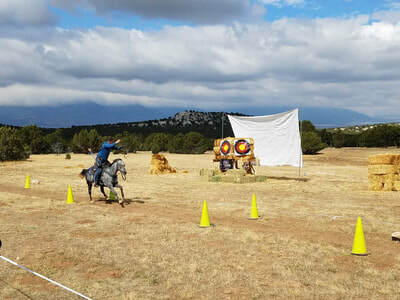 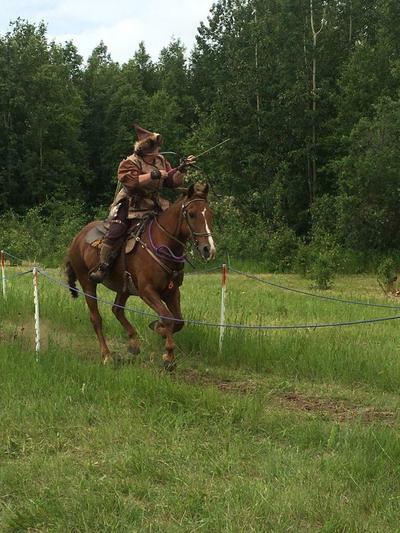 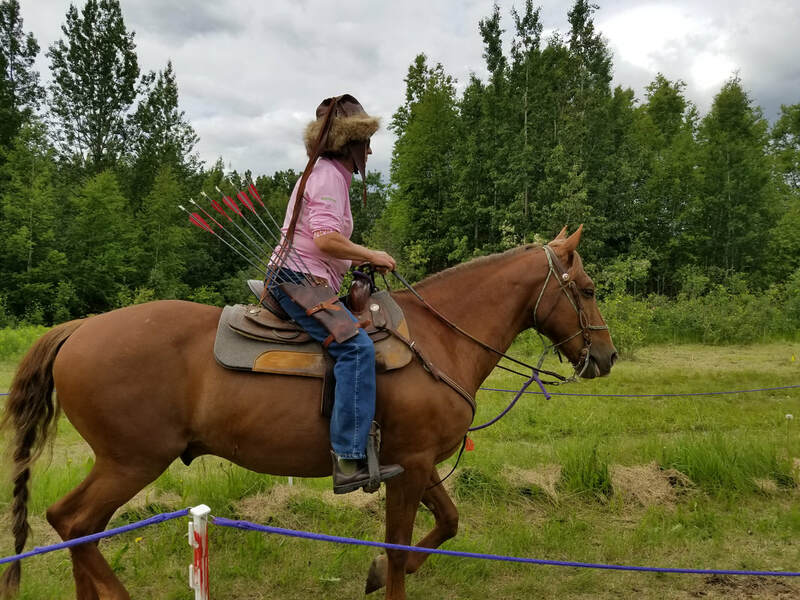 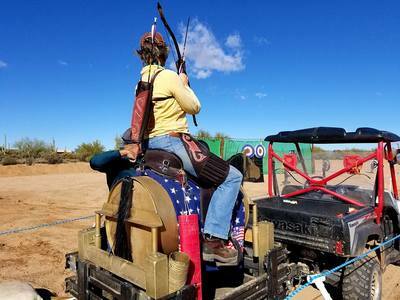 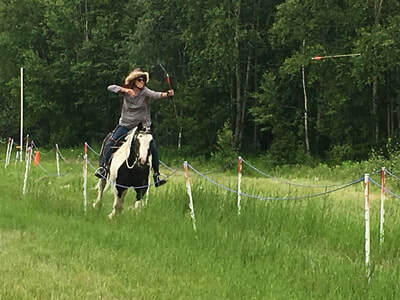 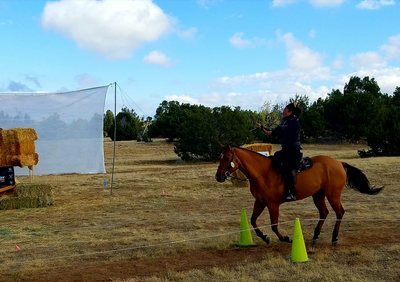 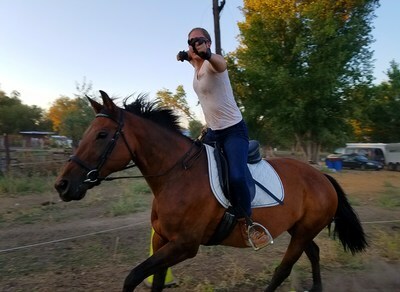 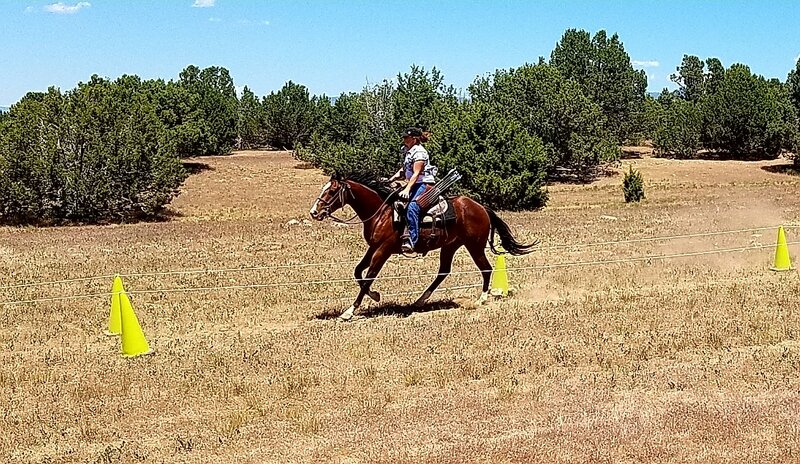 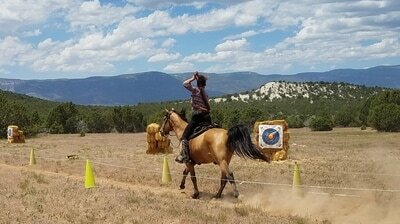 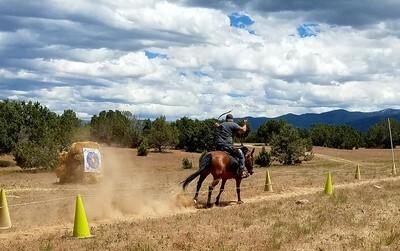 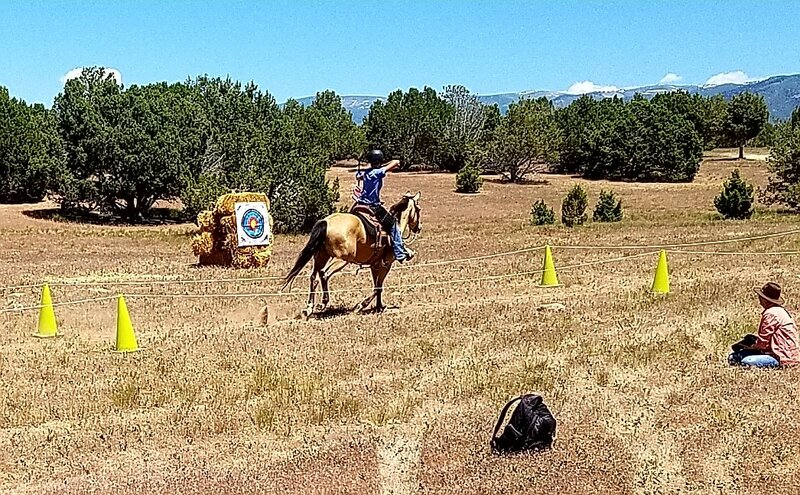 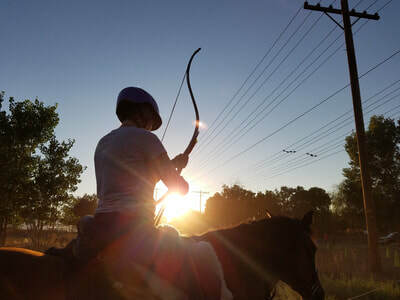 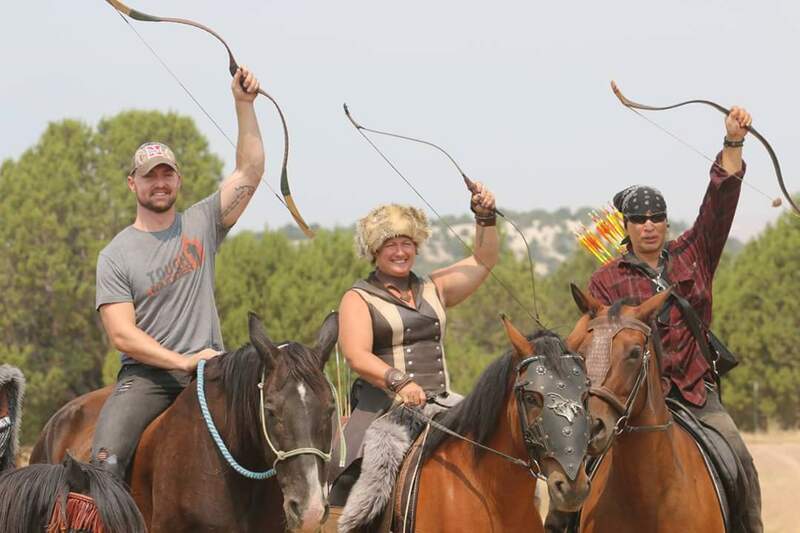 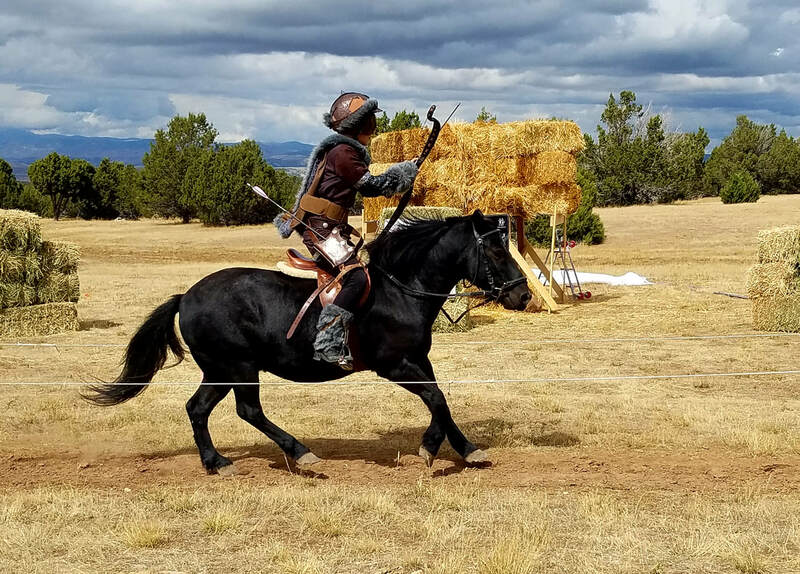 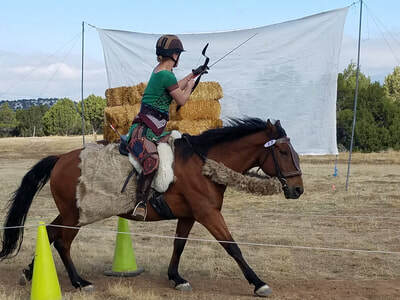 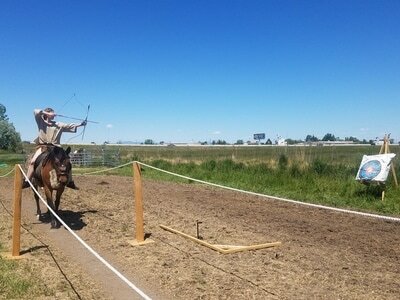 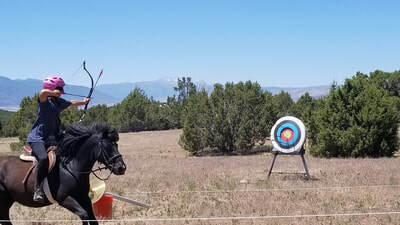 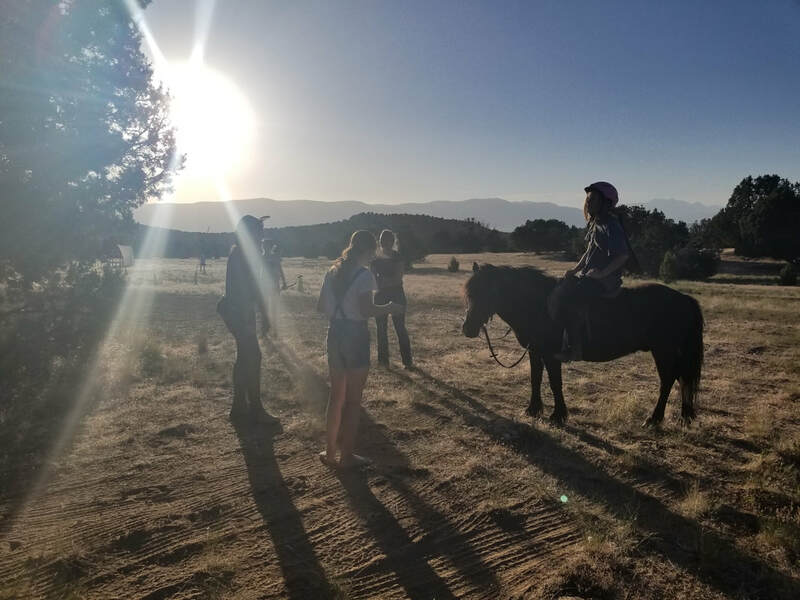 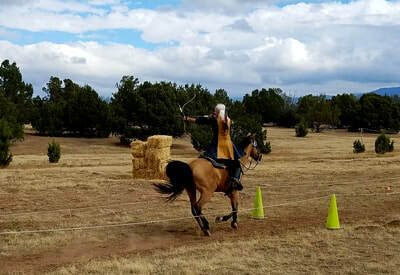 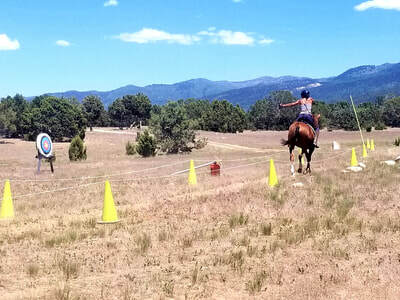 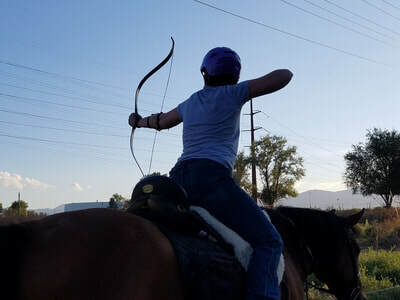 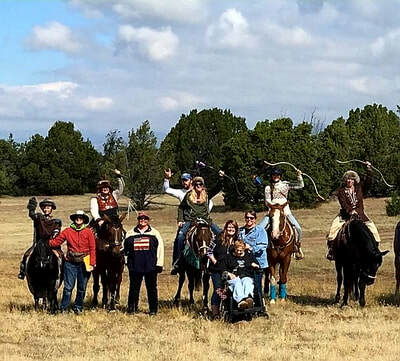 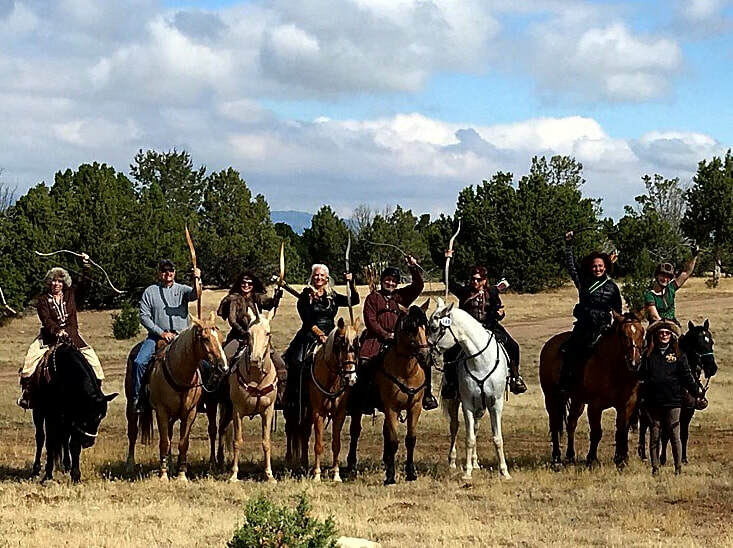 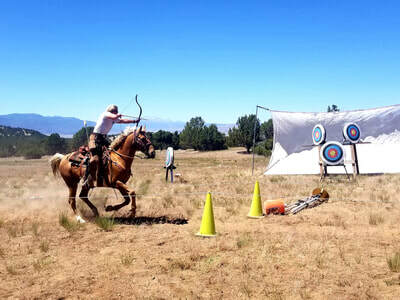 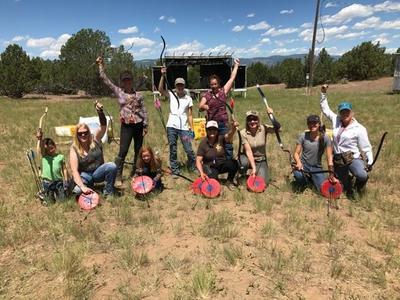 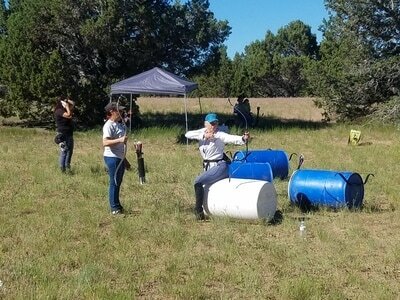 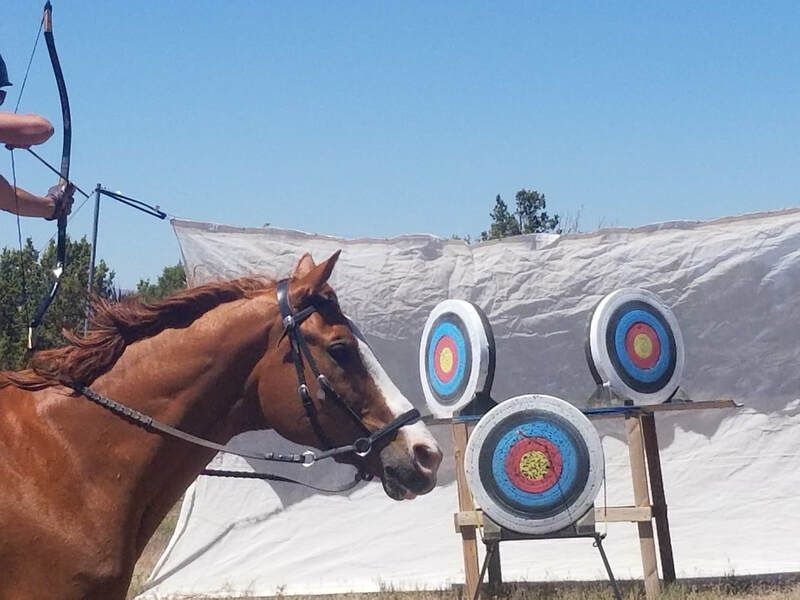 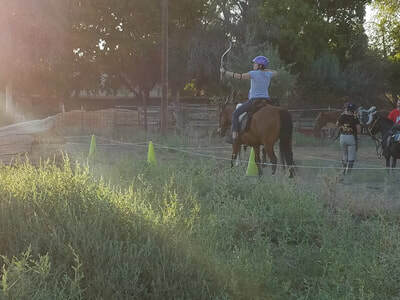 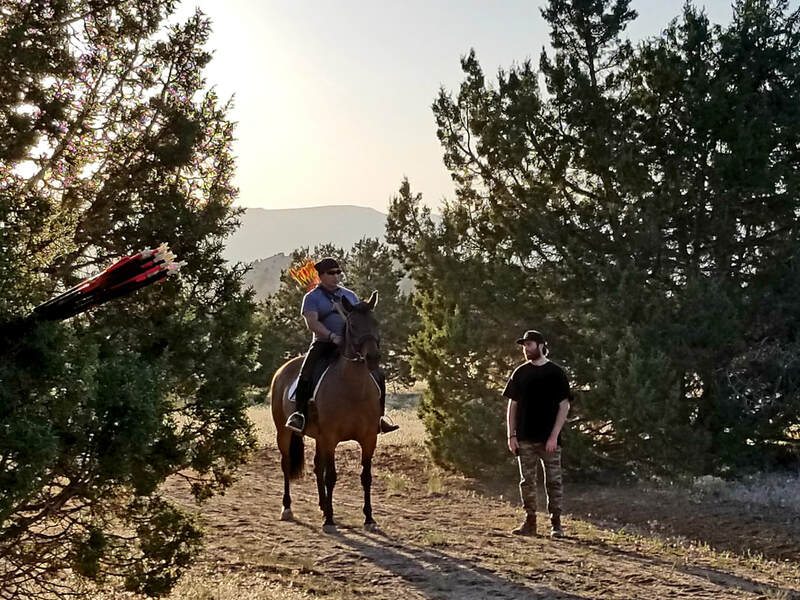 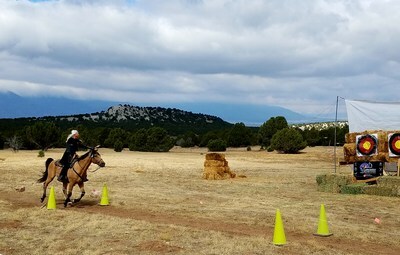 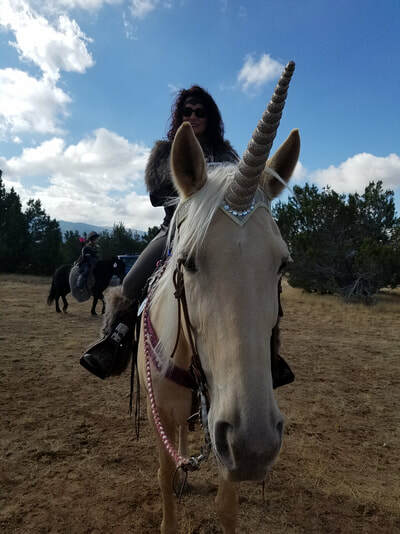 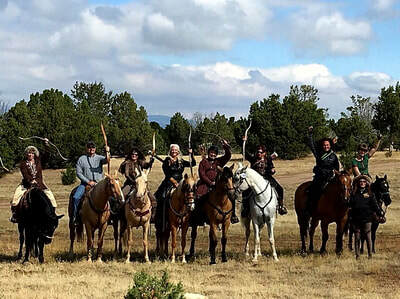 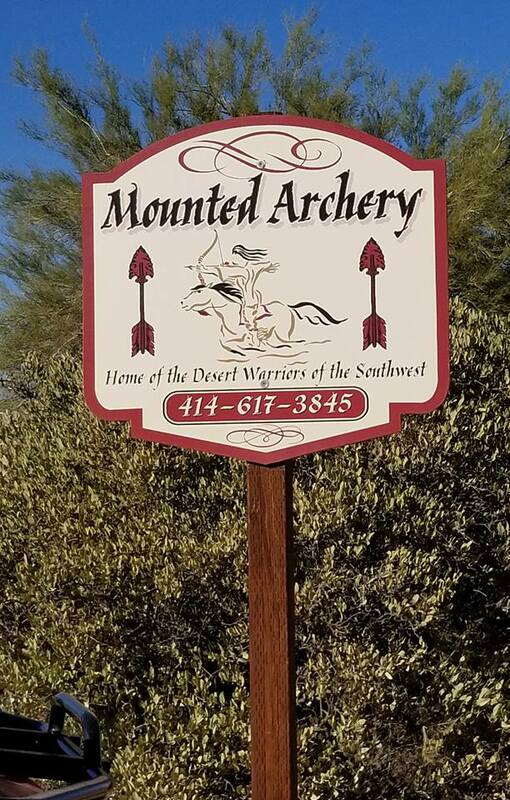 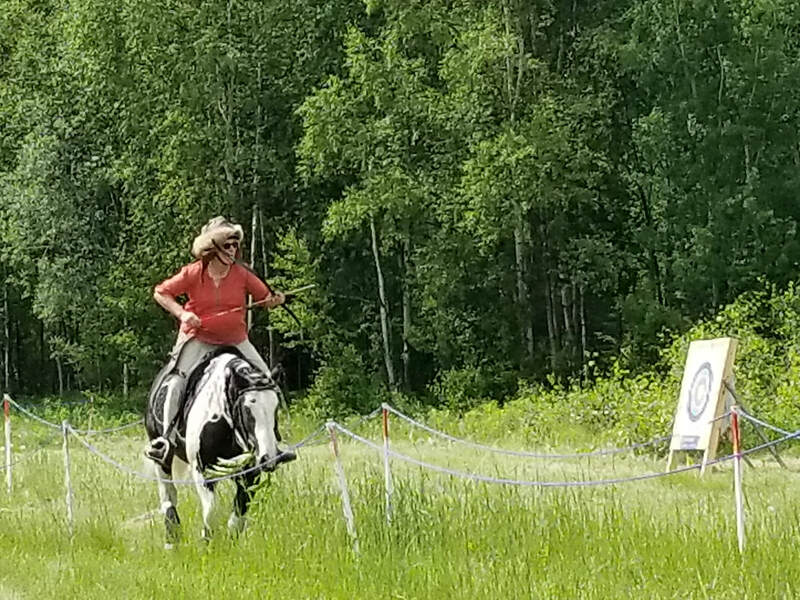 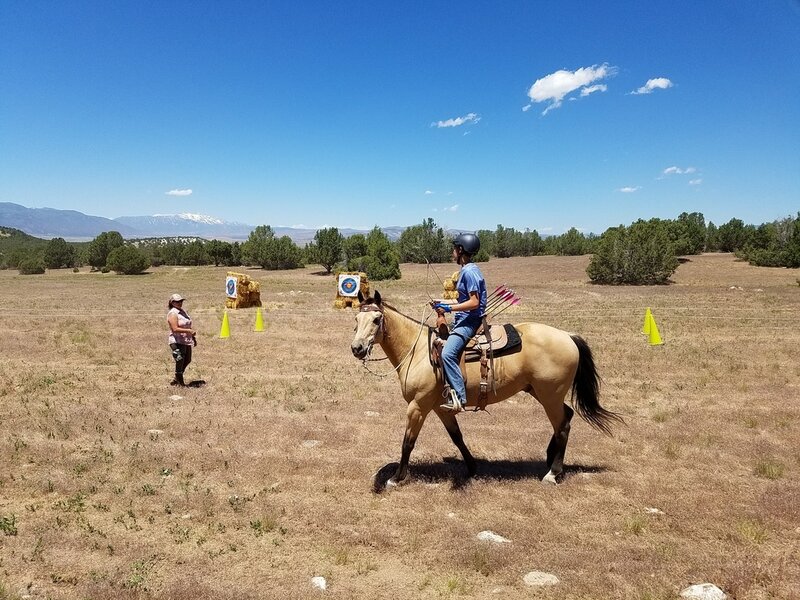 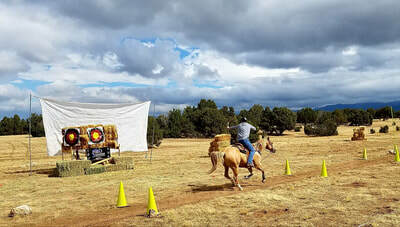 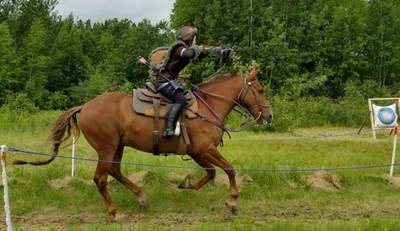 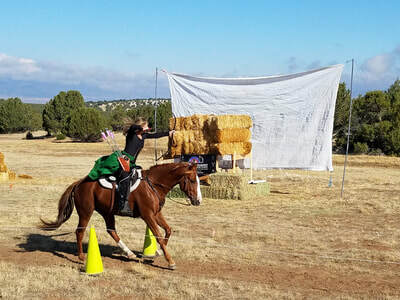 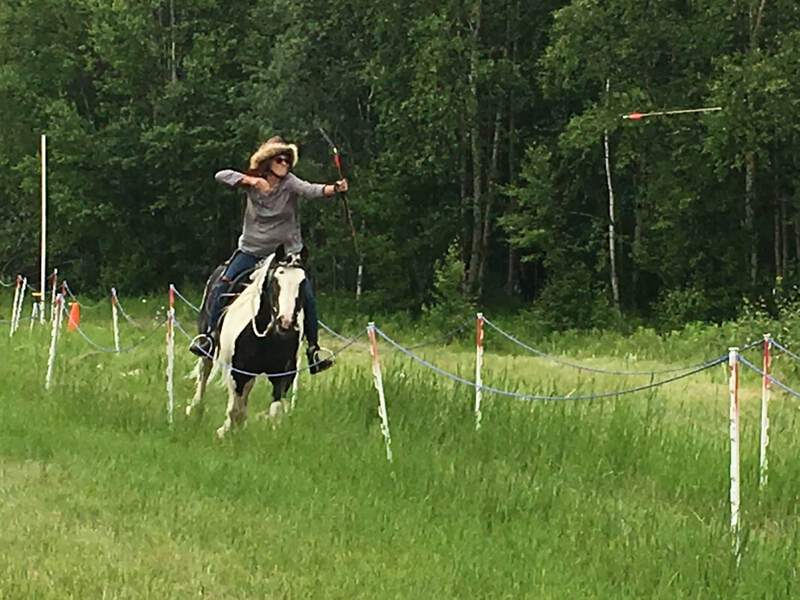 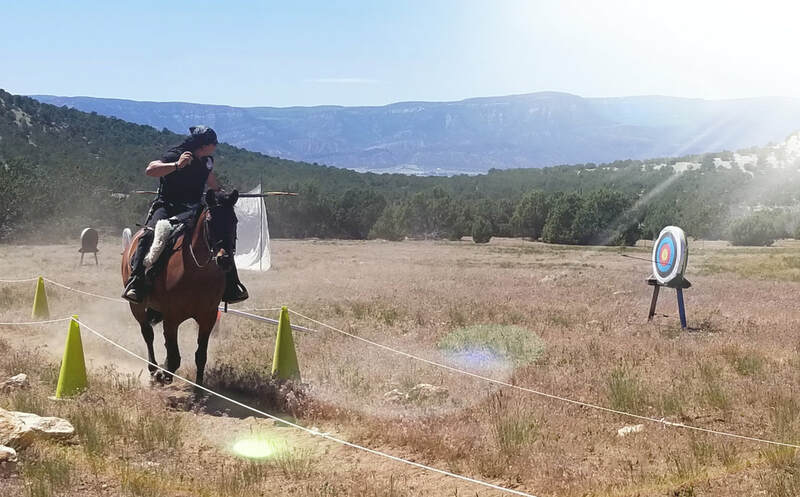 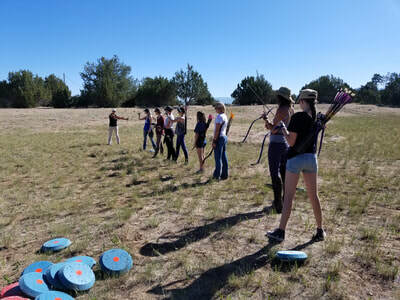 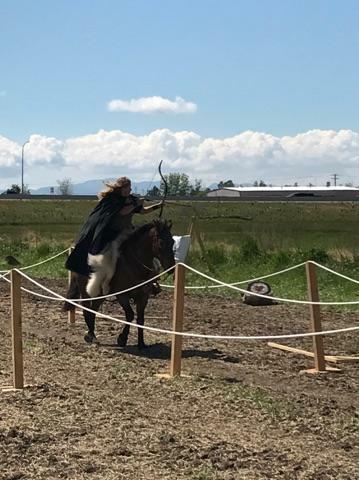 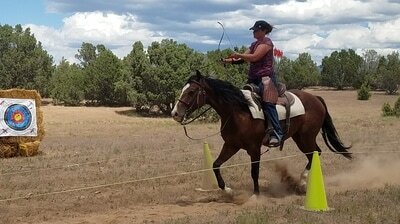 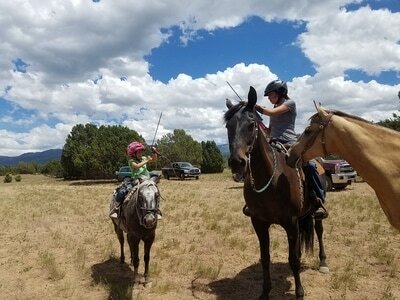 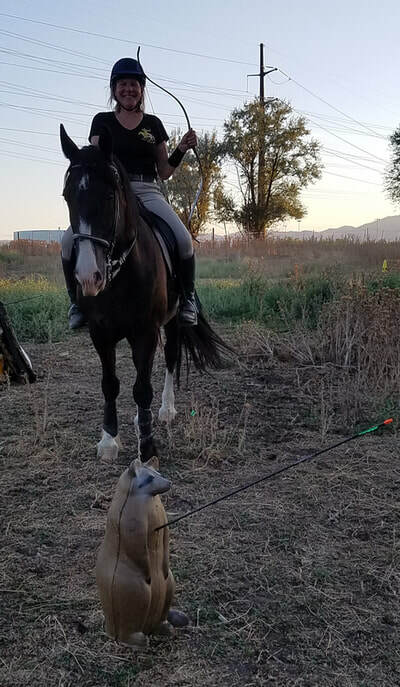 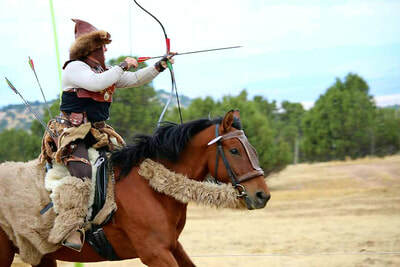 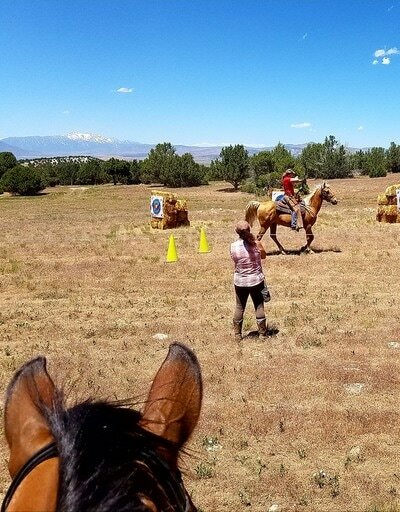 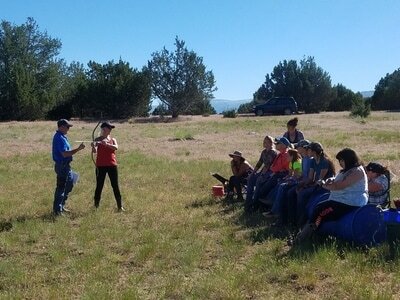 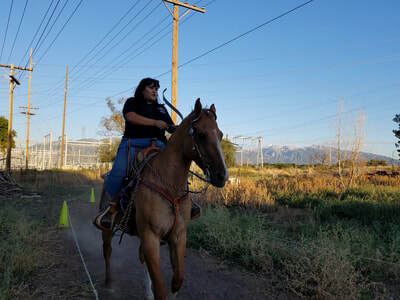 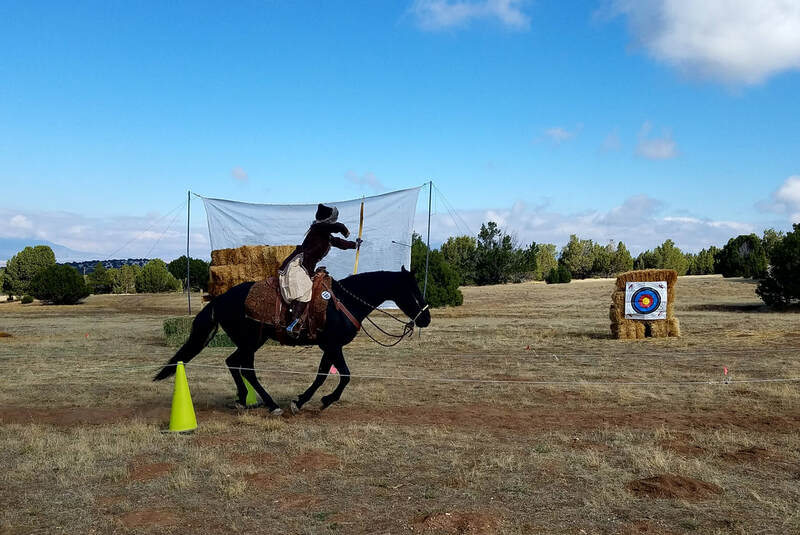 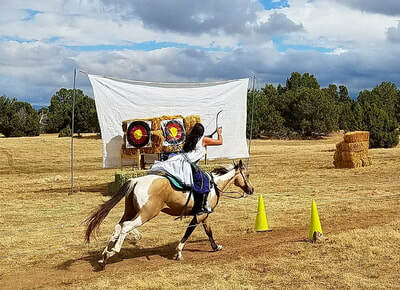 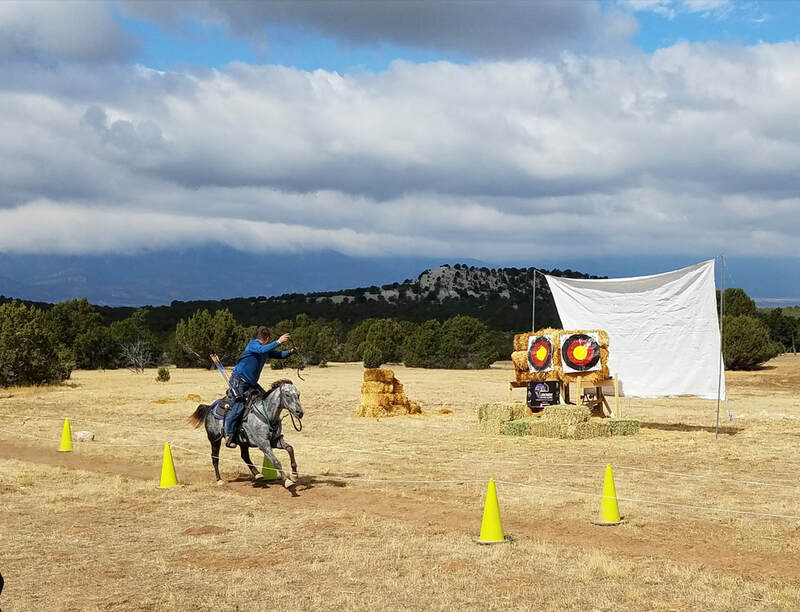 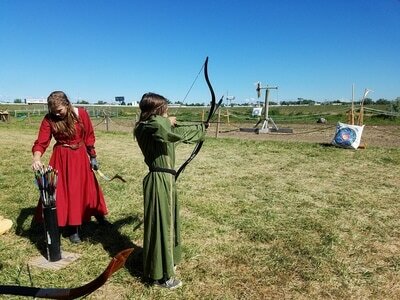 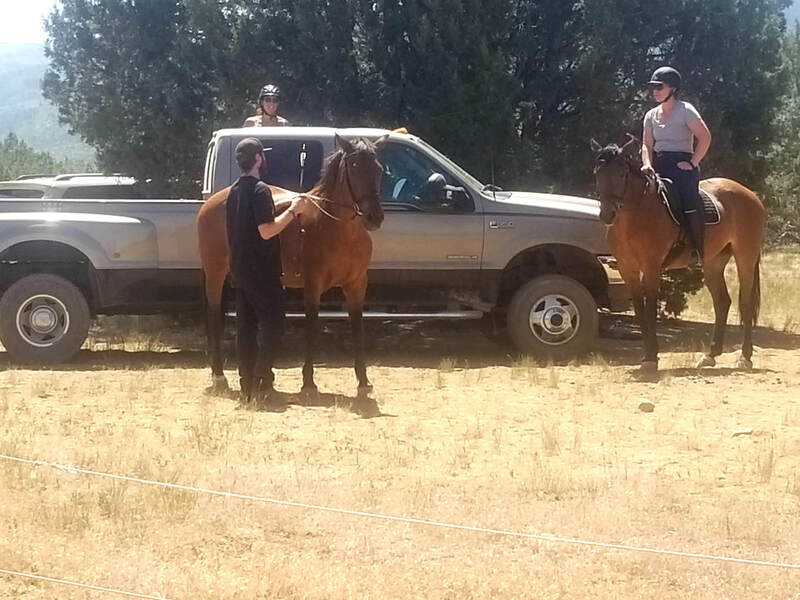 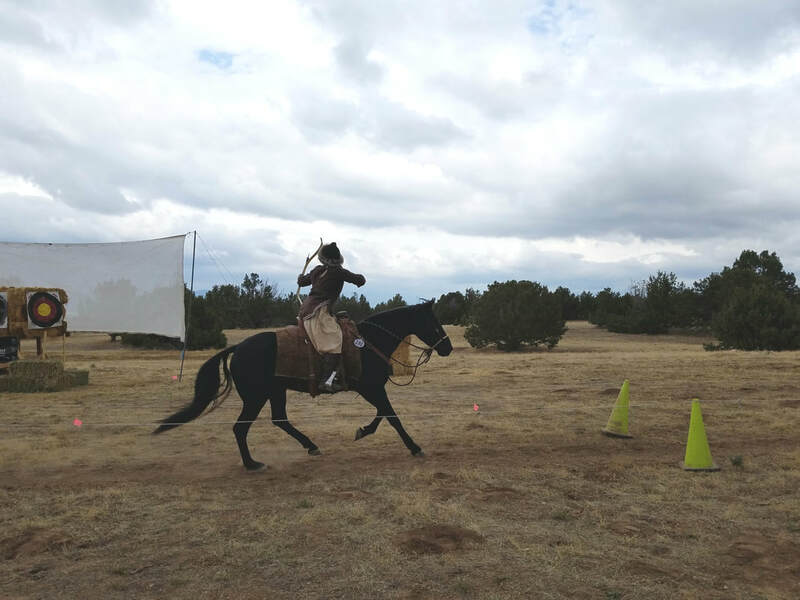 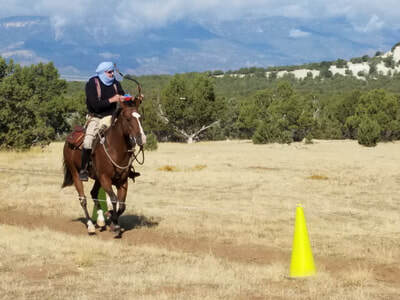 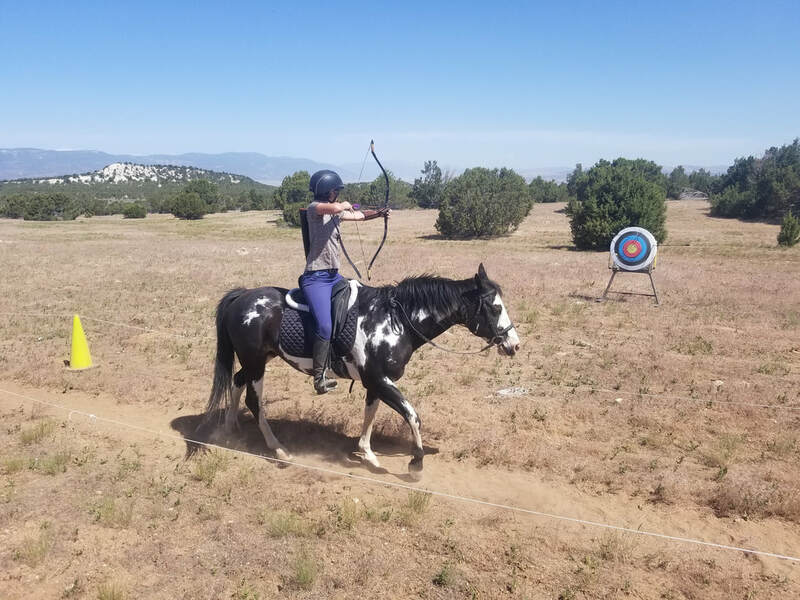 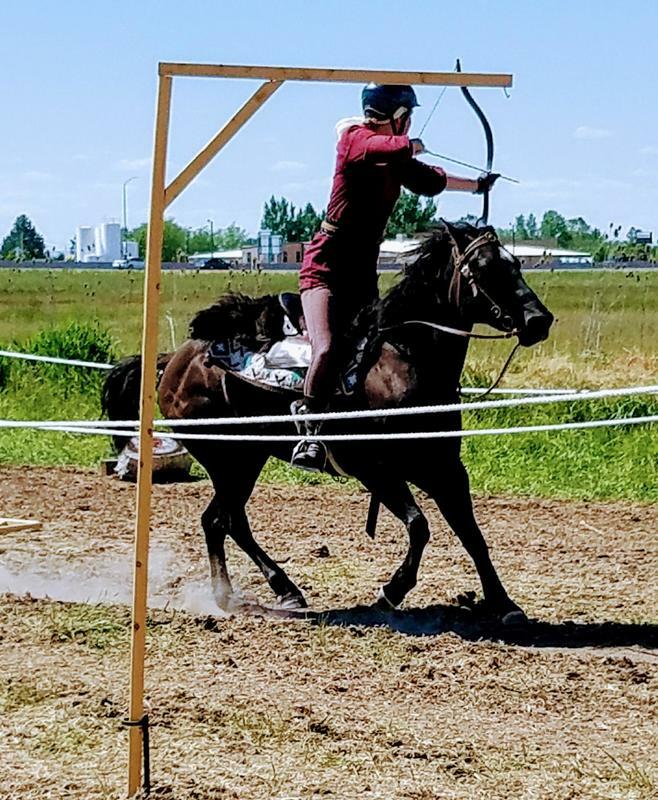 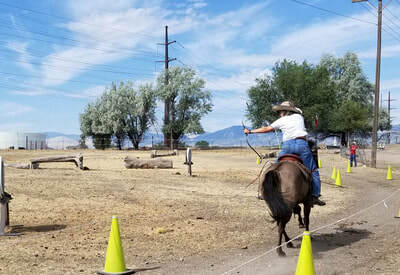 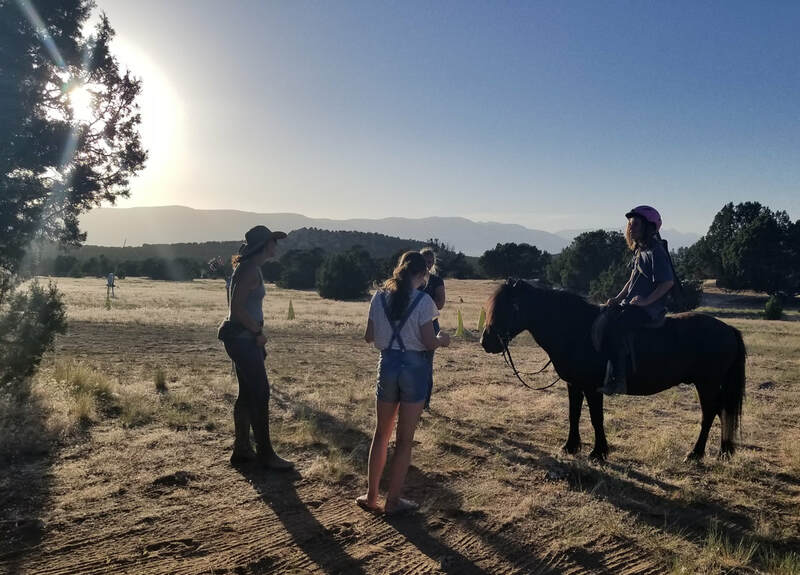 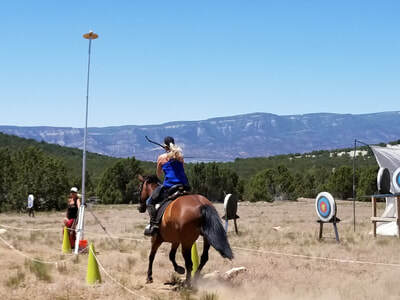 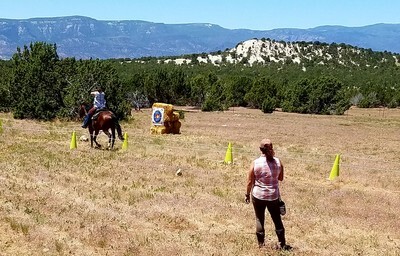 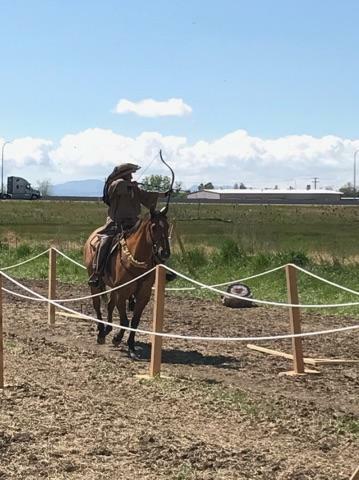 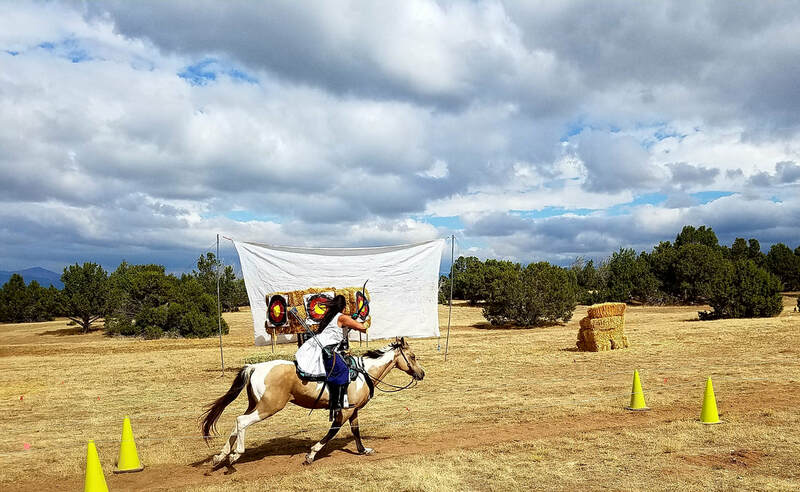 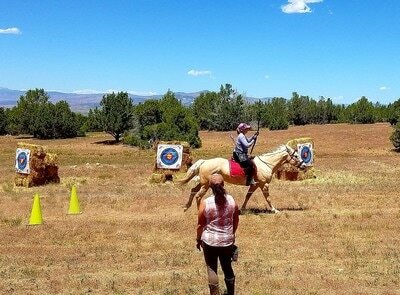 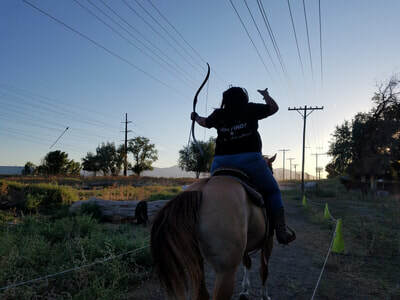 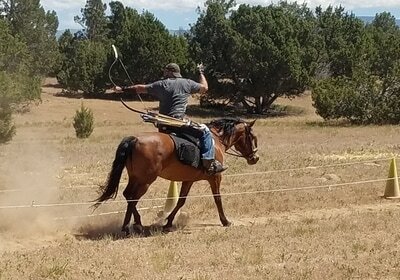 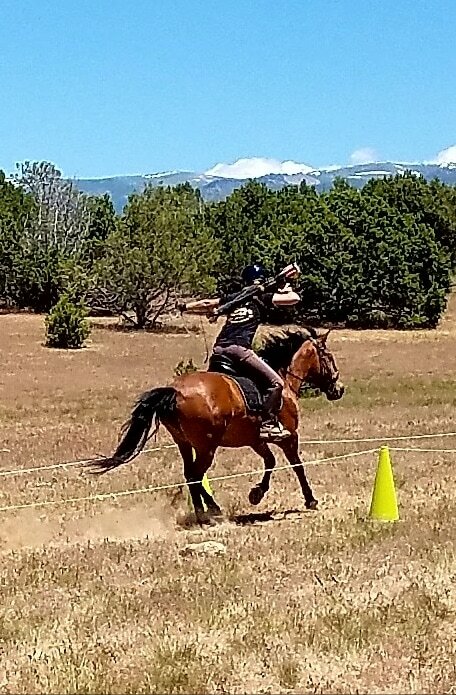 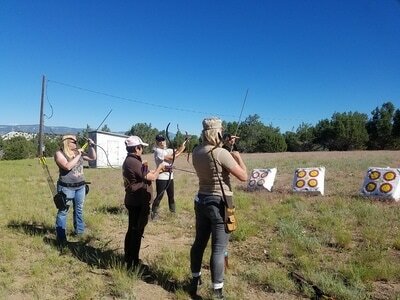 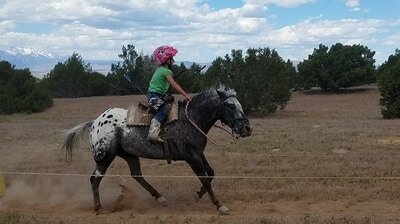 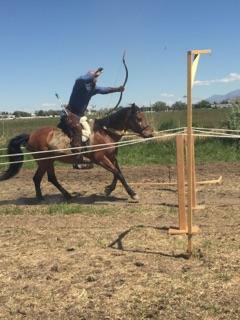 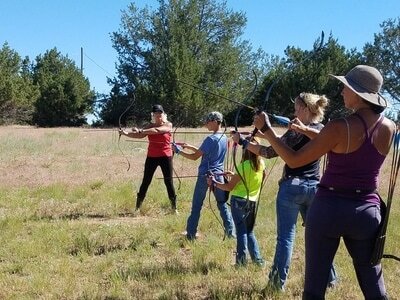 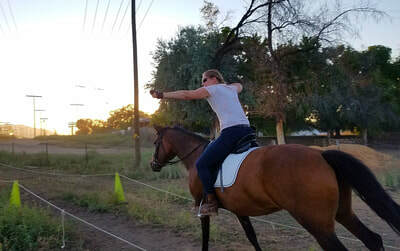 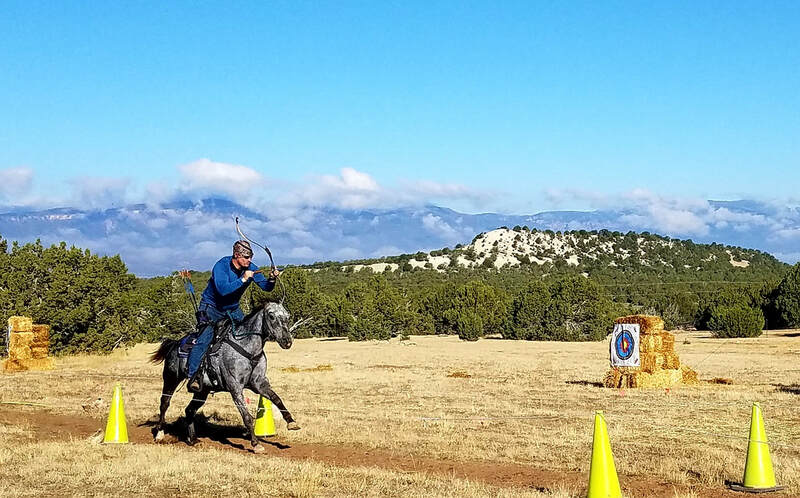 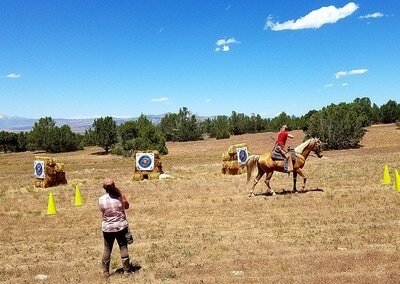 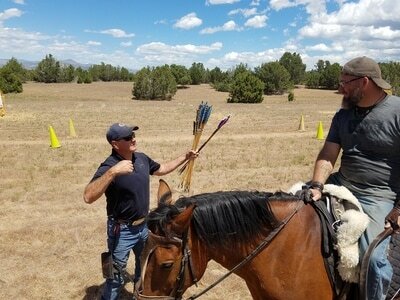 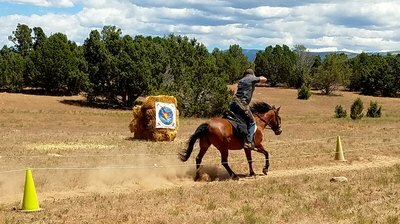 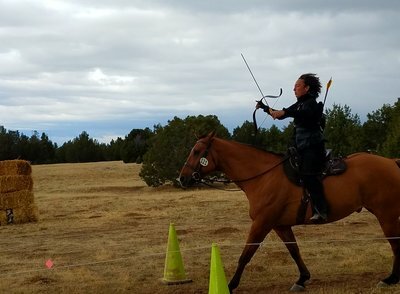 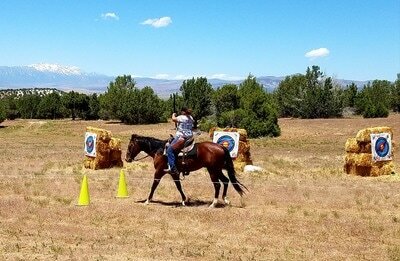 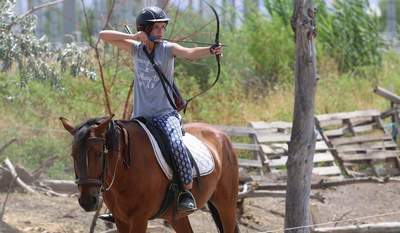 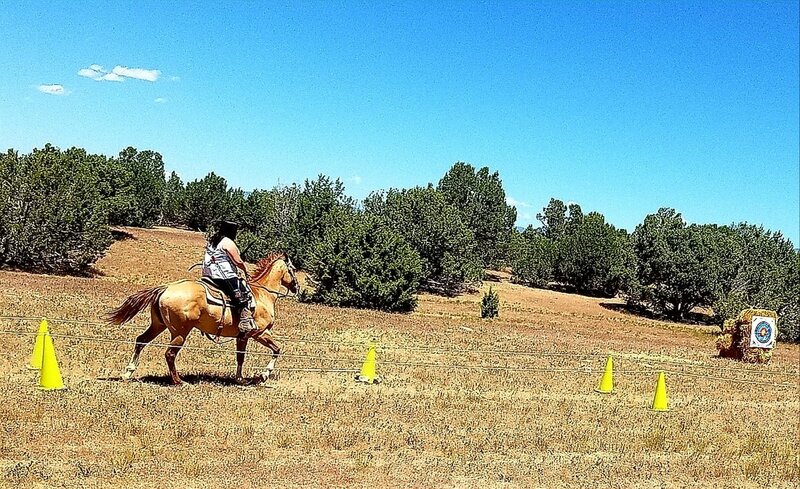 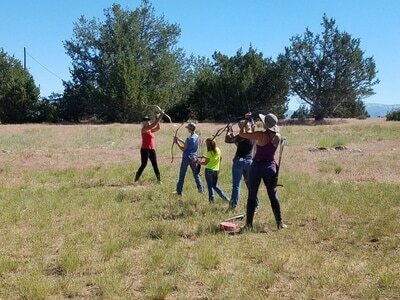 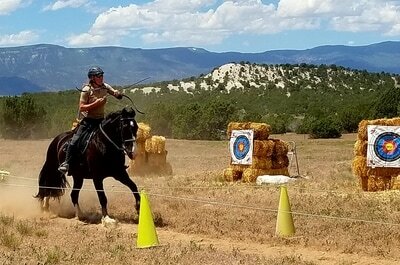 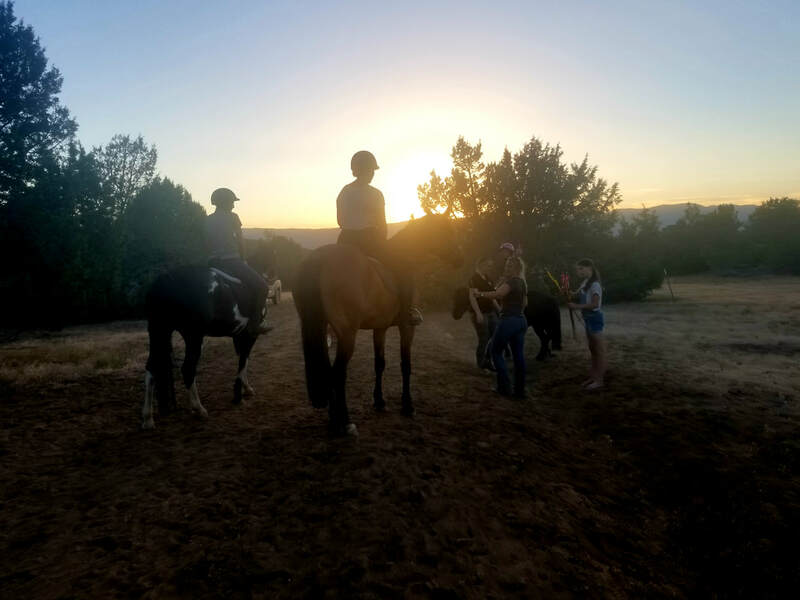 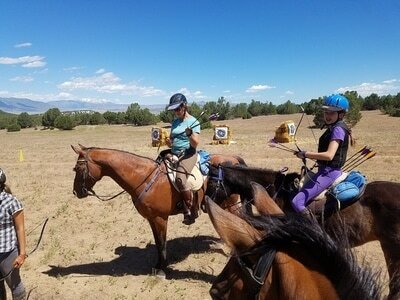 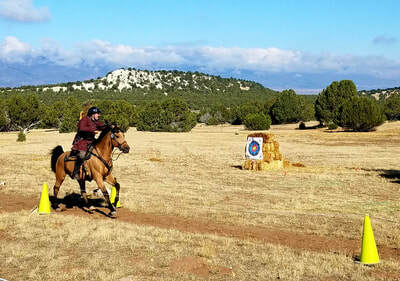 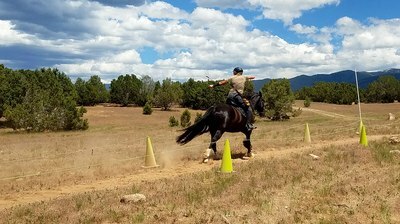 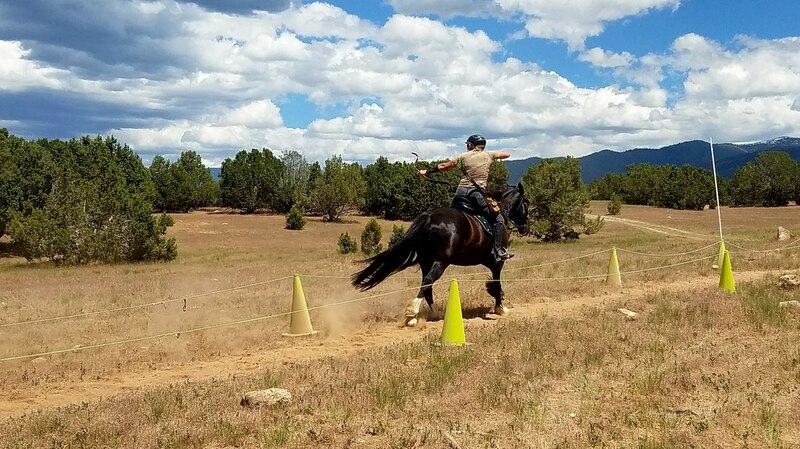 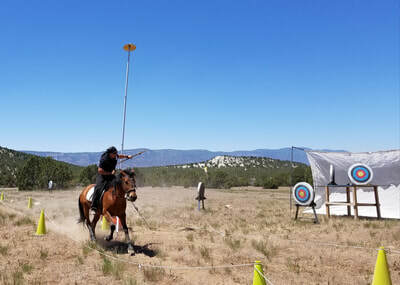 What a weekend sharing mounted archery! 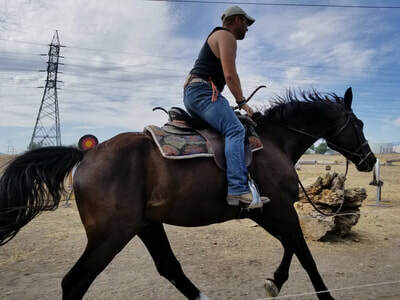 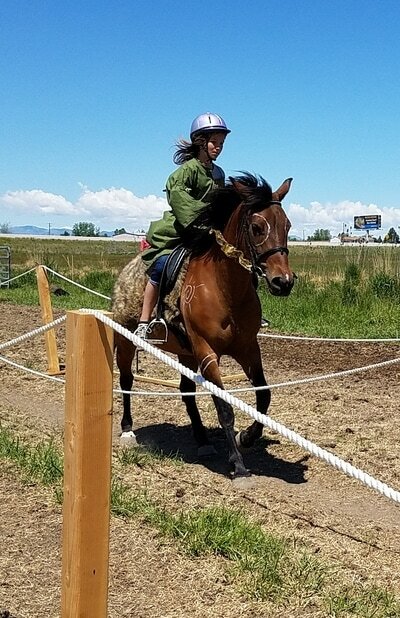 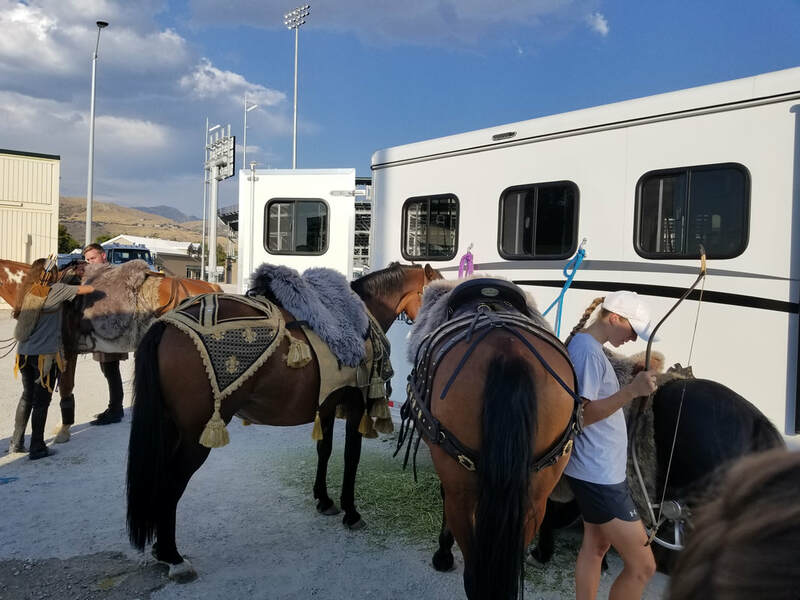 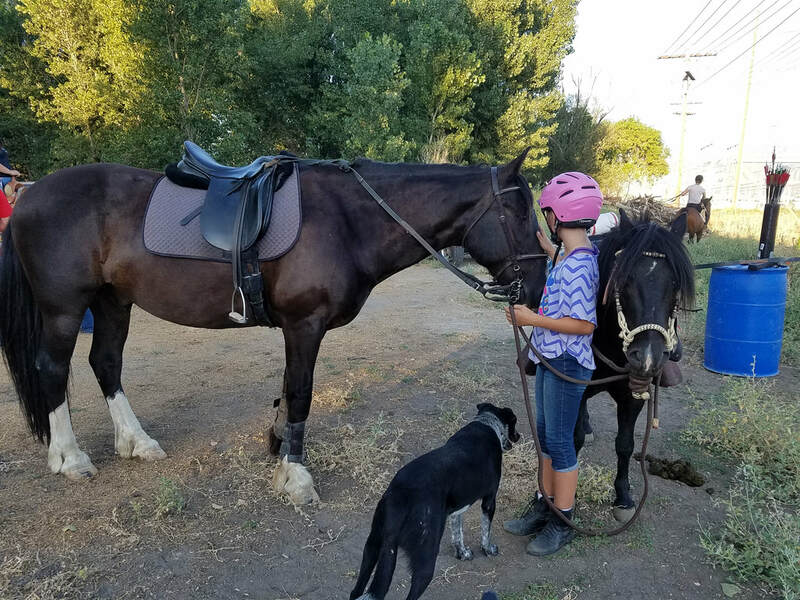 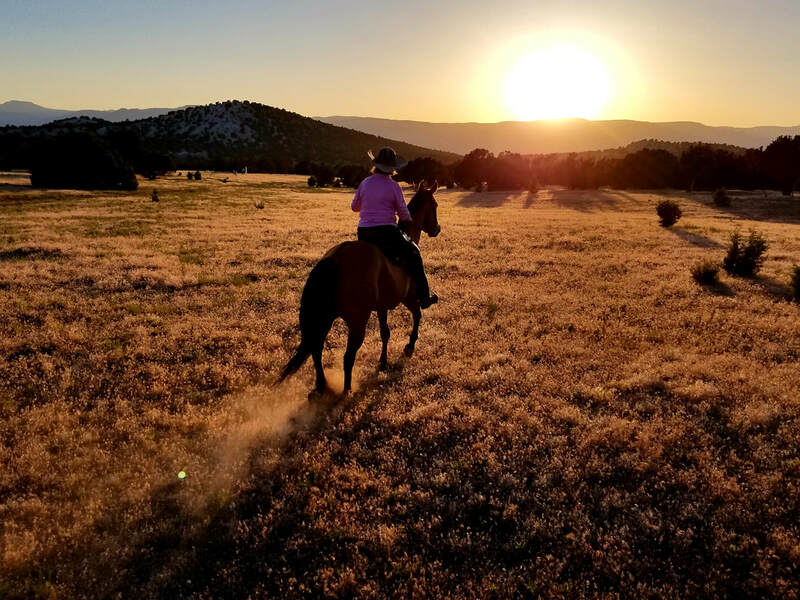 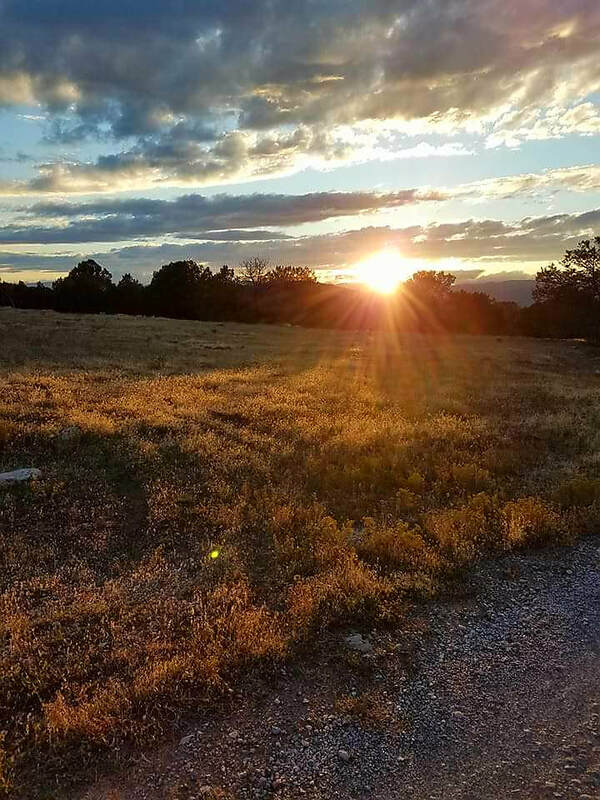 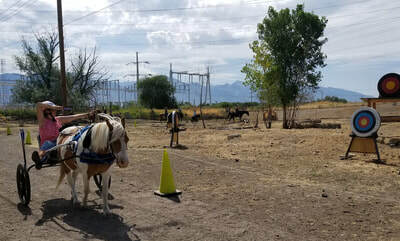 We had 25 people with 28 horses from 5 states. 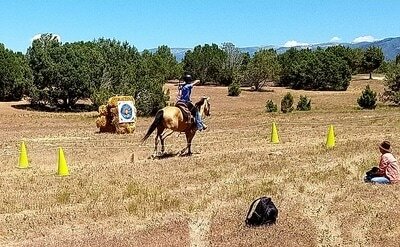 We held an awesome clinic with Diana Troyk, Joey & Greg Ogburn & BJ Smith! 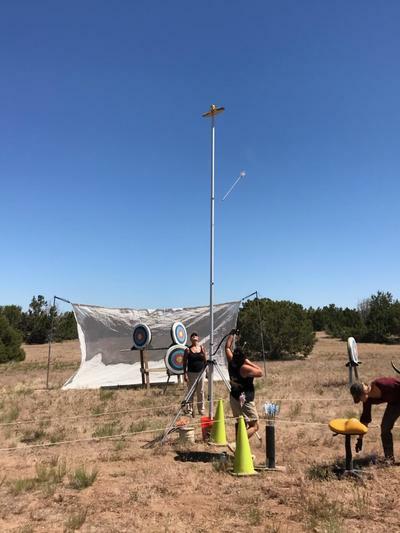 We also held 2 ranking sessions and our very first postal match! 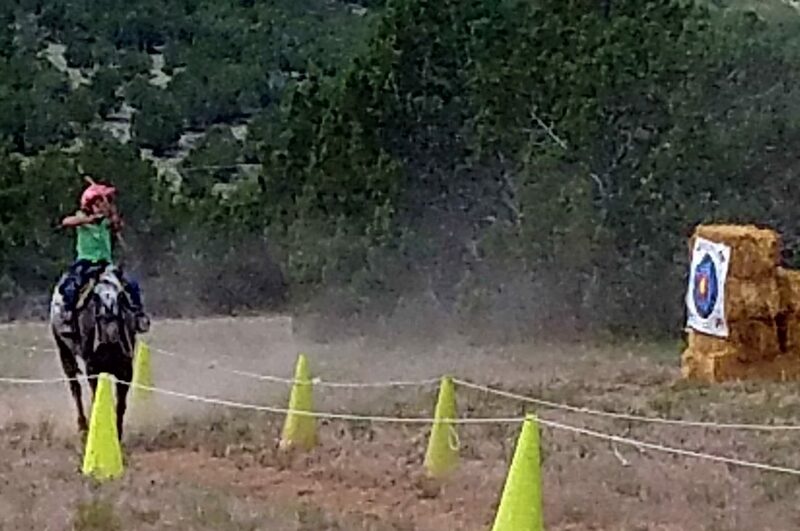 We designed our cross country course for our Sept competition with the help of the Desert Warriors. 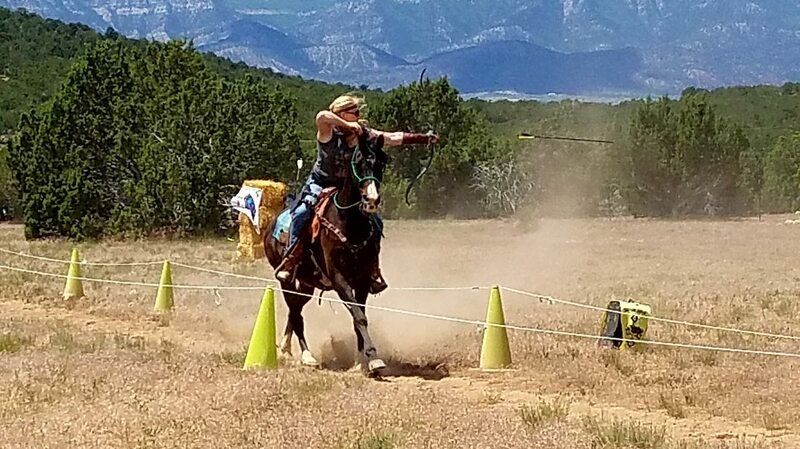 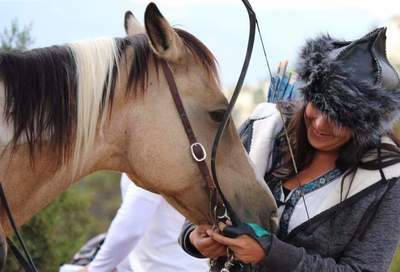 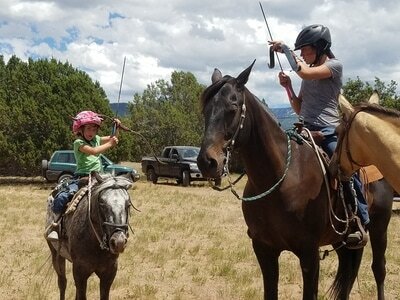 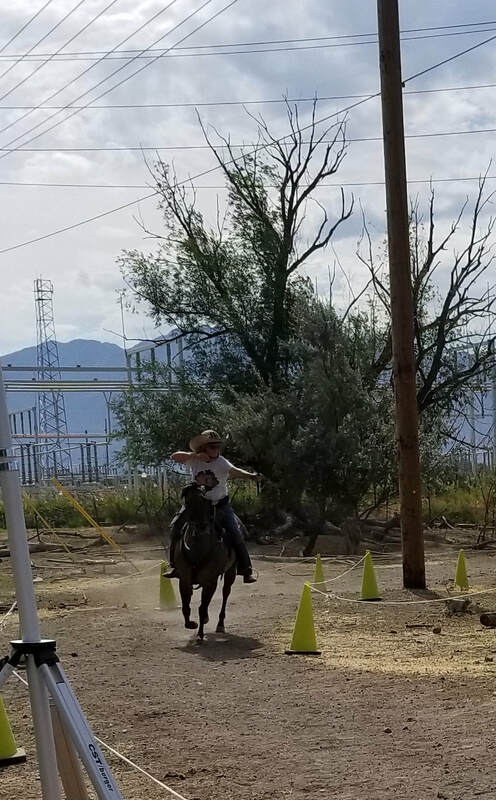 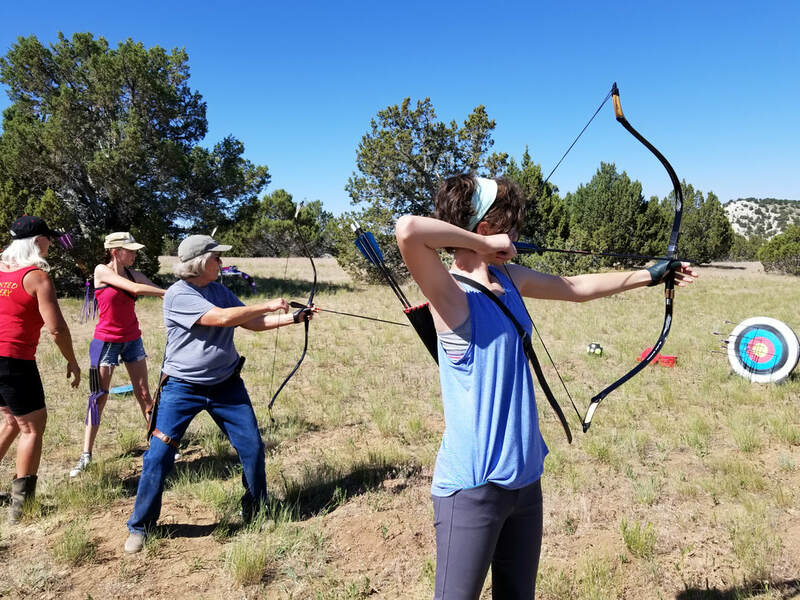 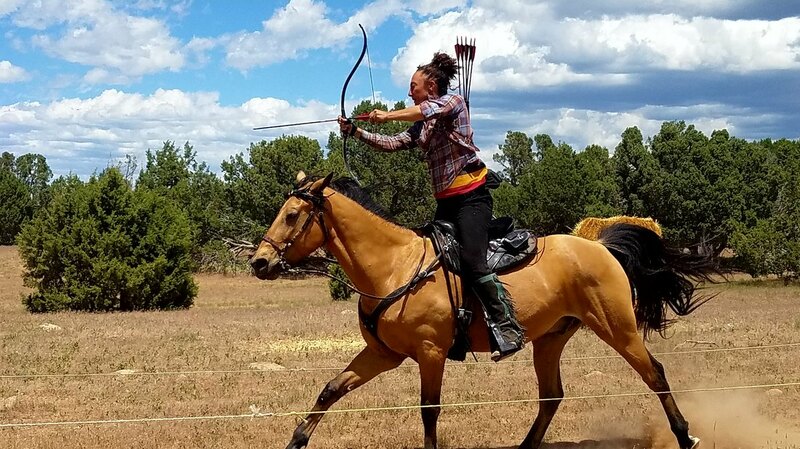 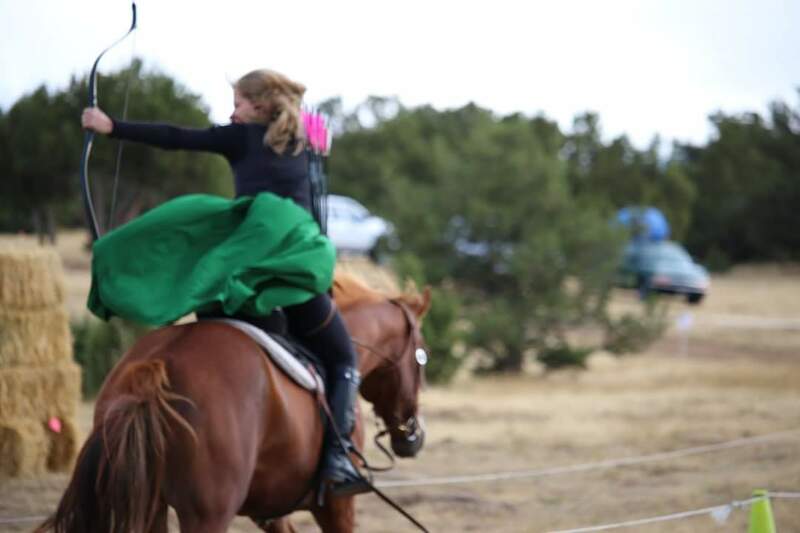 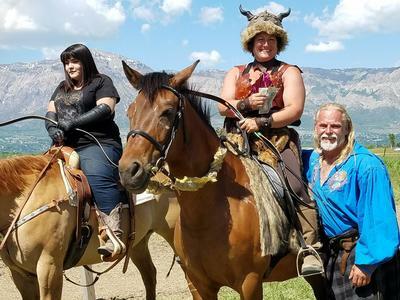 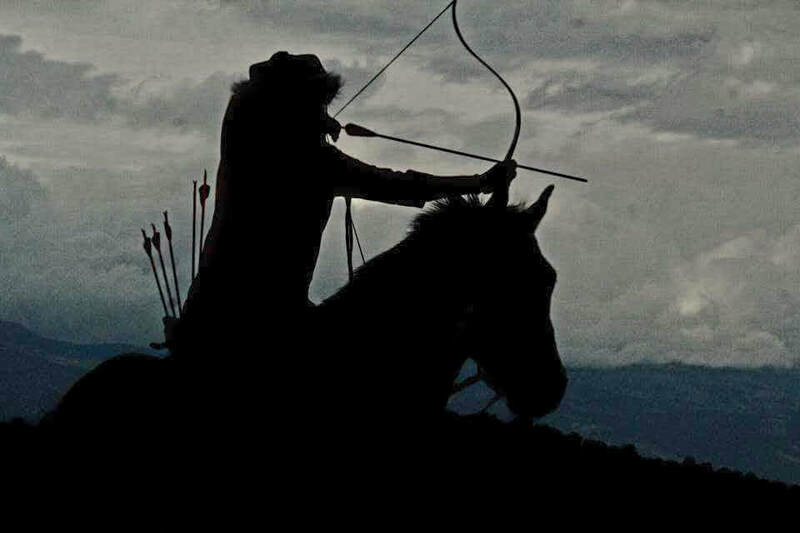 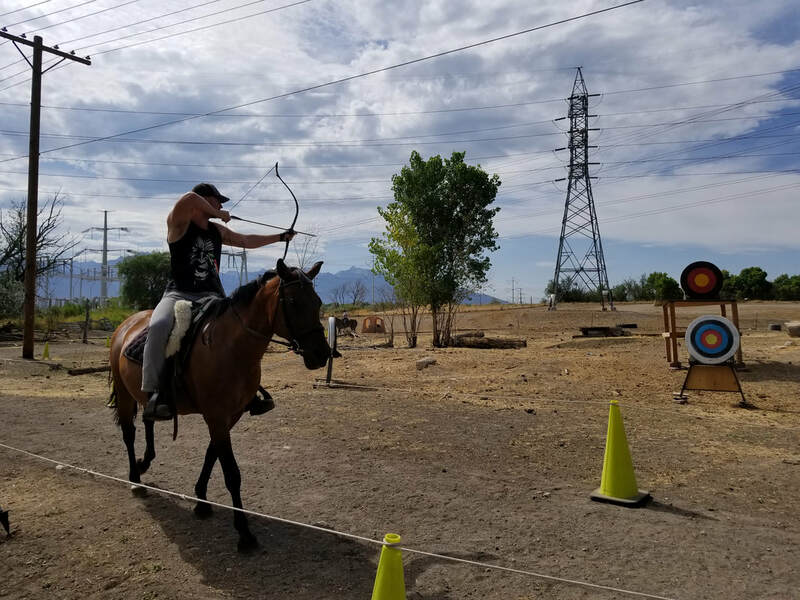 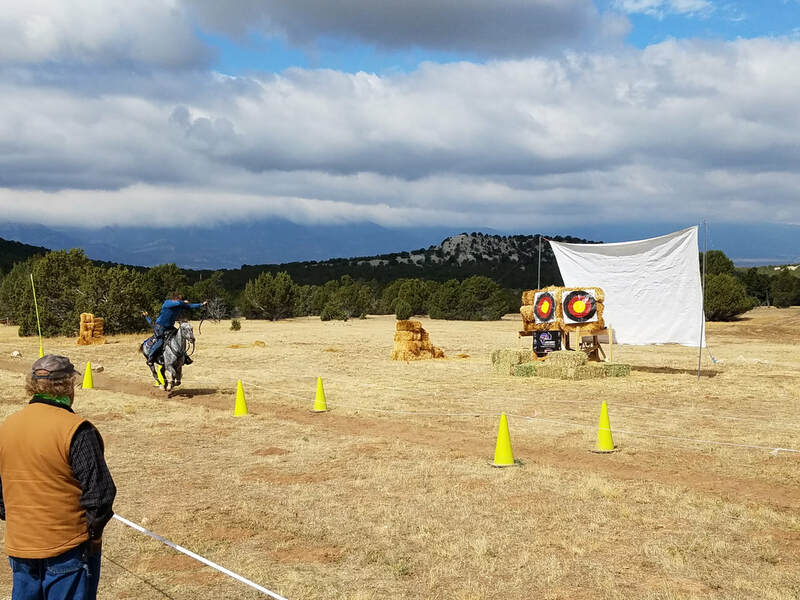 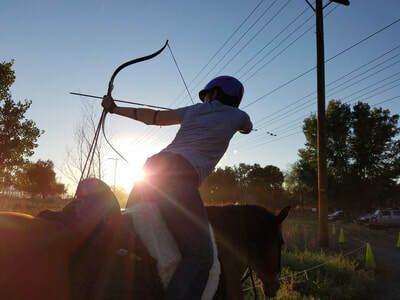 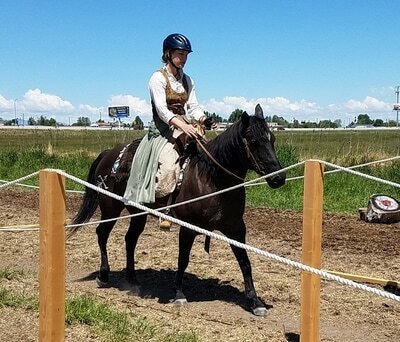 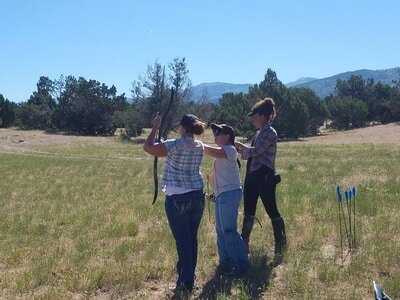 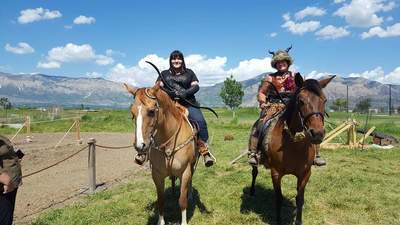 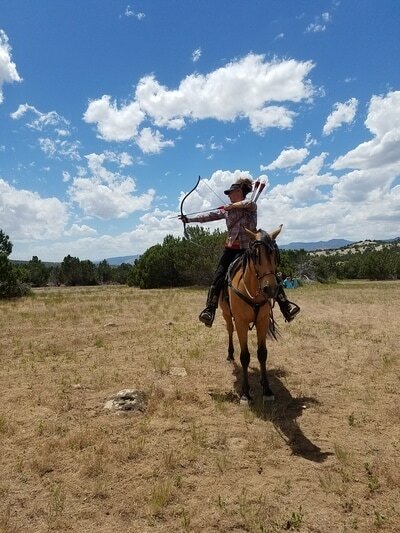 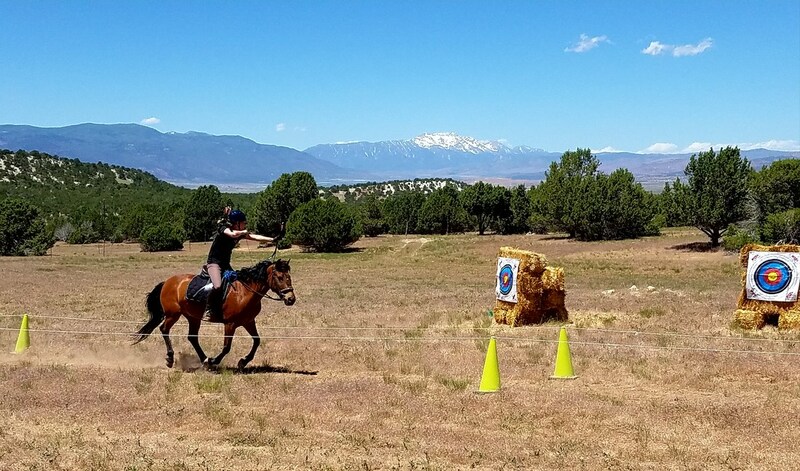 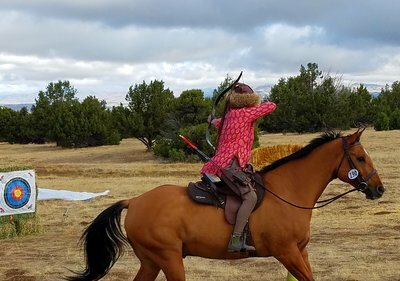 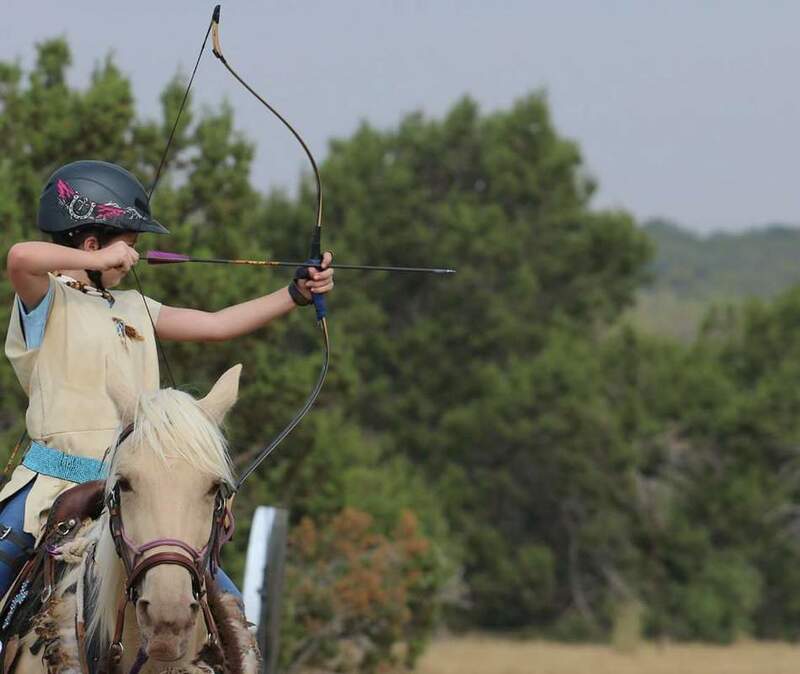 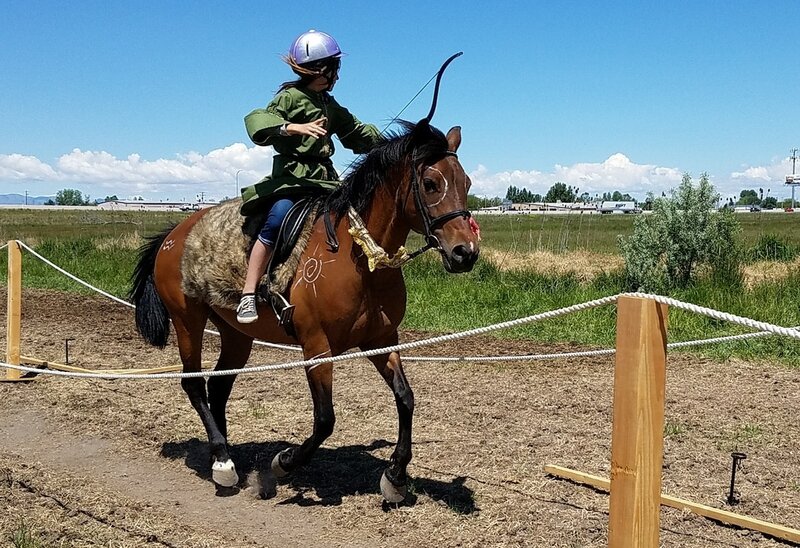 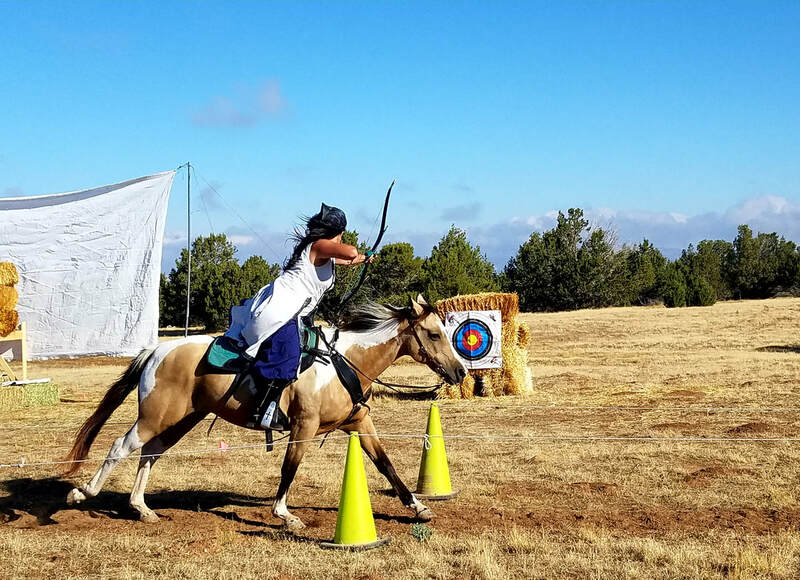 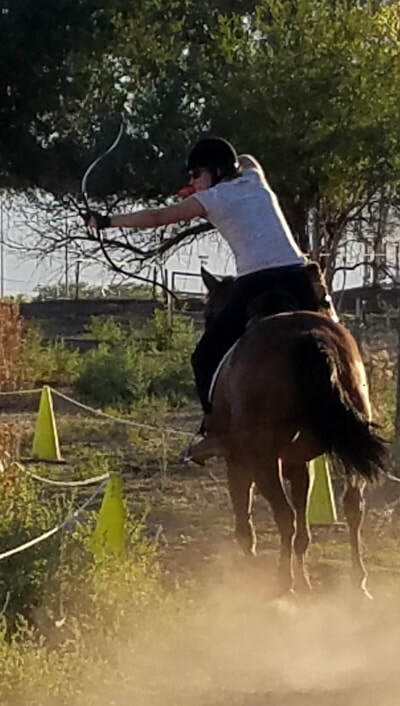 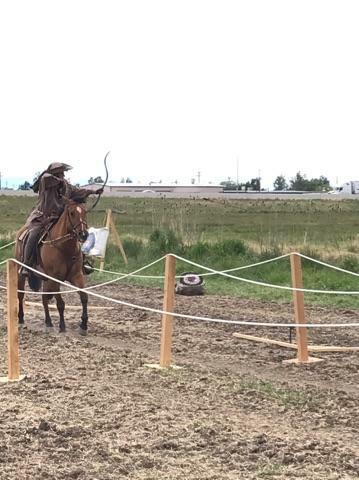 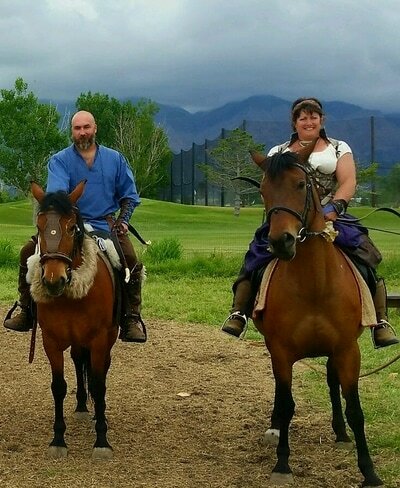 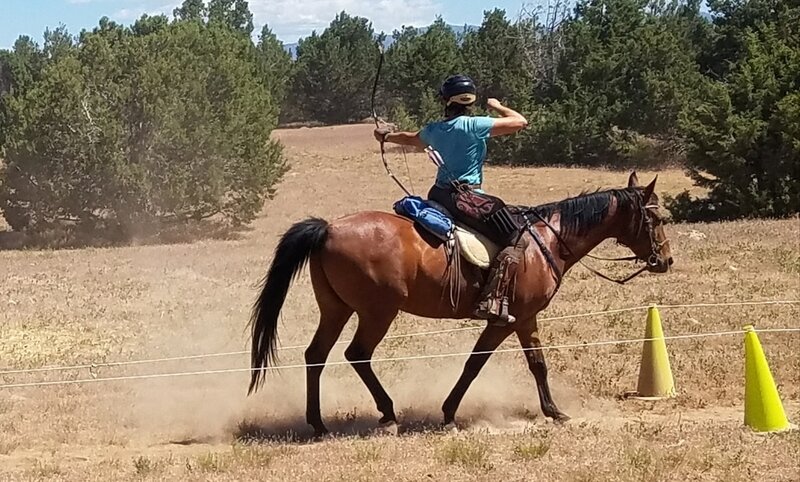 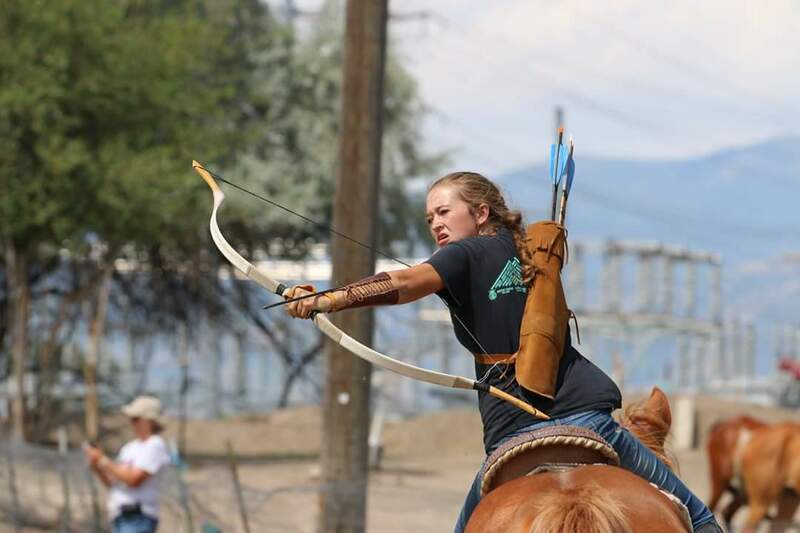 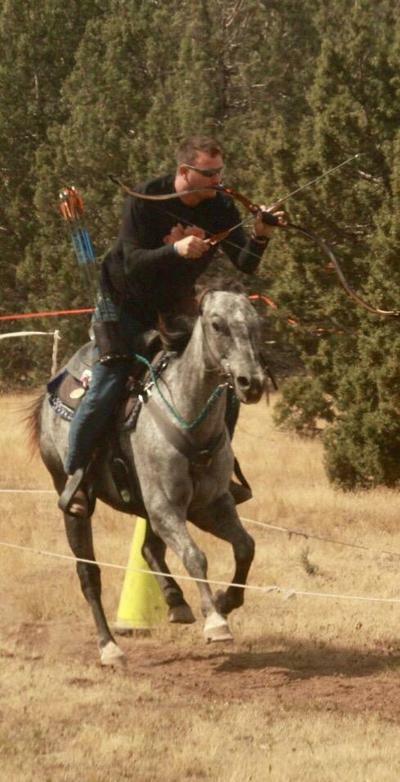 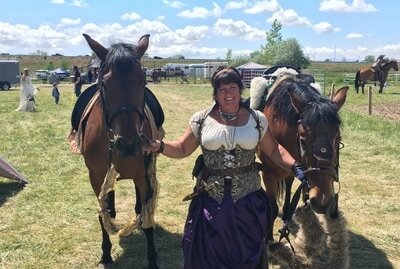 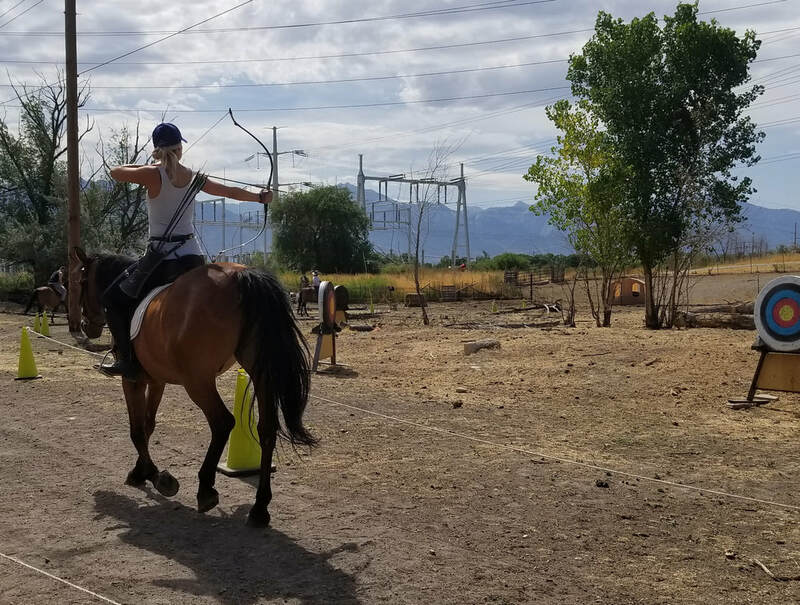 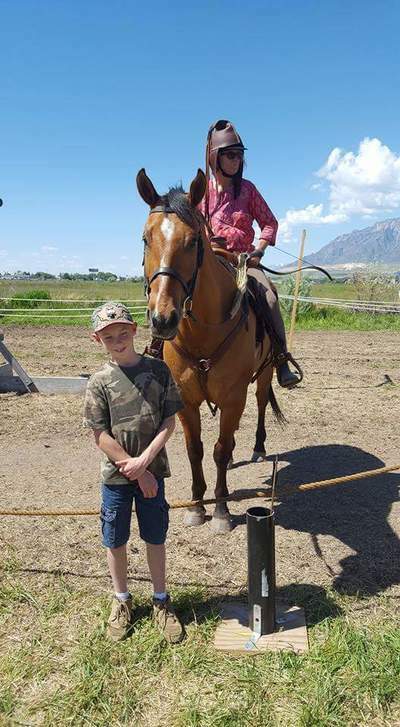 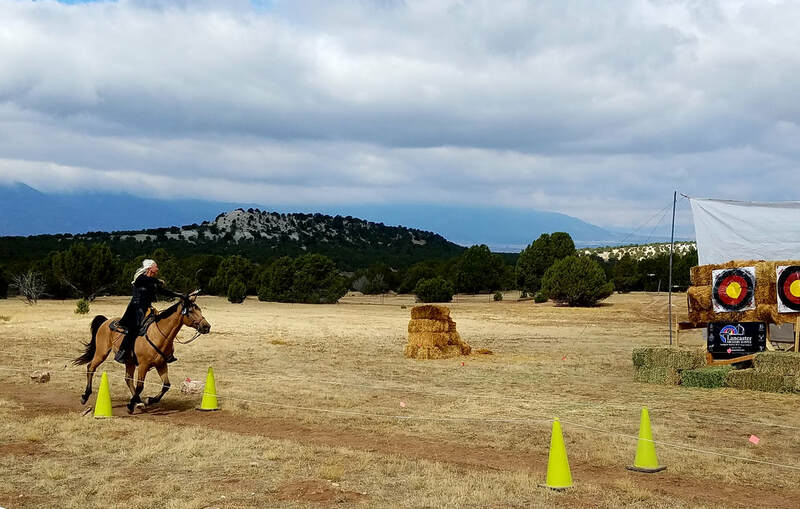 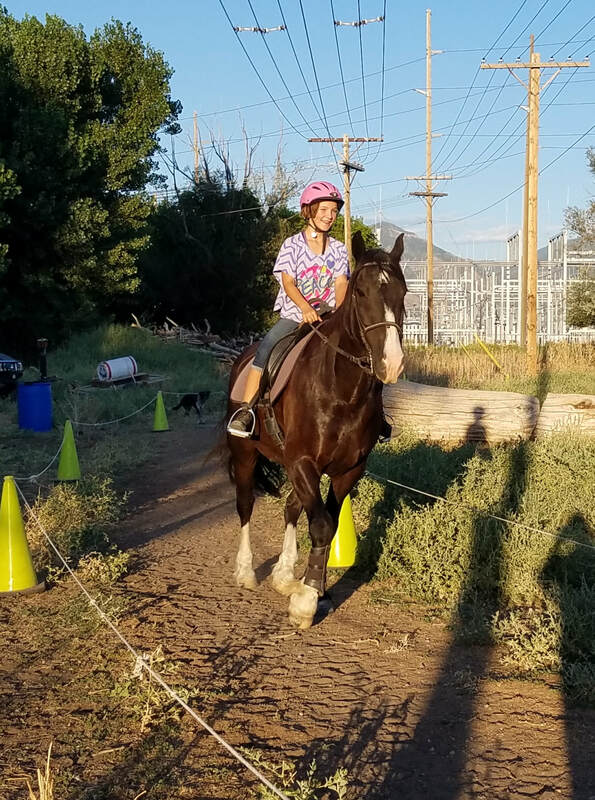 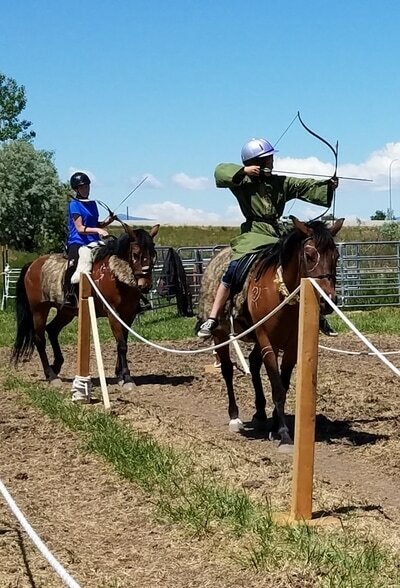 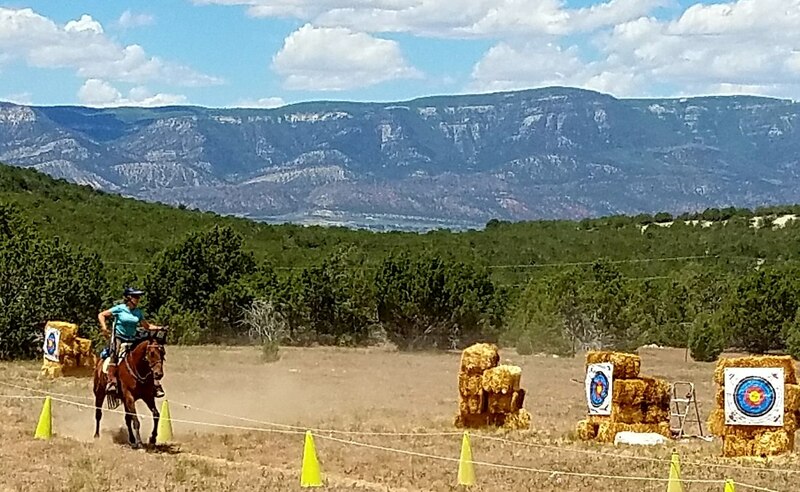 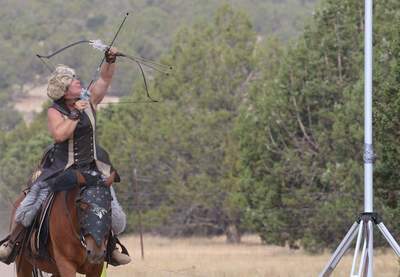 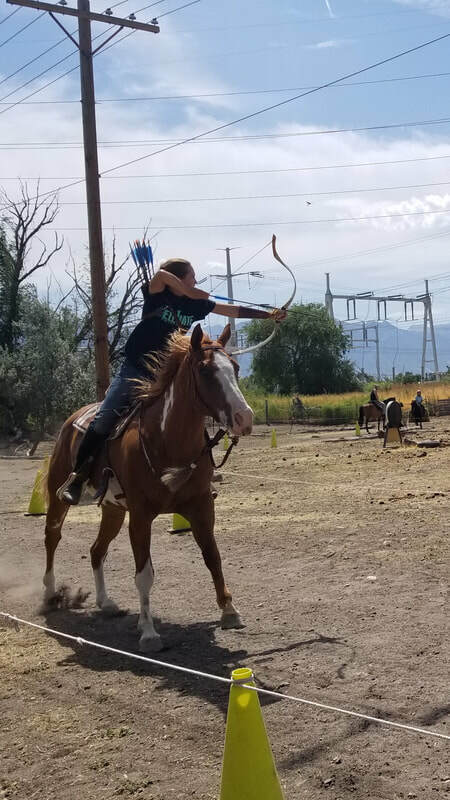 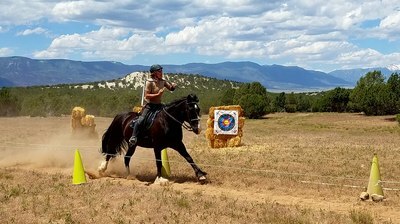 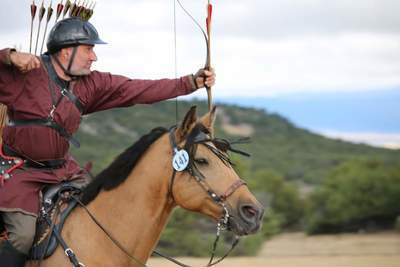 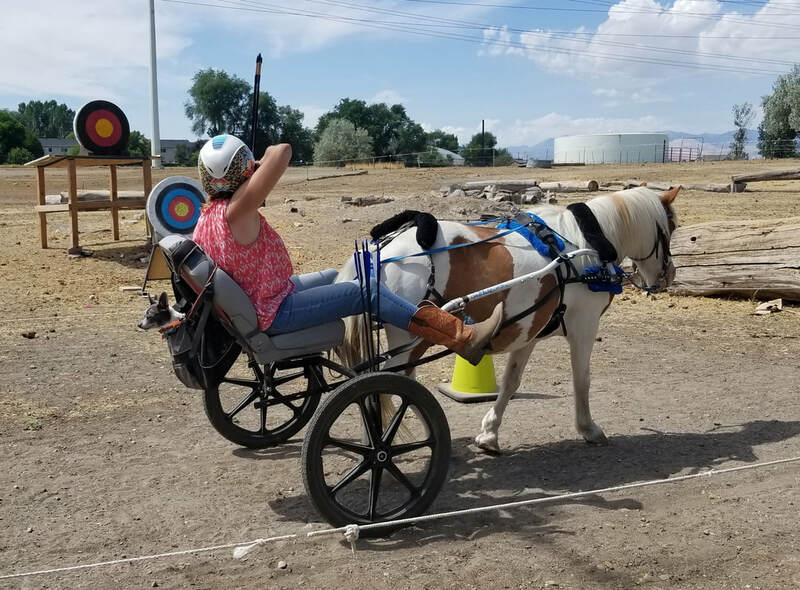 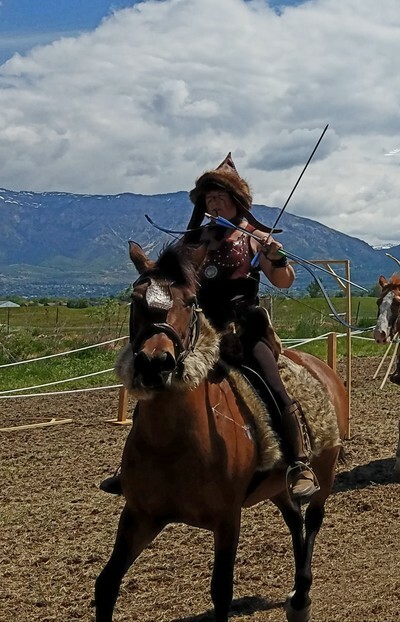 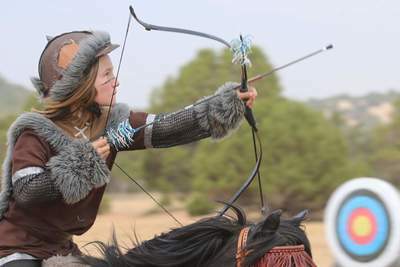 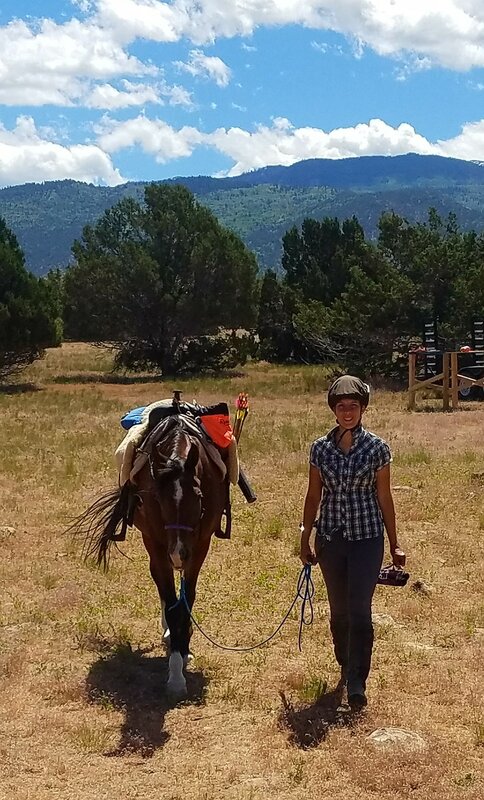 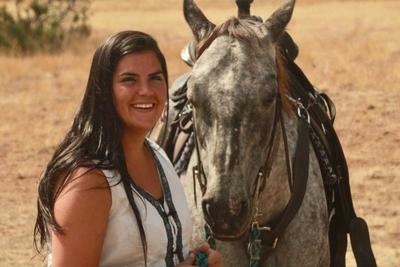 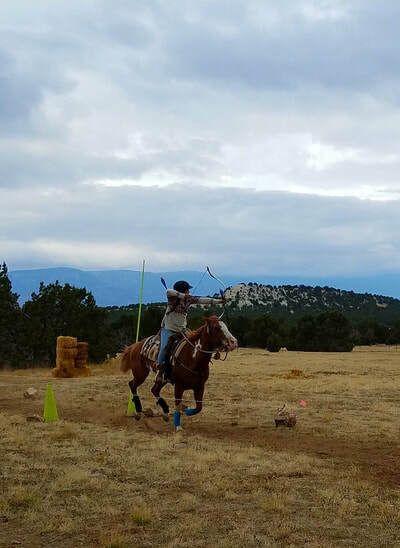 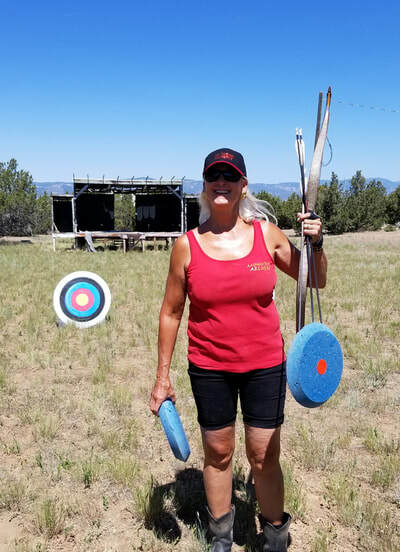 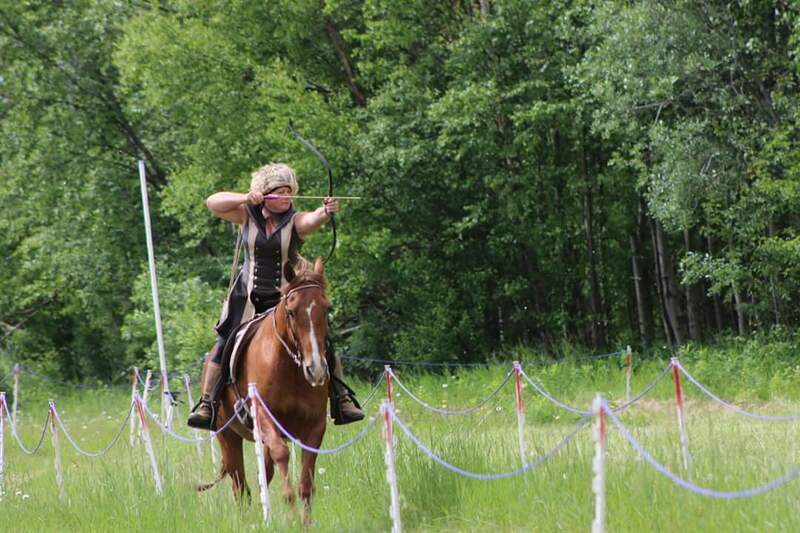 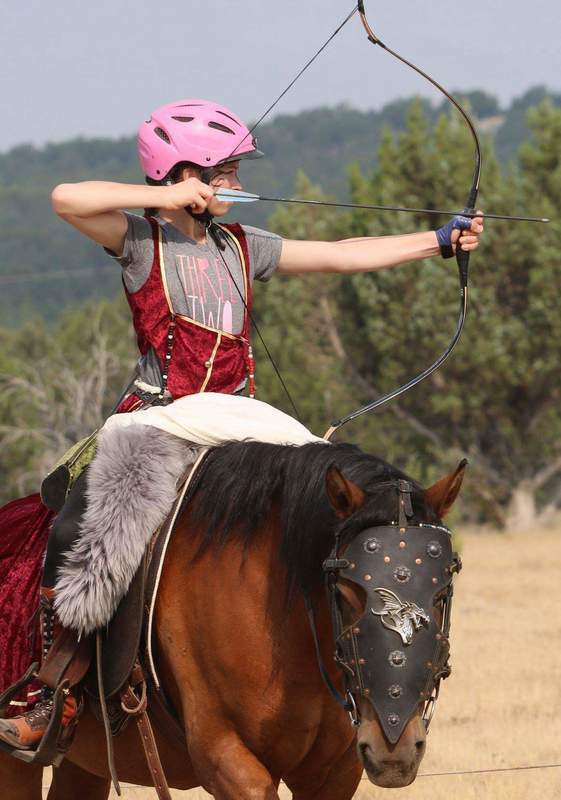 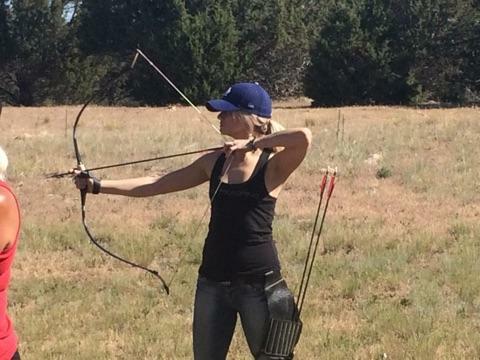 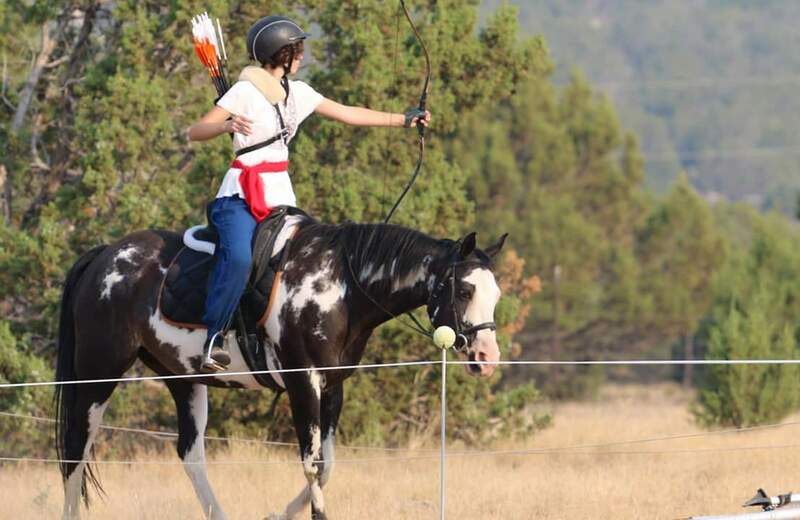 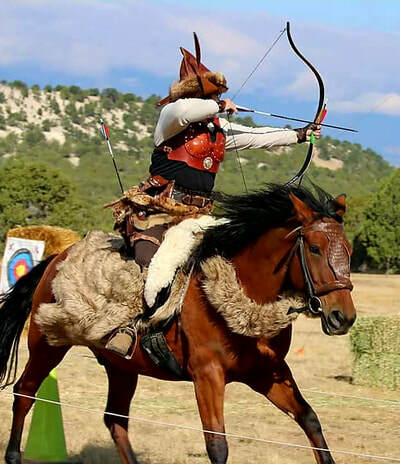 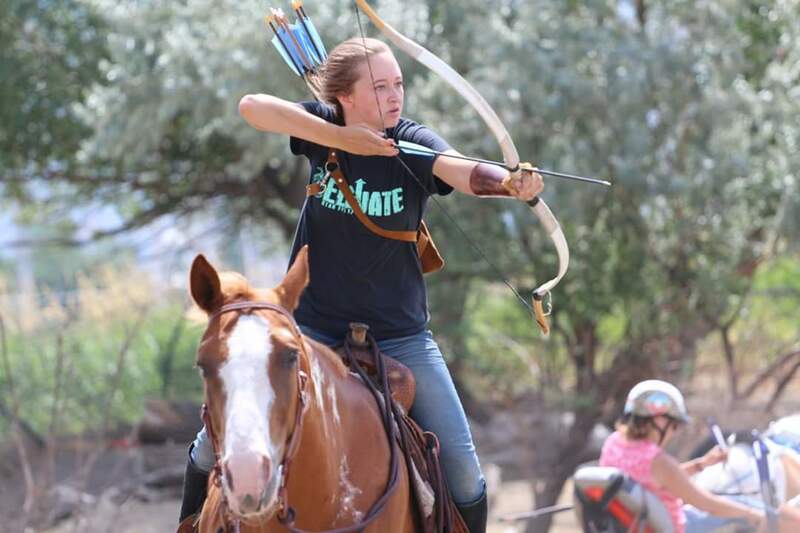 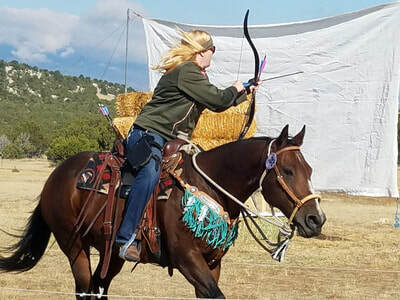 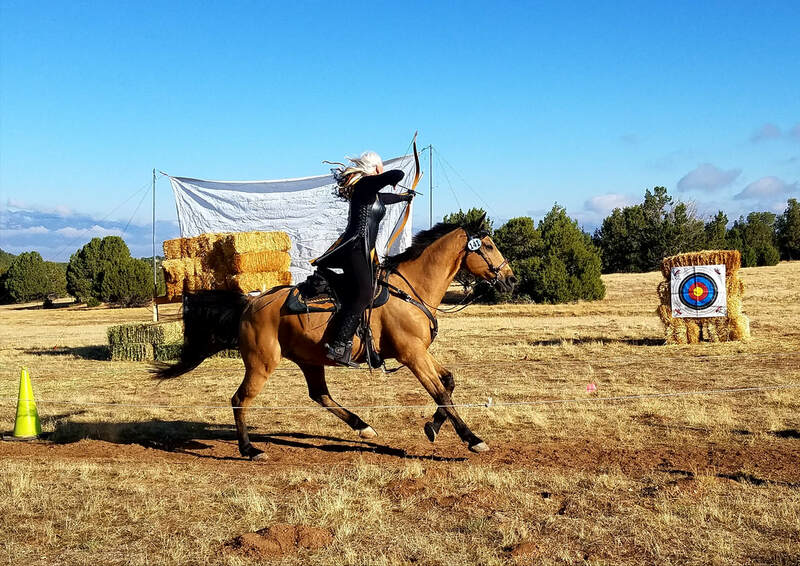 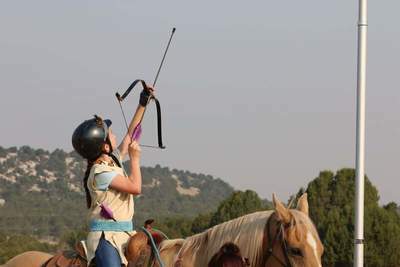 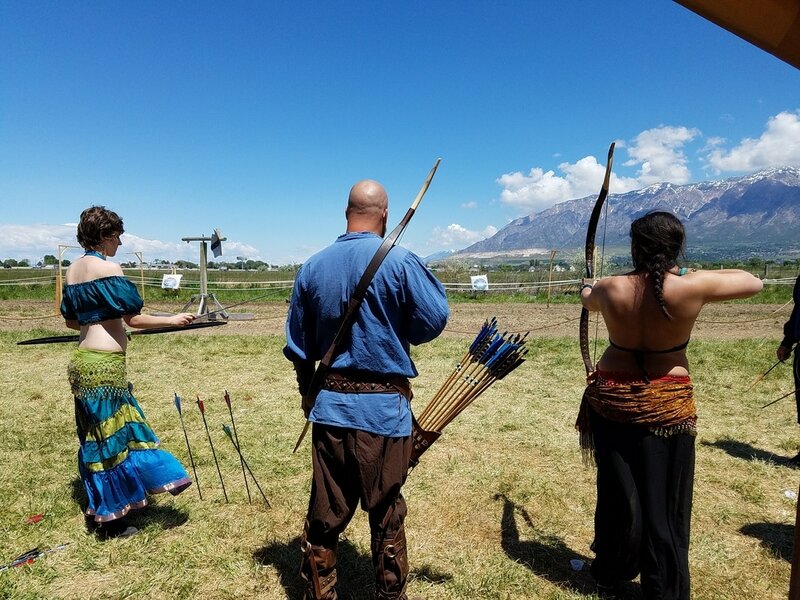 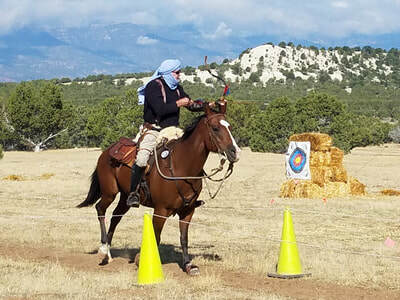 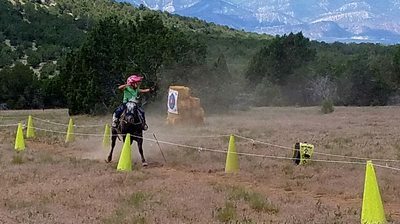 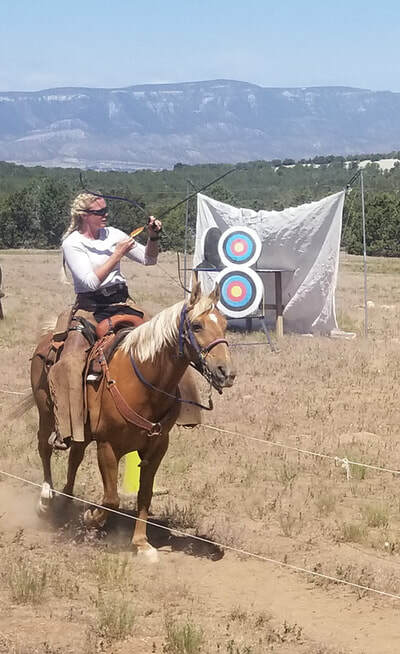 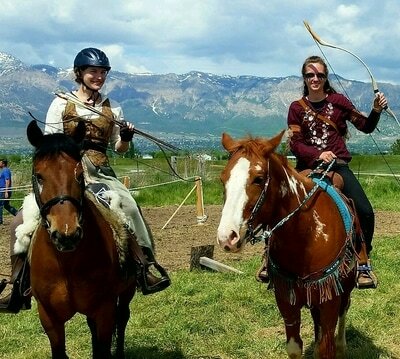 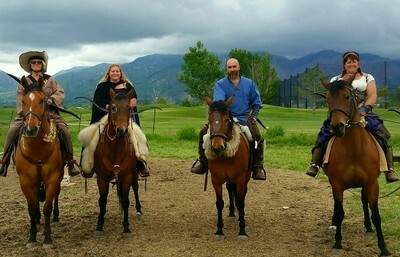 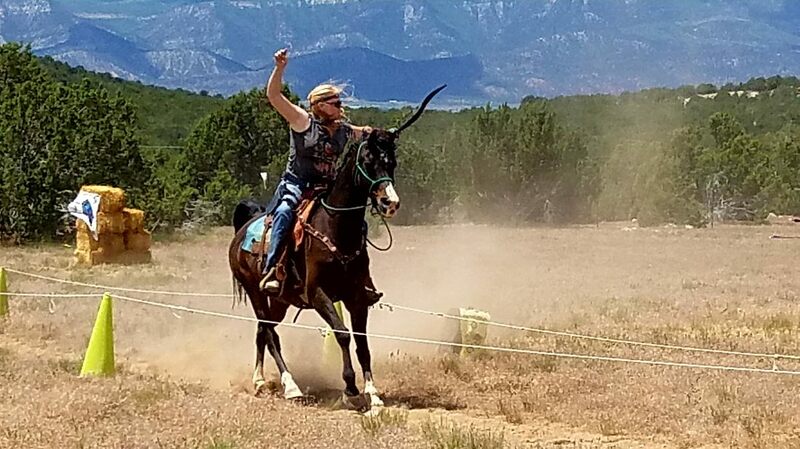 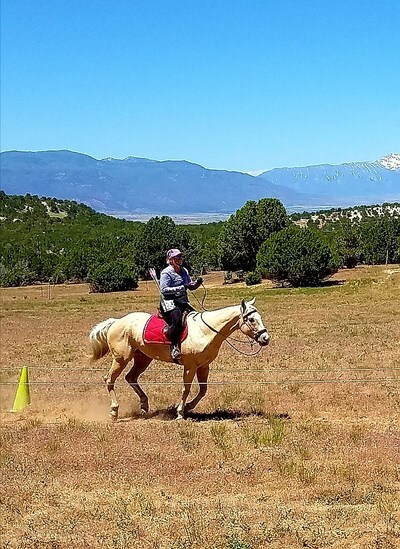 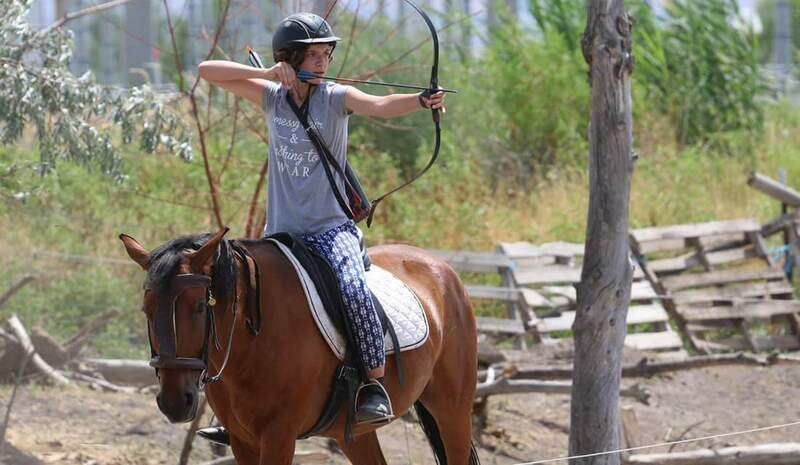 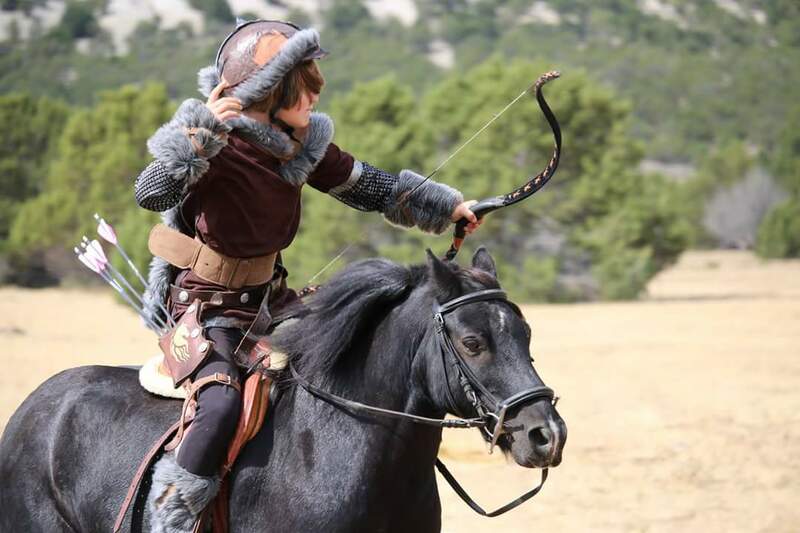 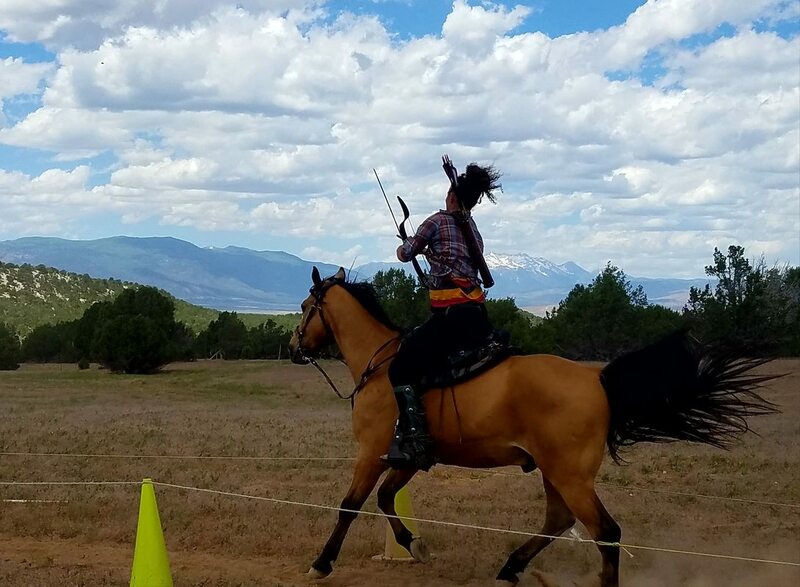 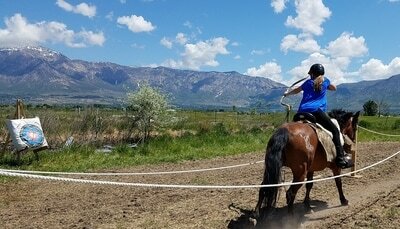 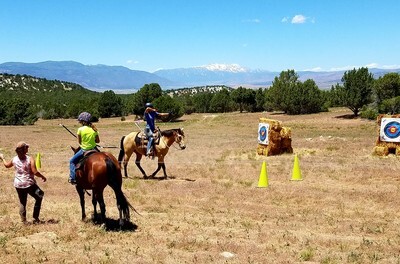 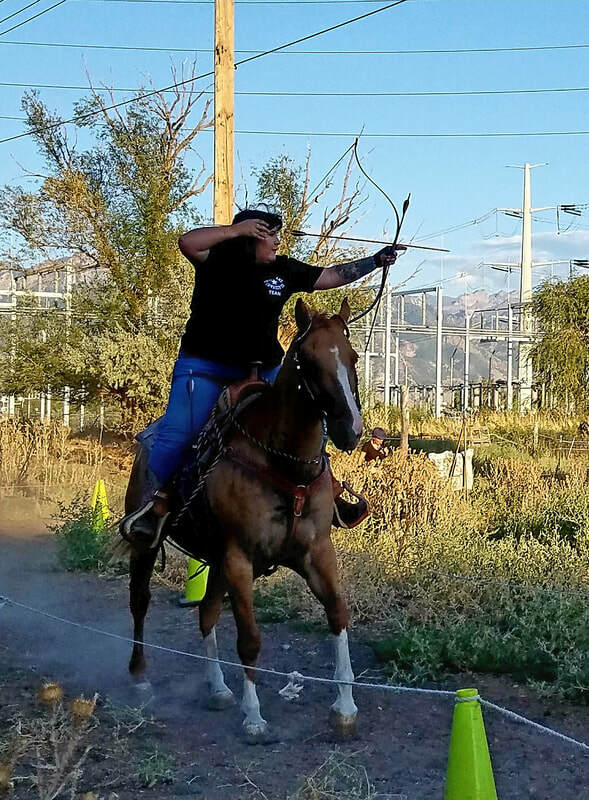 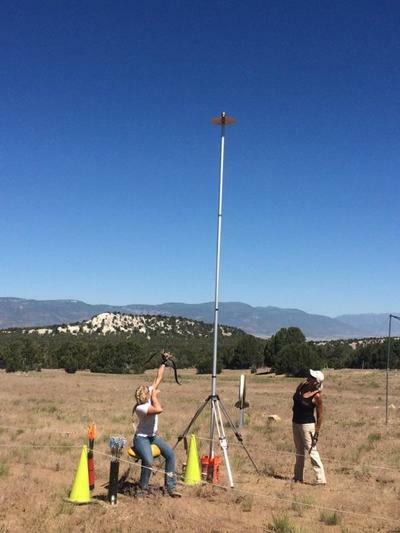 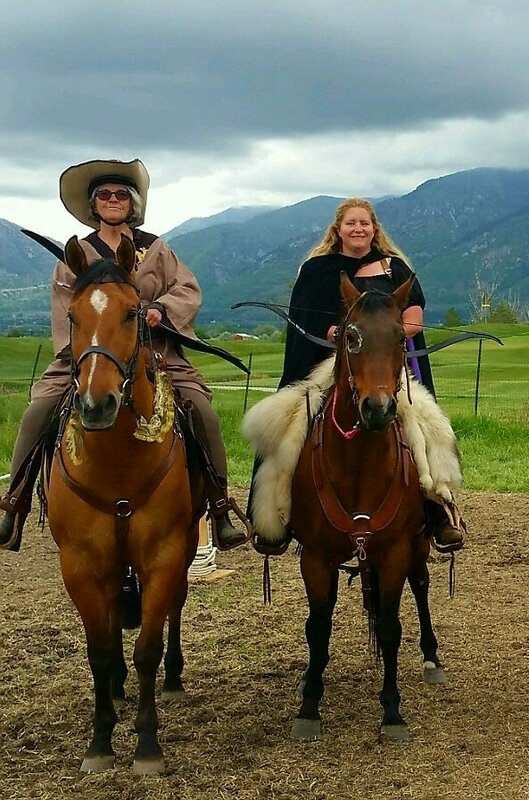 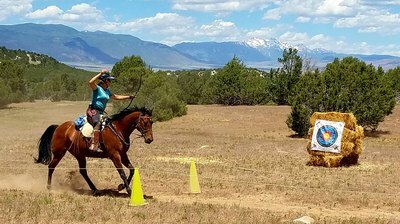 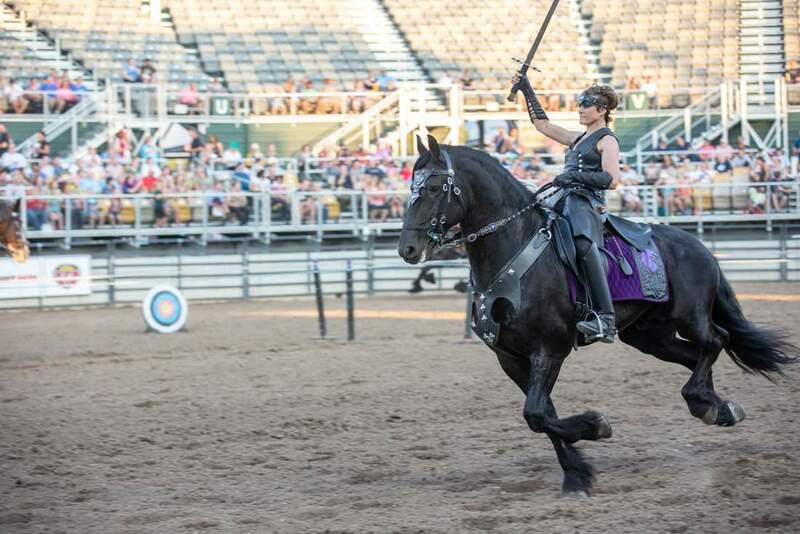 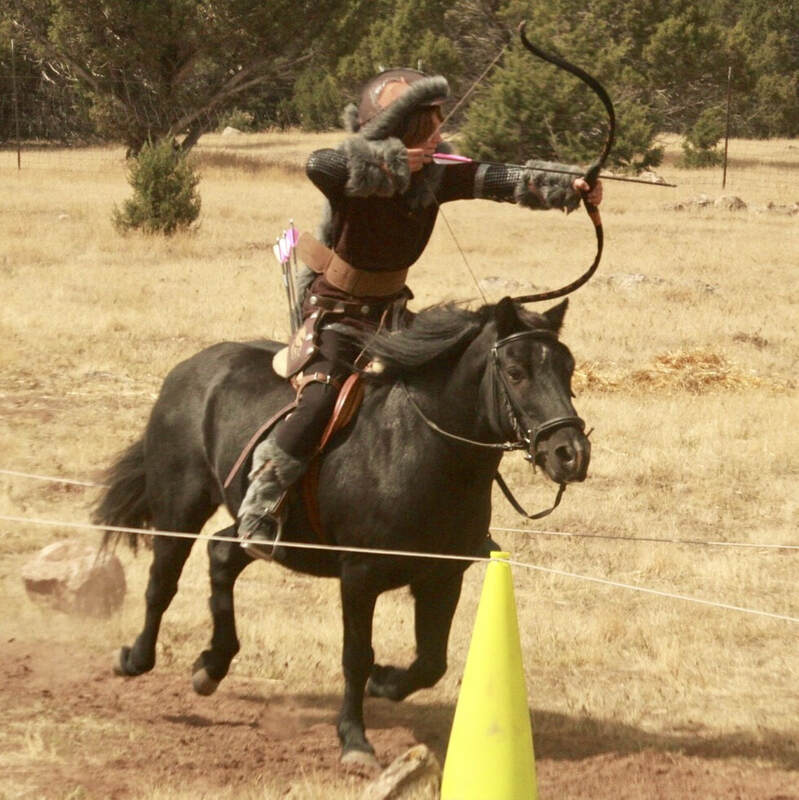 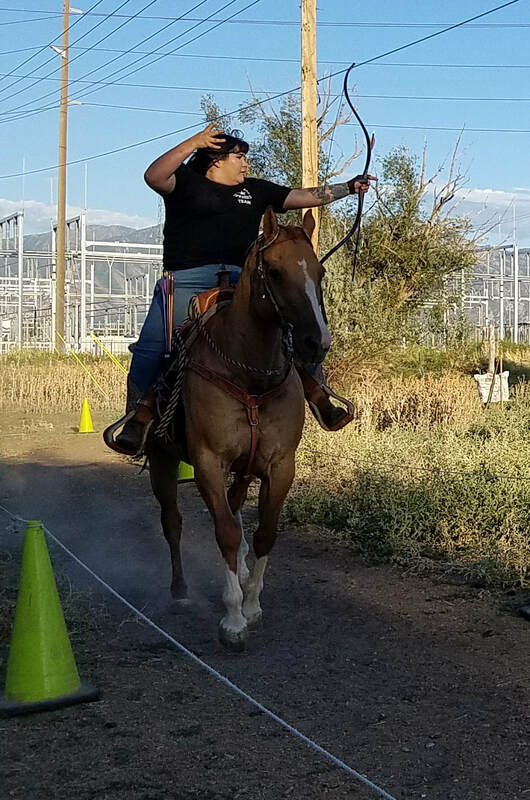 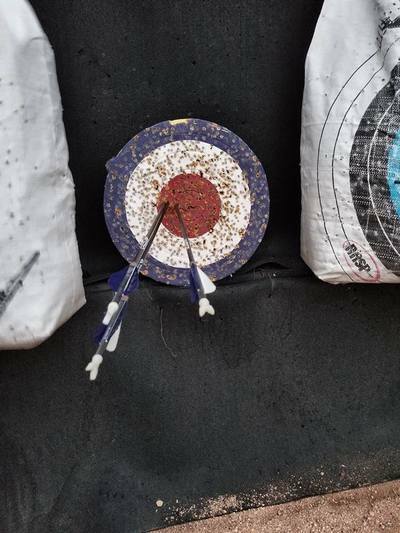 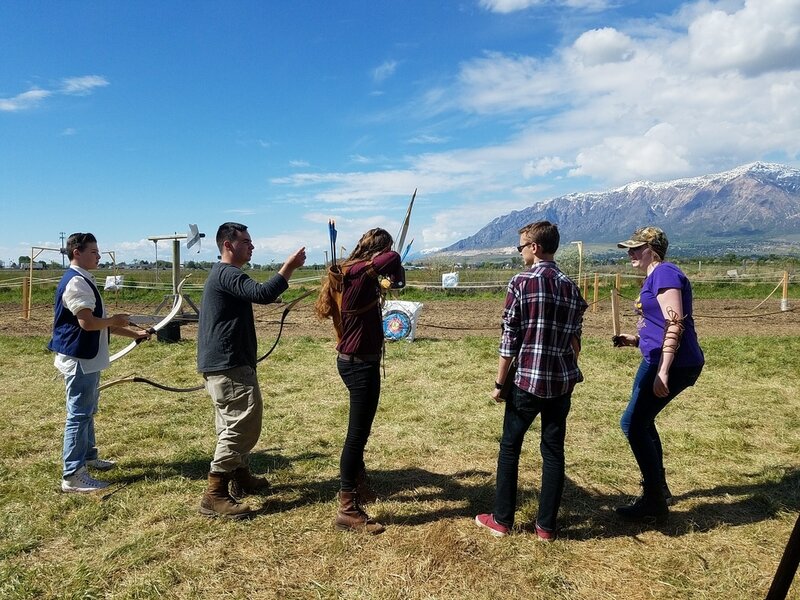 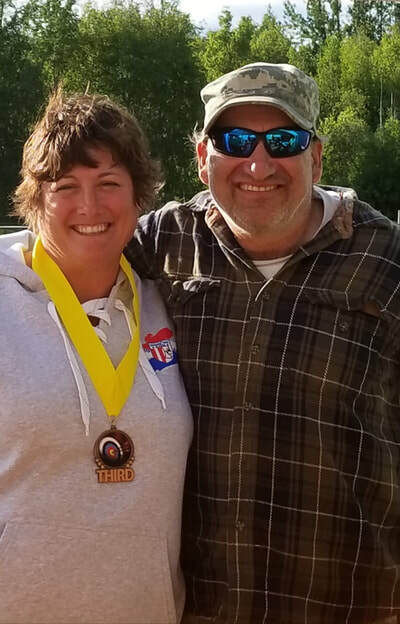 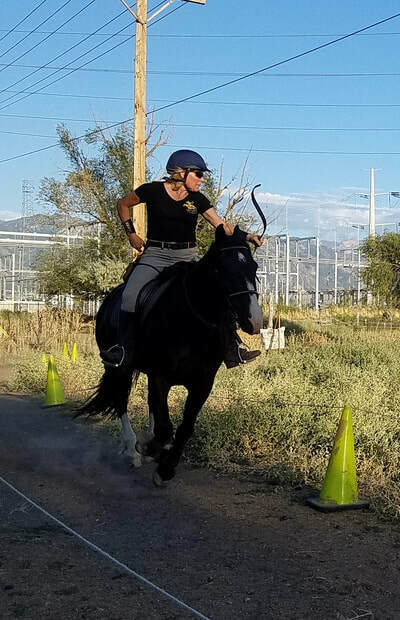 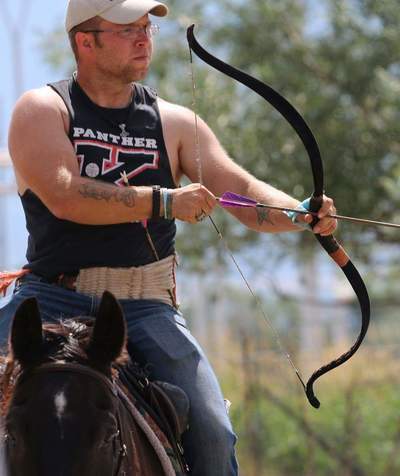 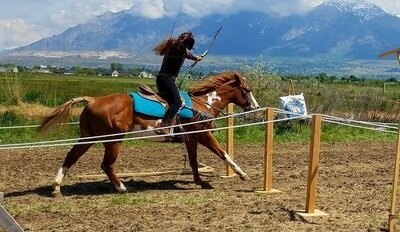 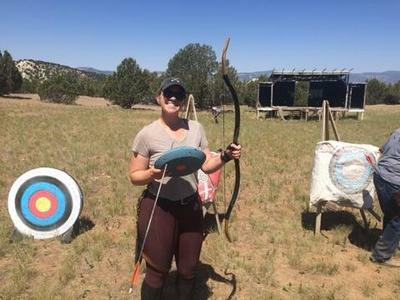 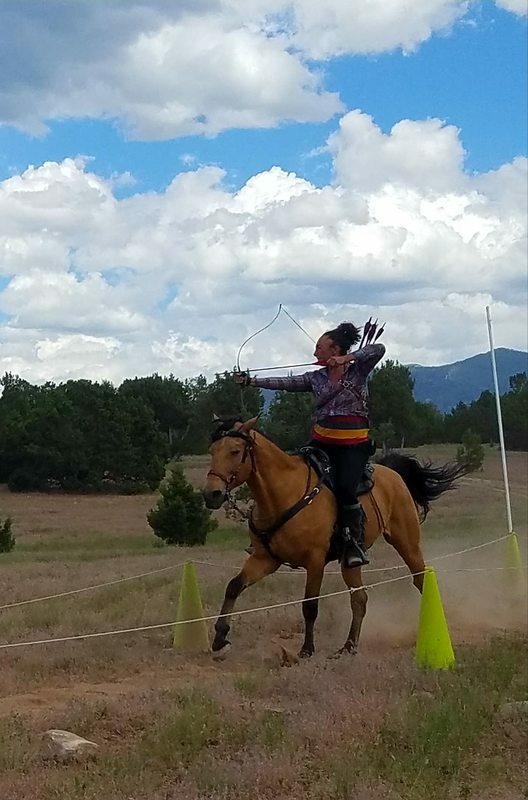 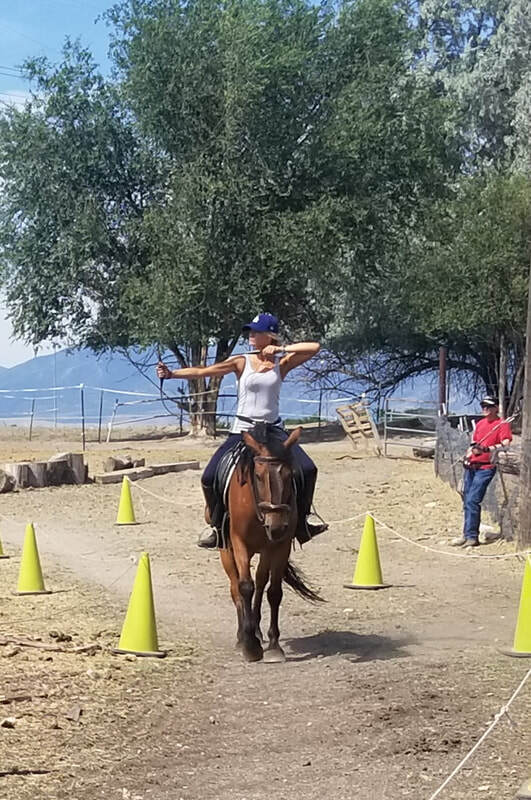 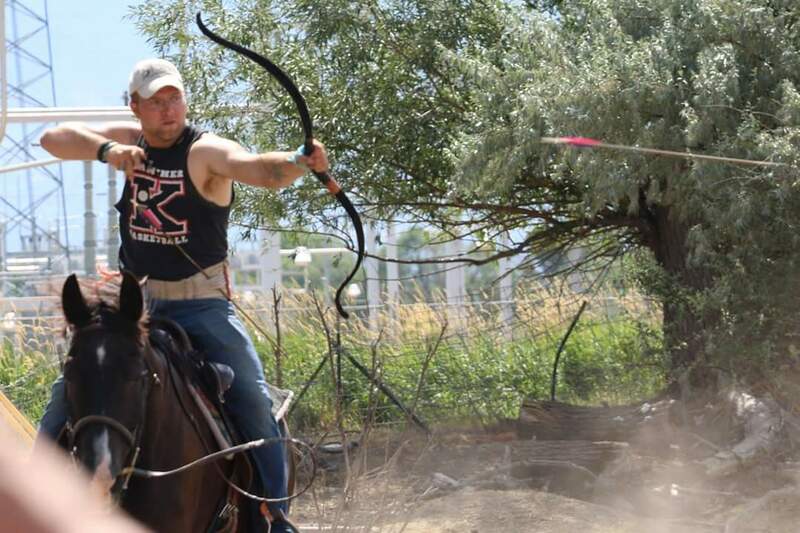 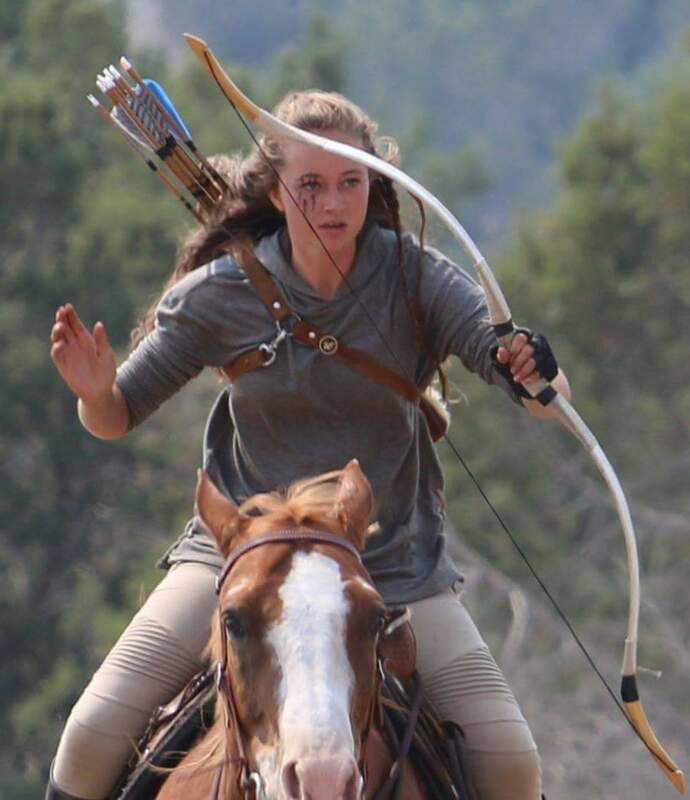 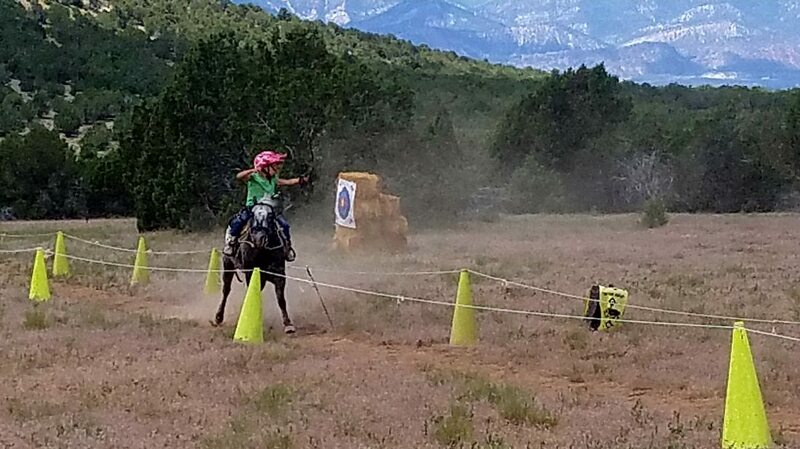 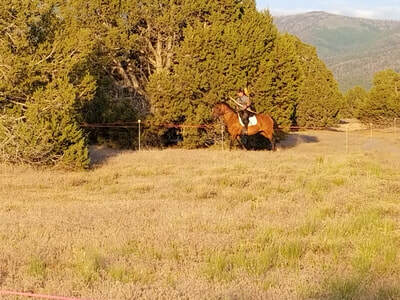 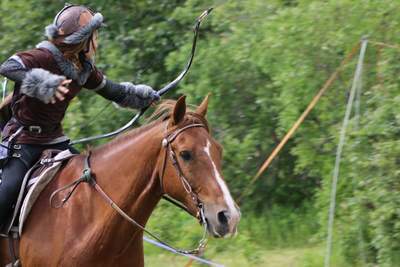 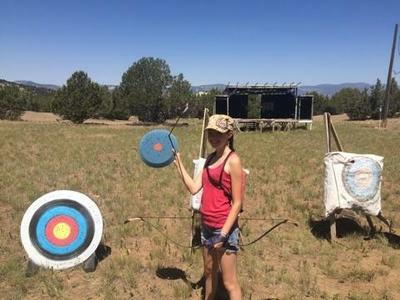 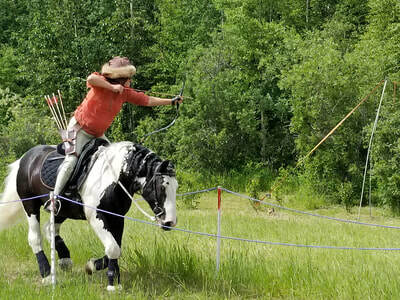 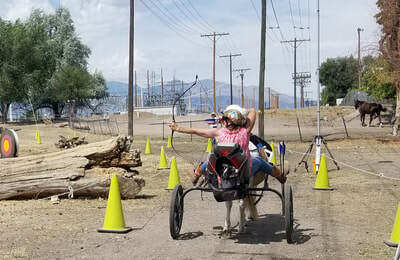 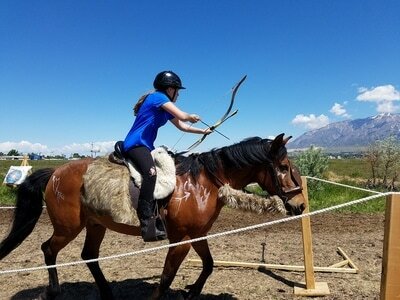 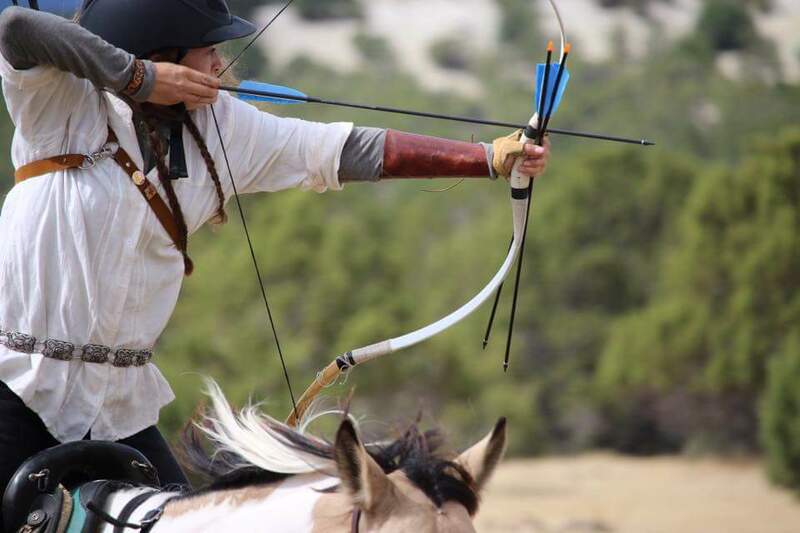 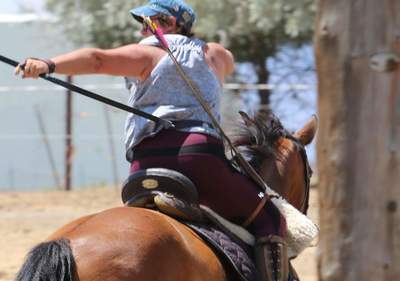 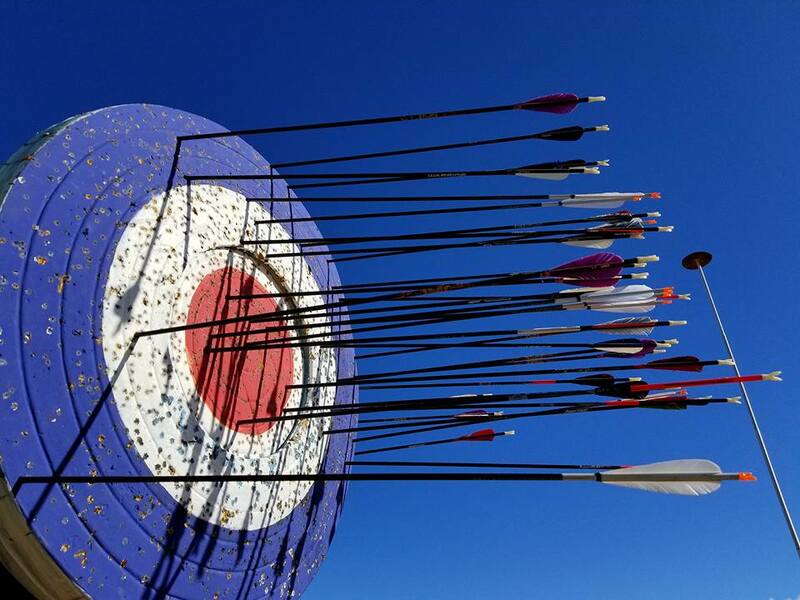 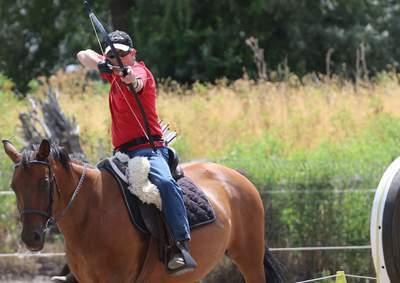 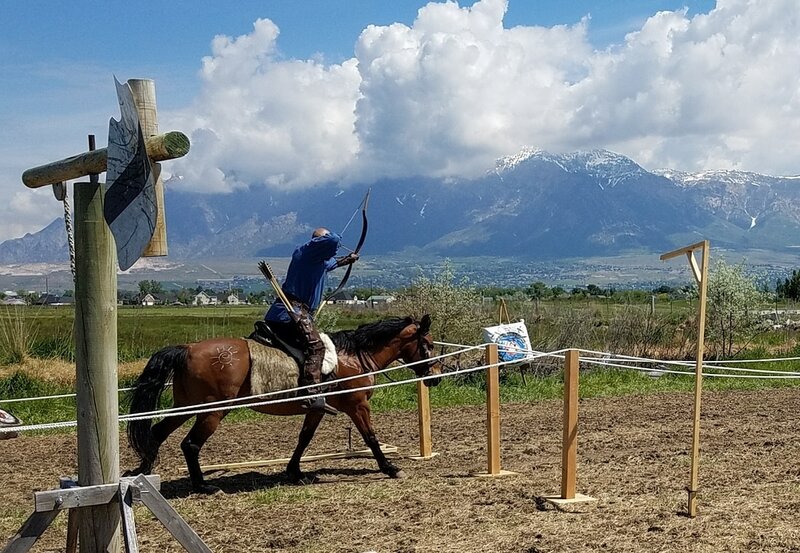 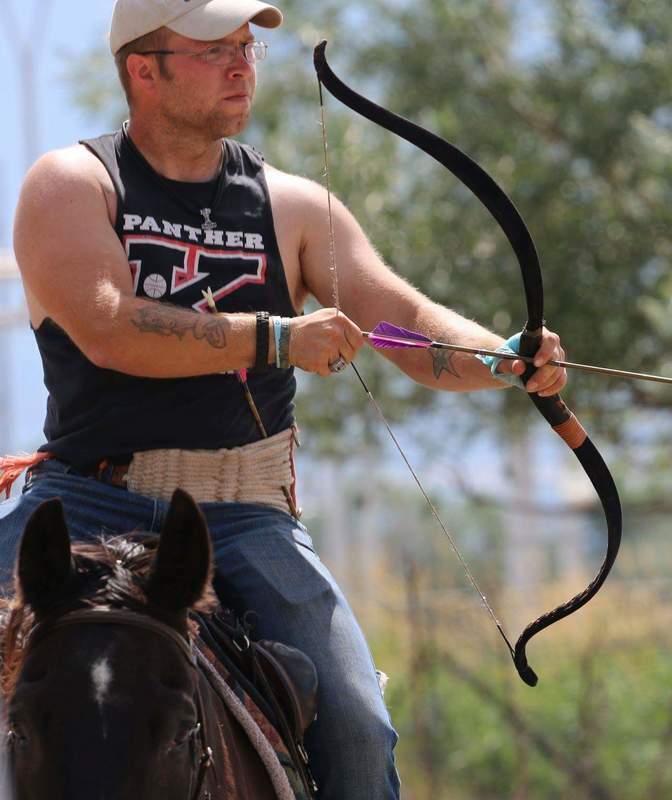 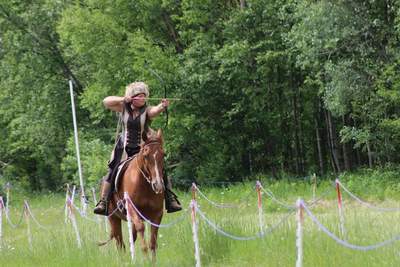 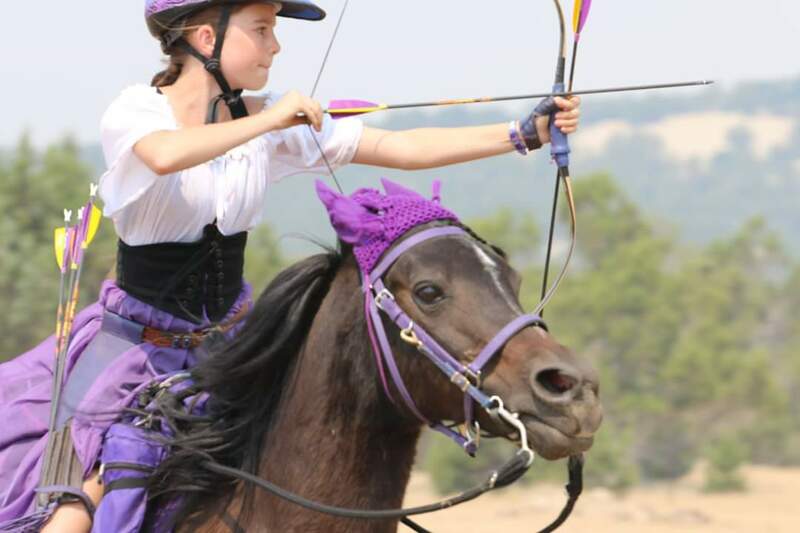 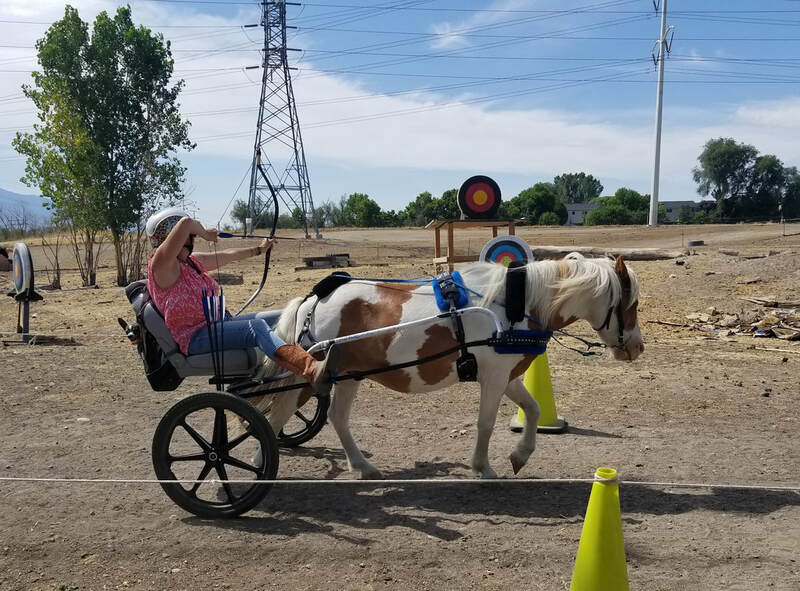 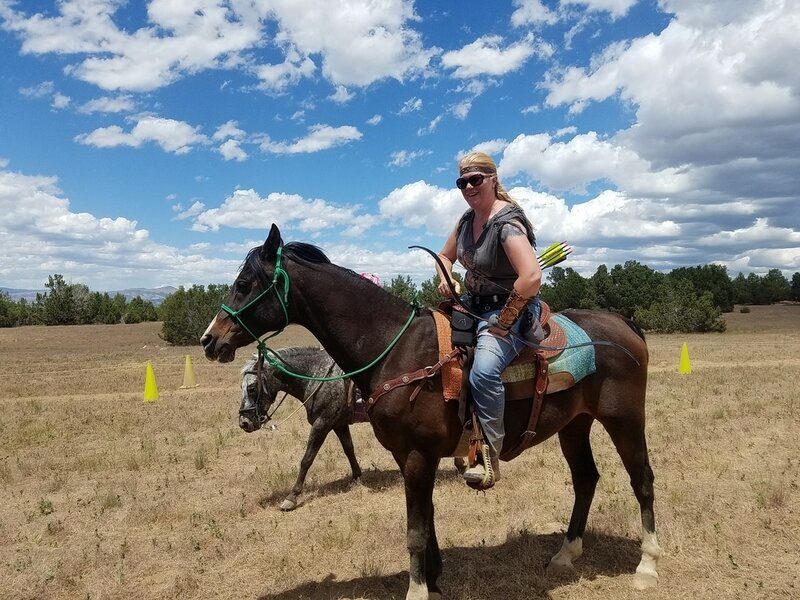 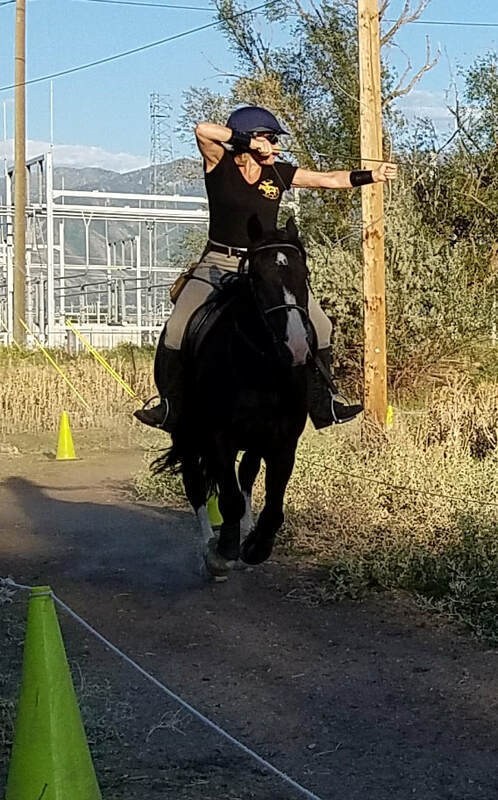 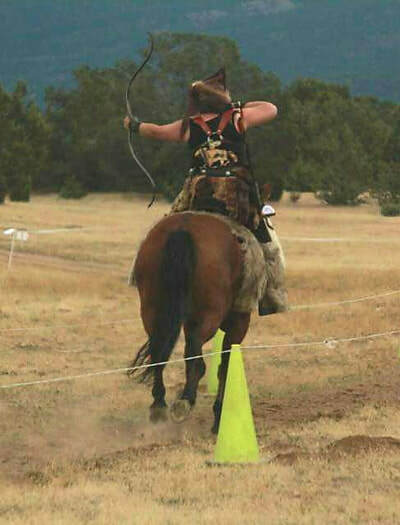 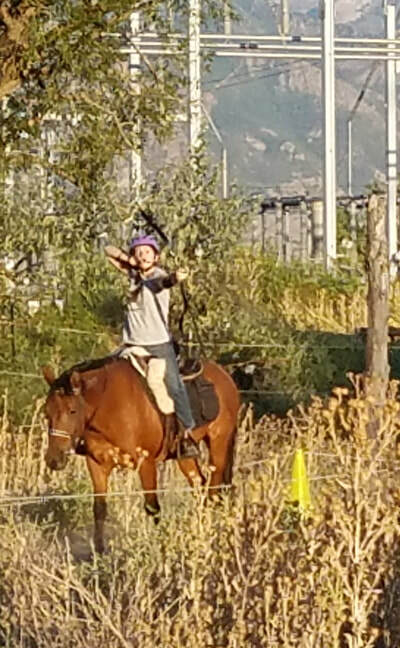 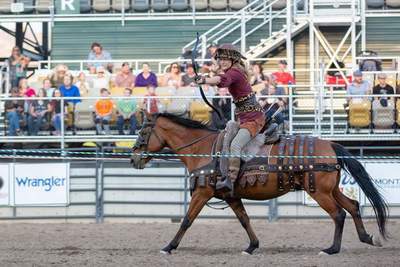 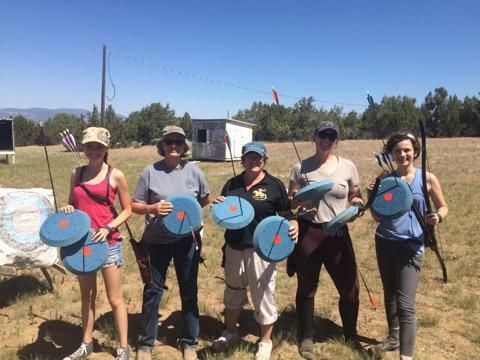 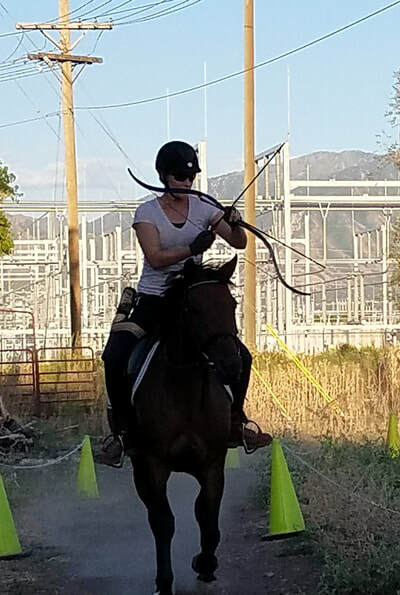 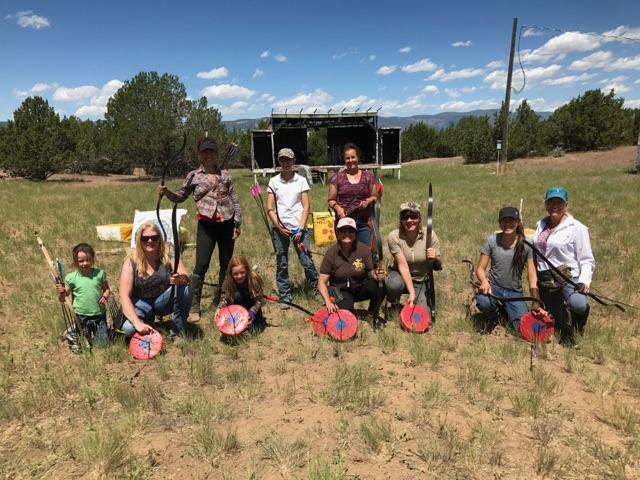 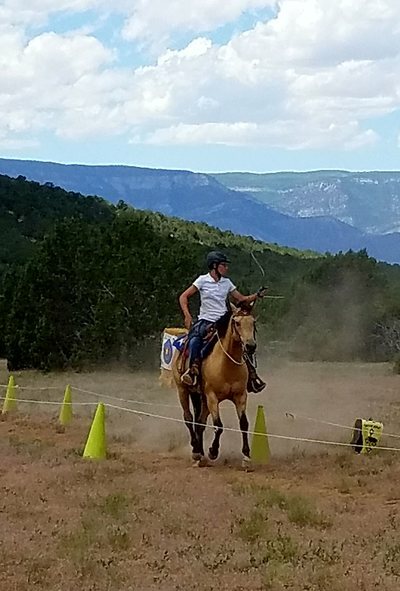 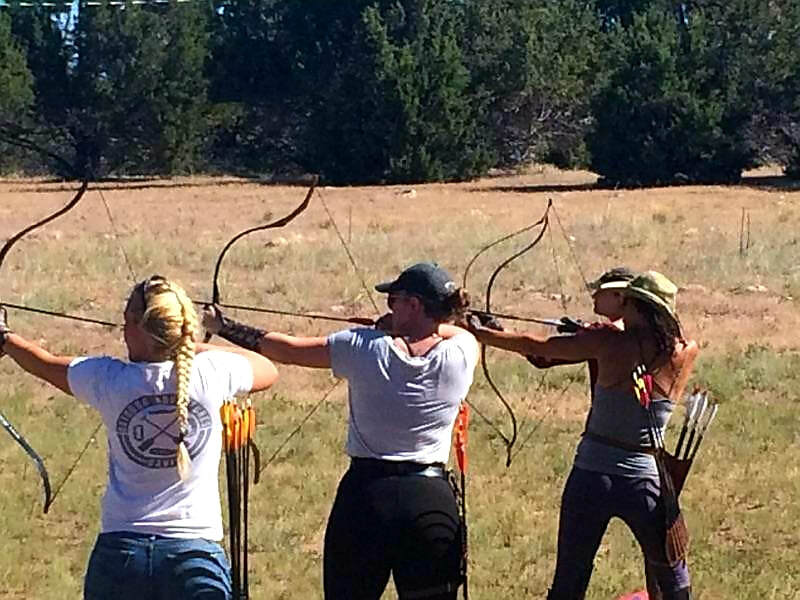 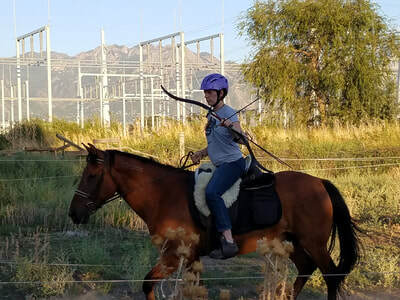 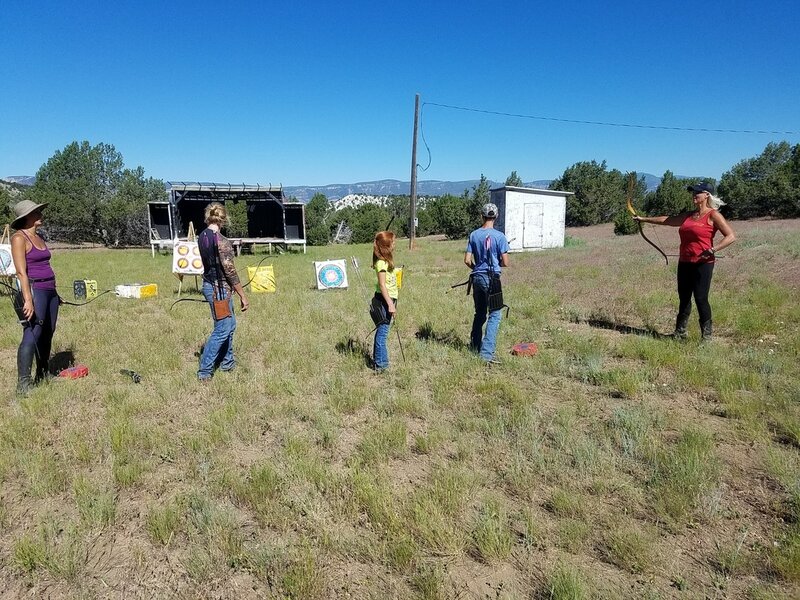 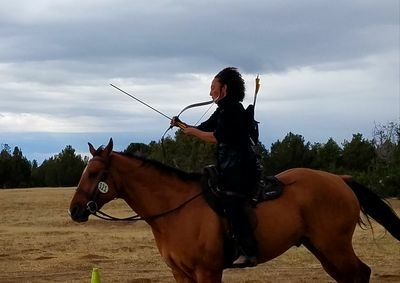 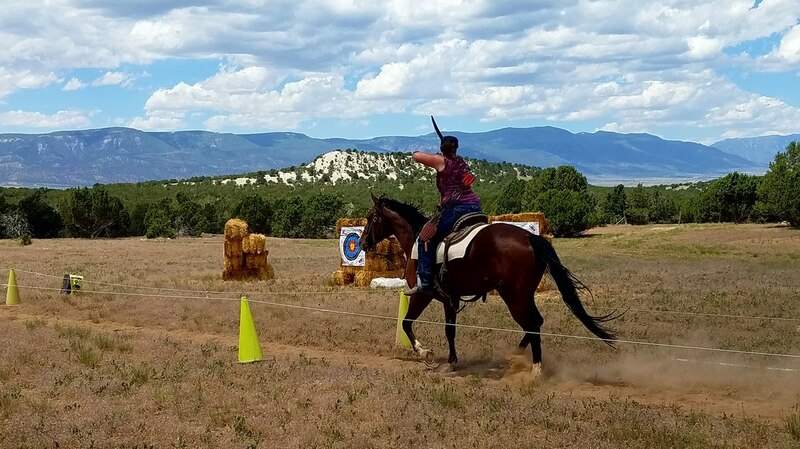 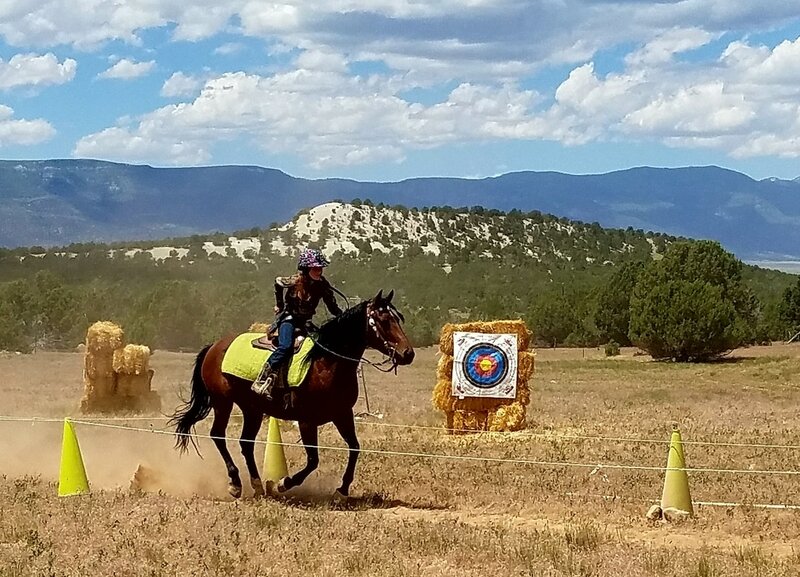 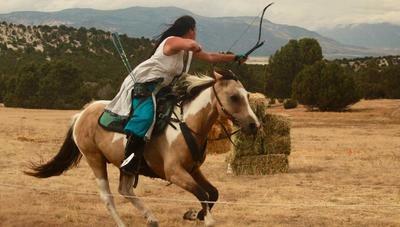 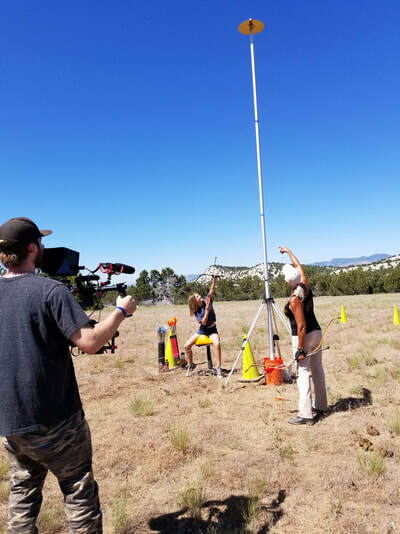 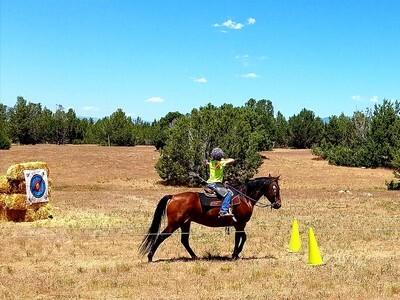 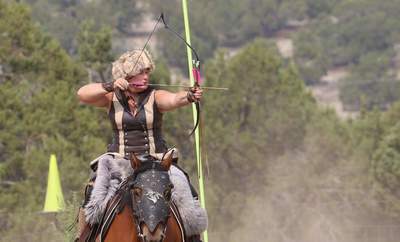 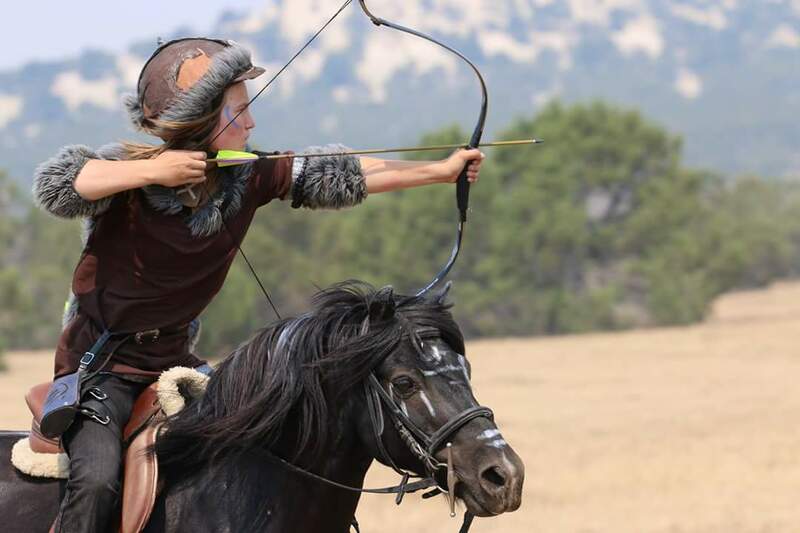 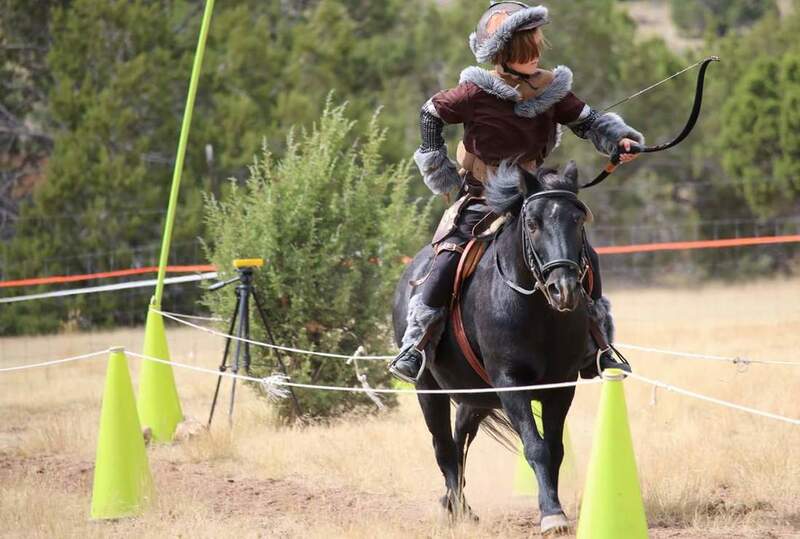 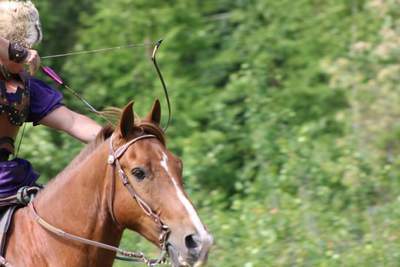 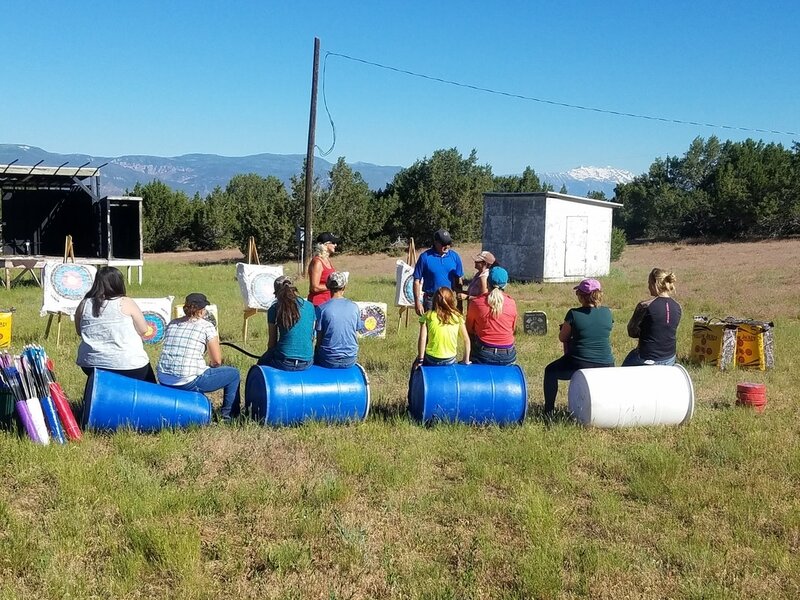 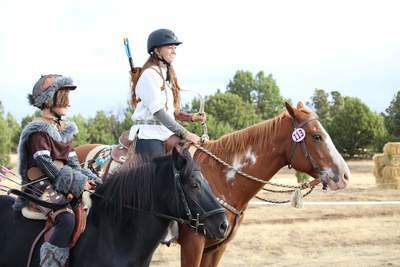 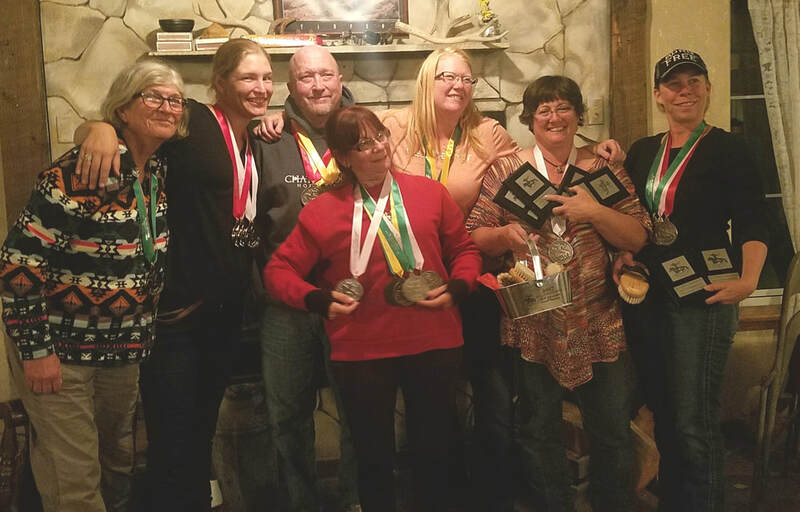 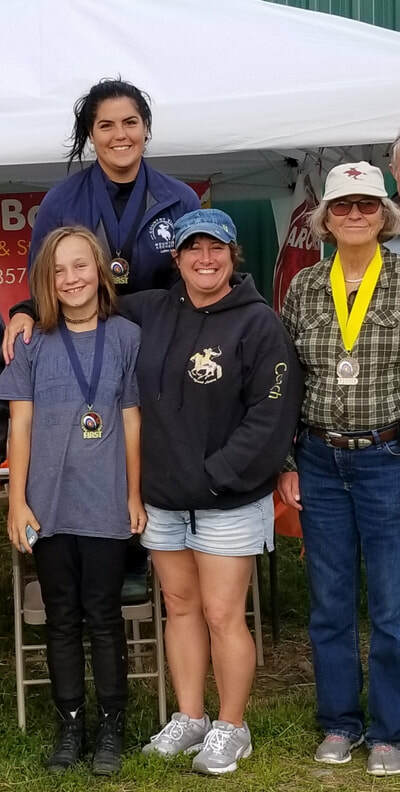 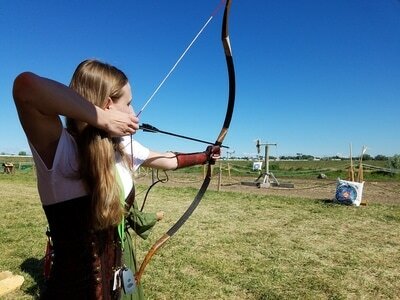 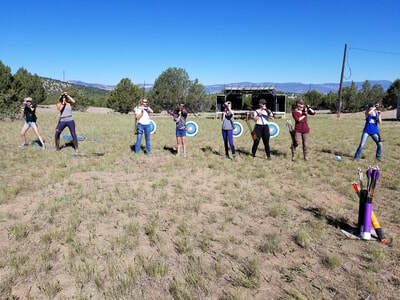 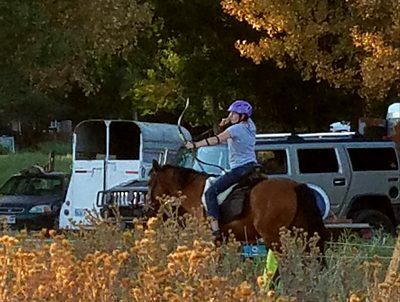 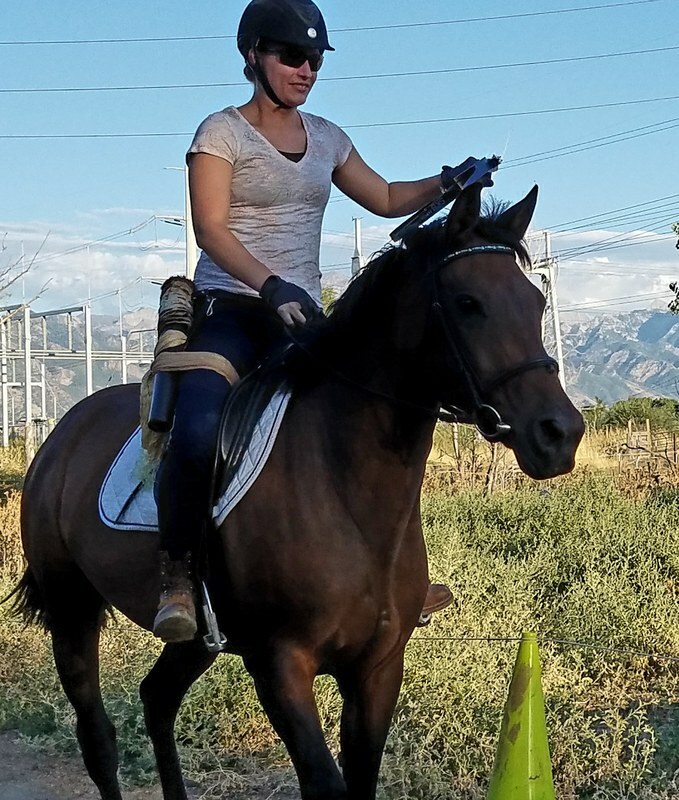 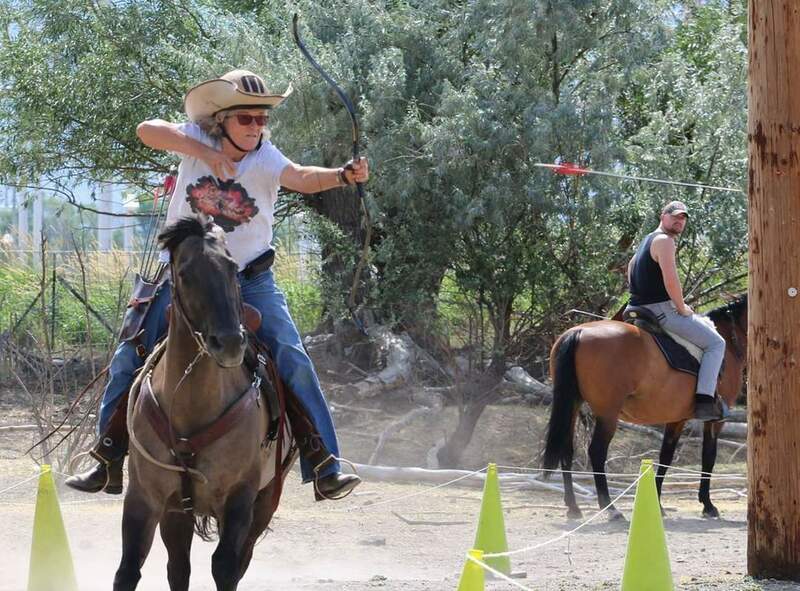 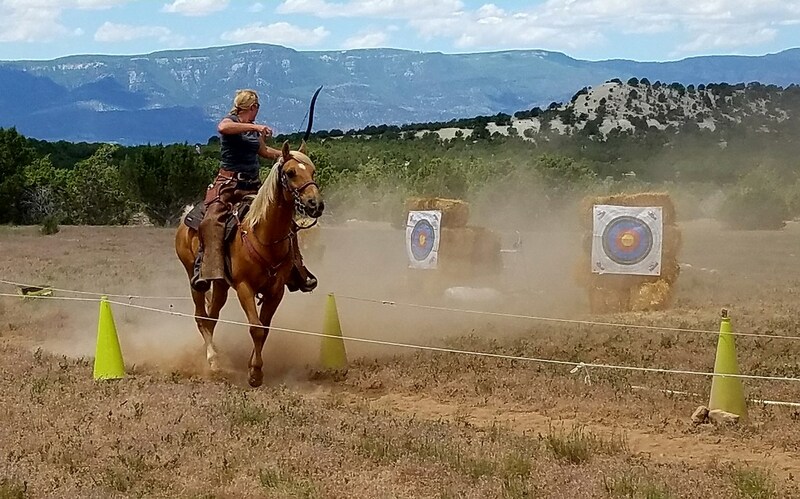 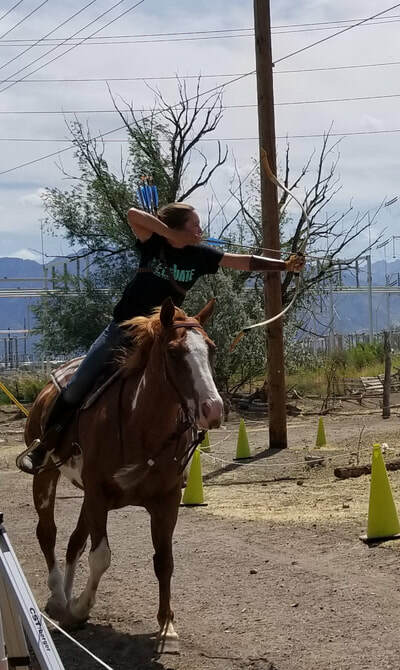 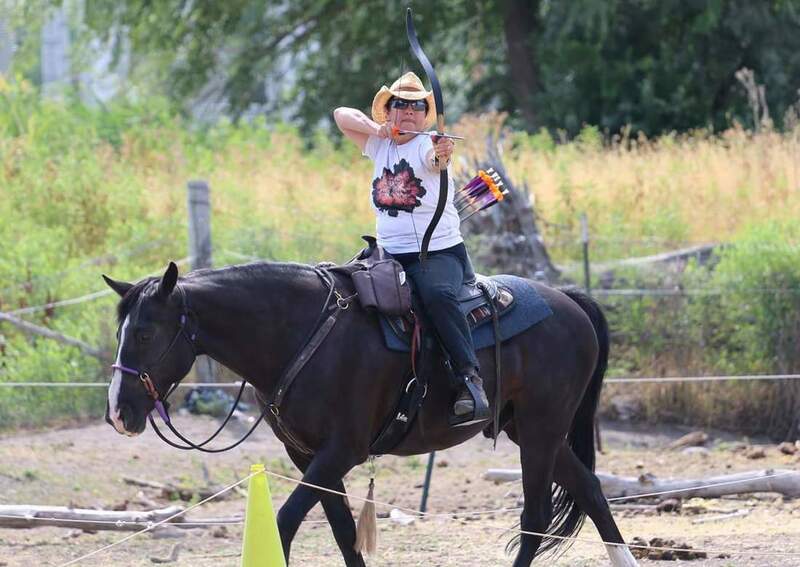 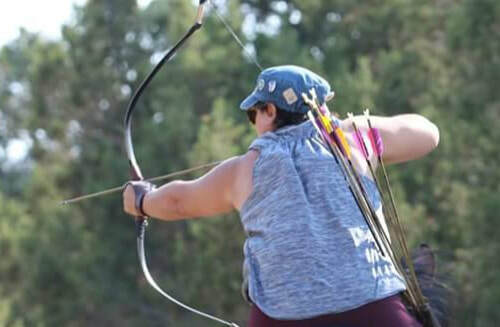 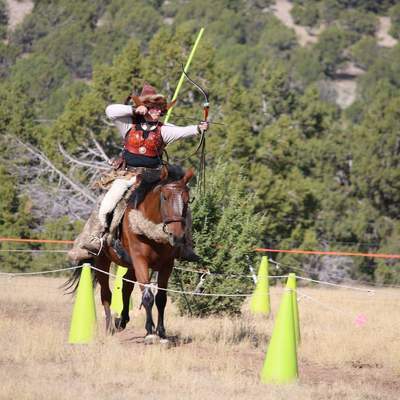 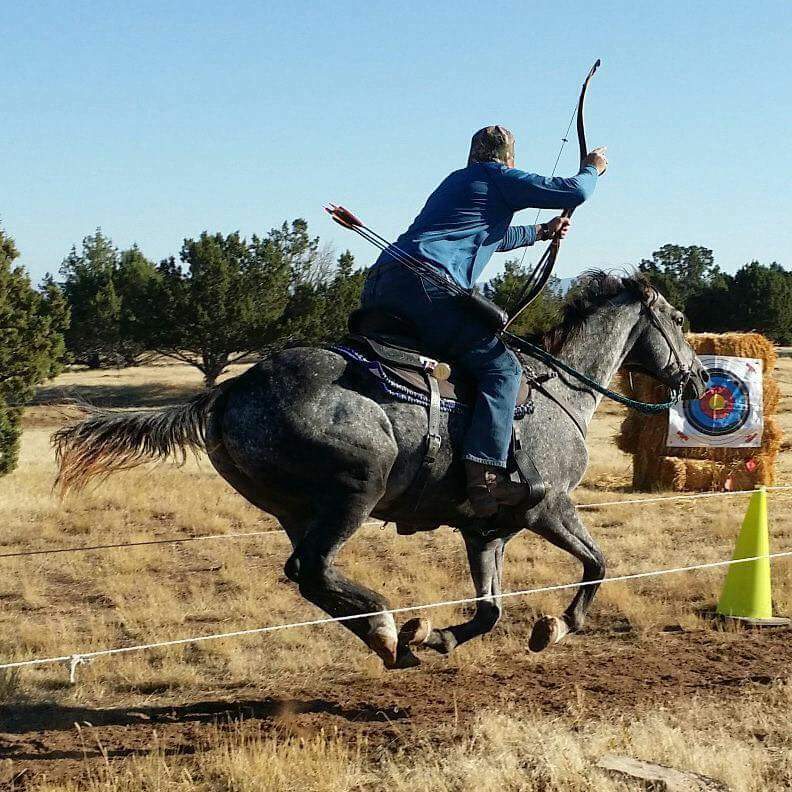 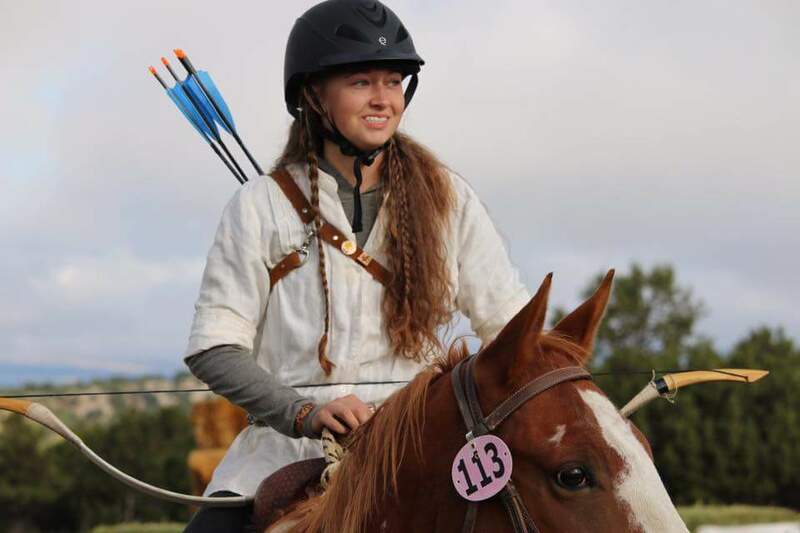 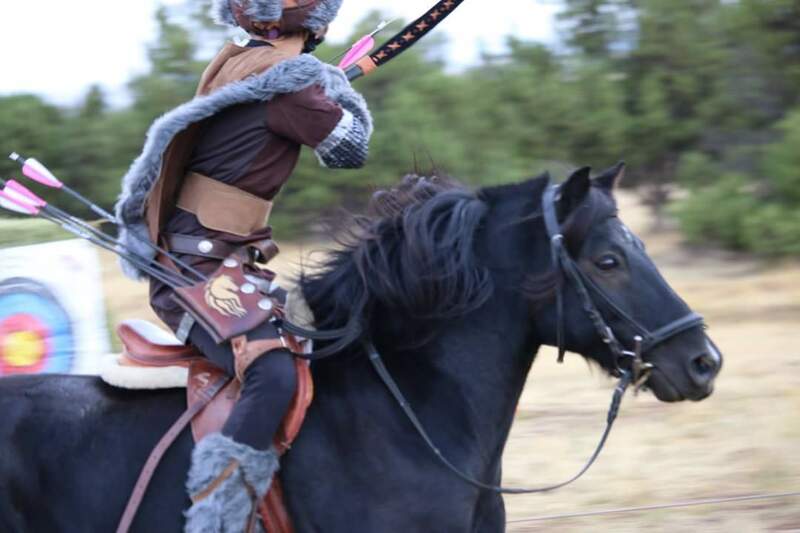 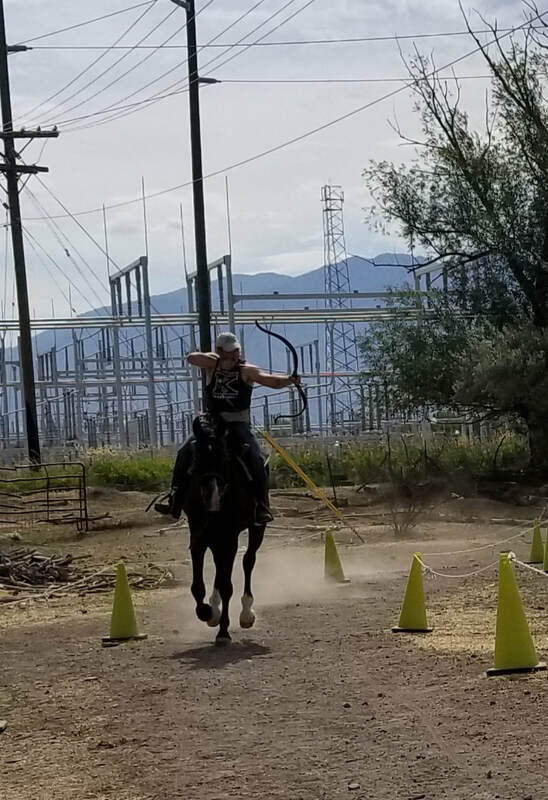 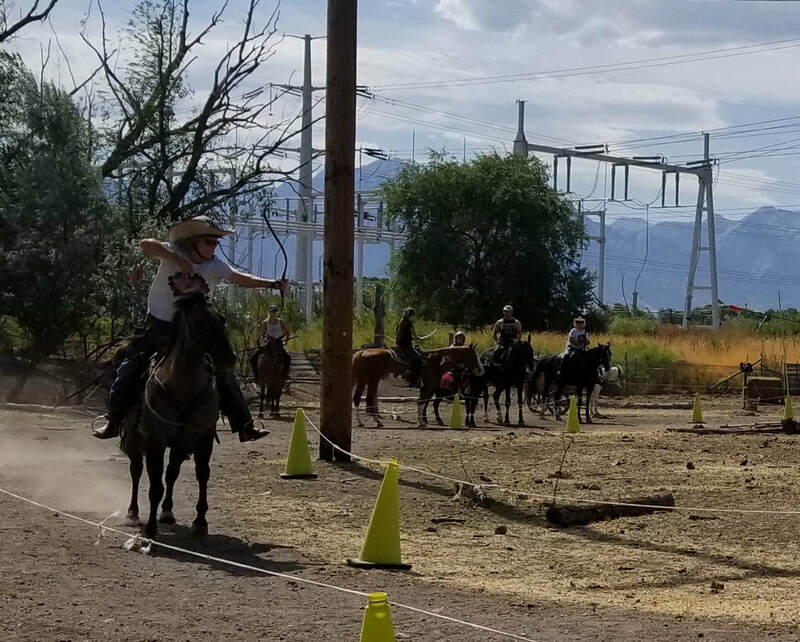 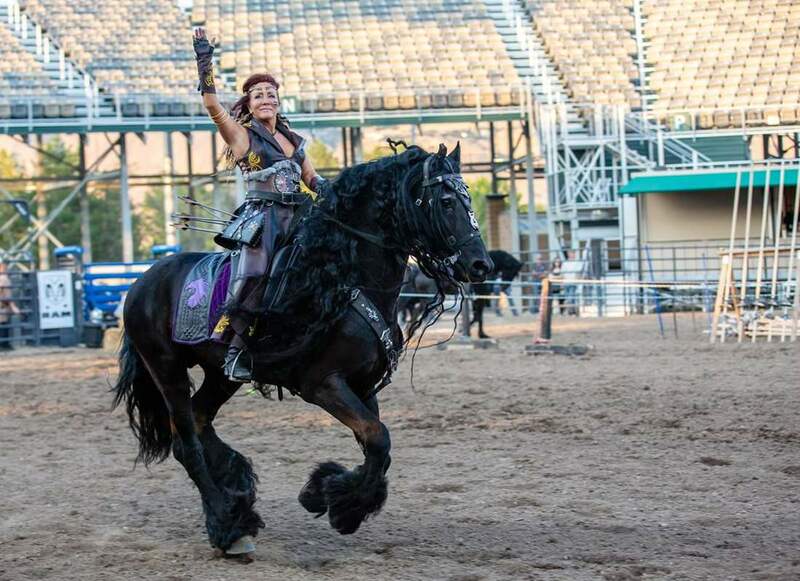 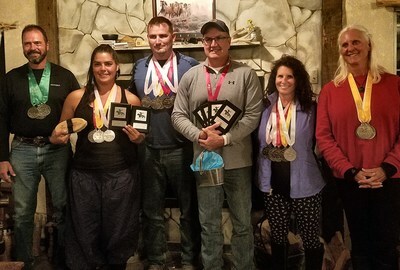 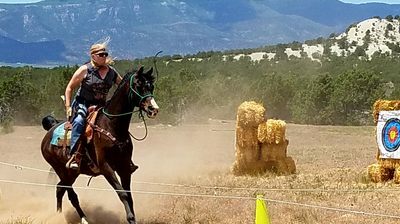 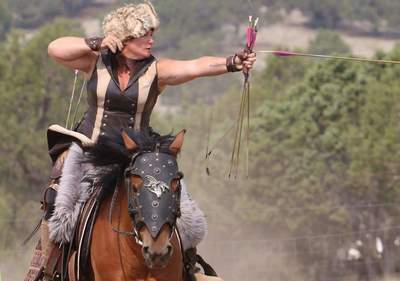 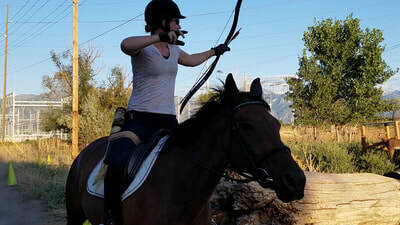 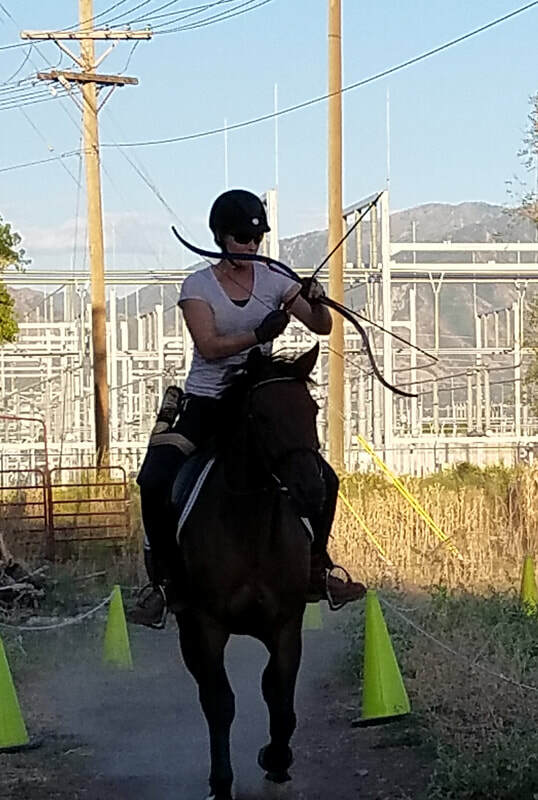 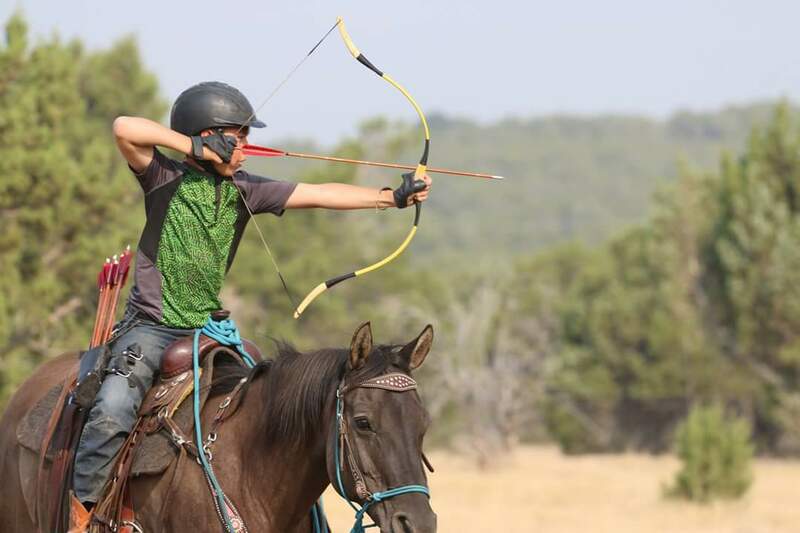 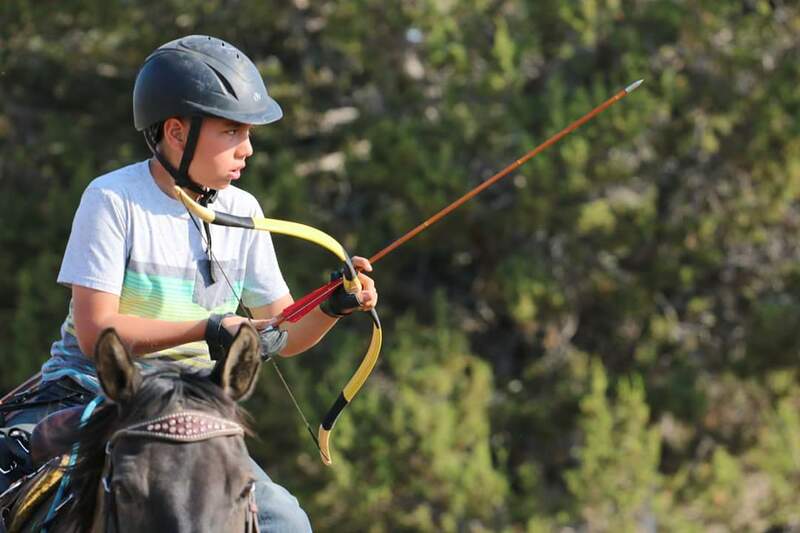 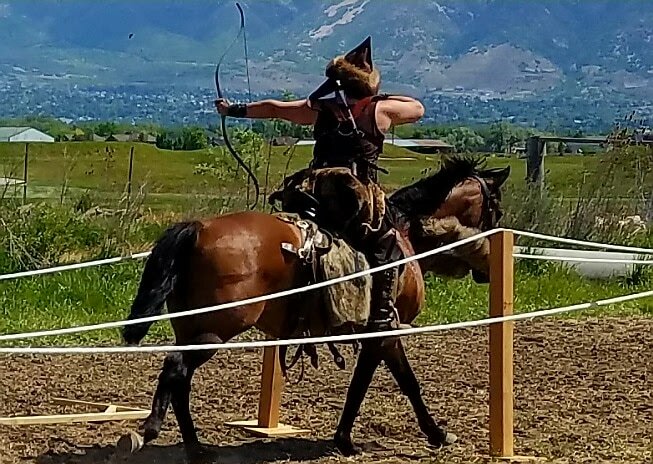 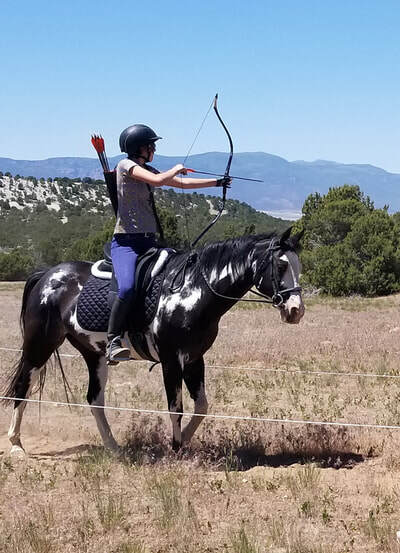 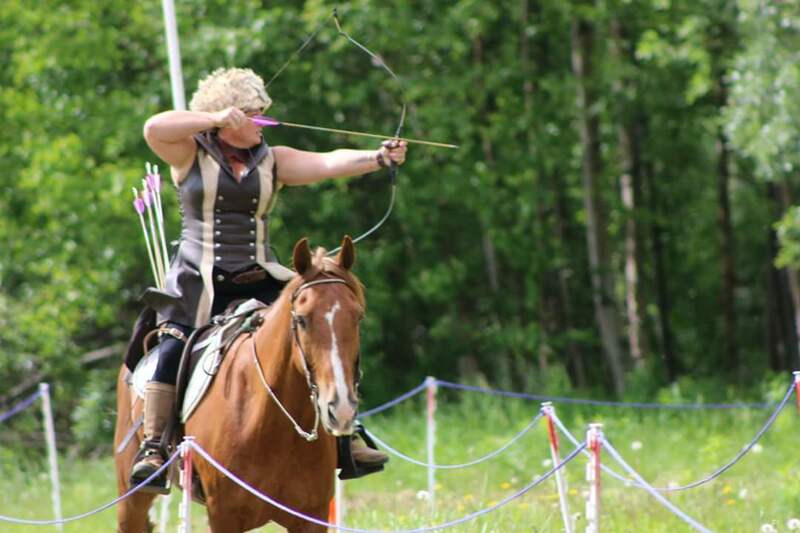 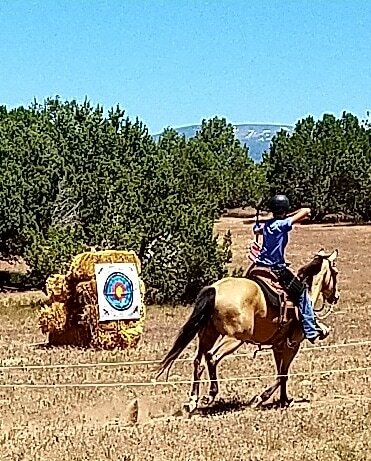 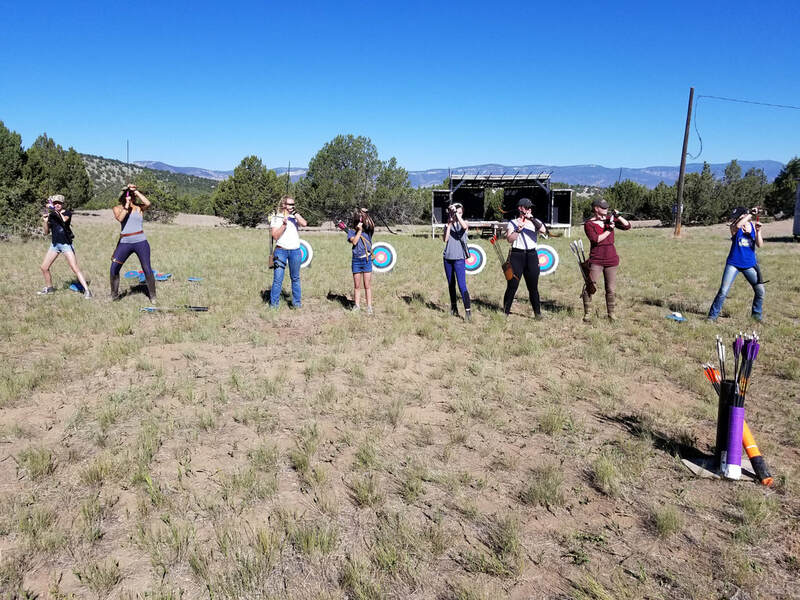 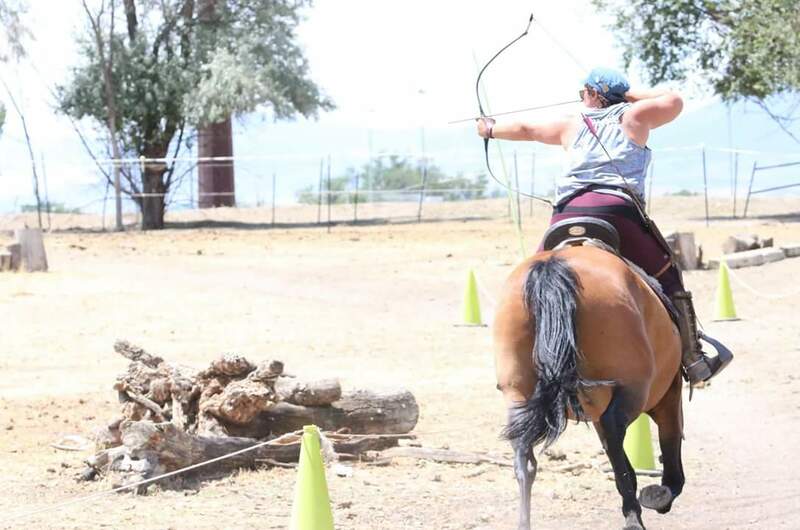 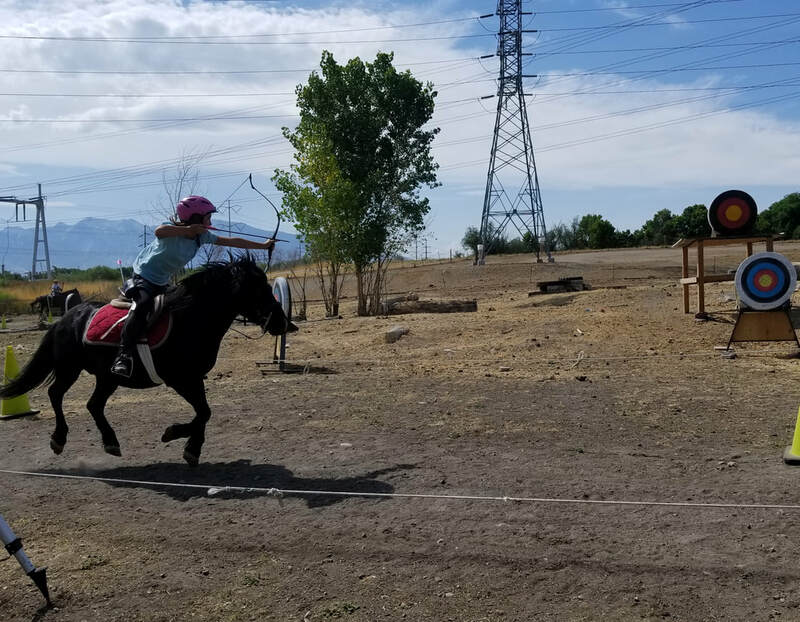 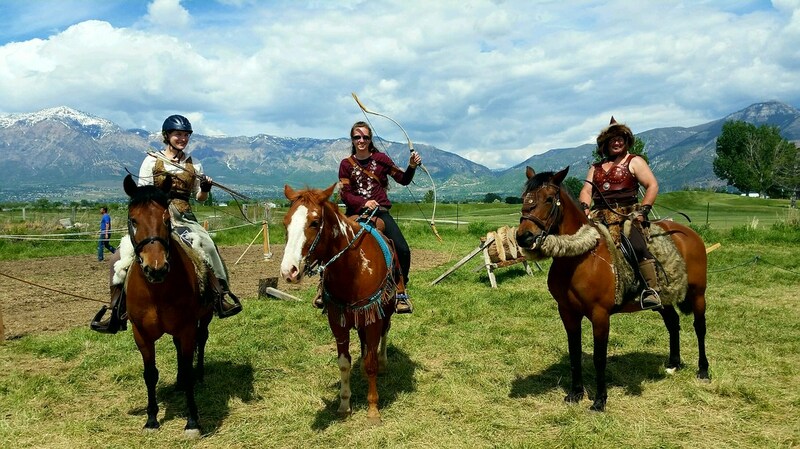 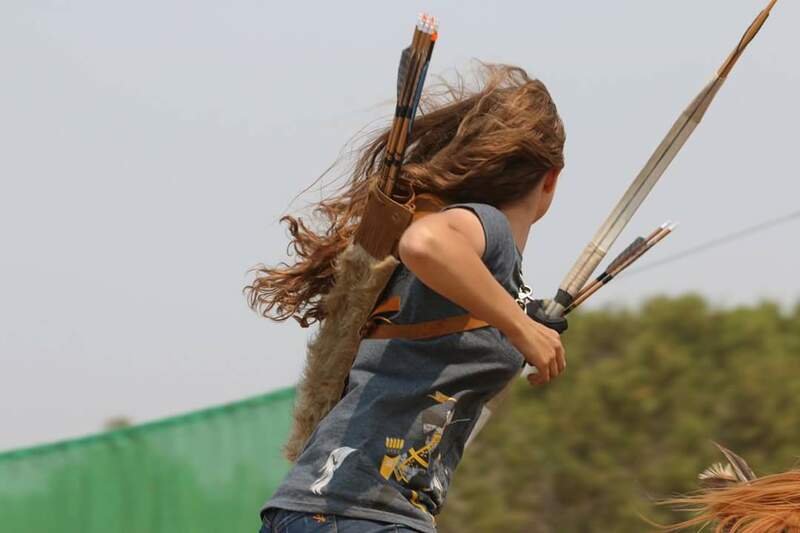 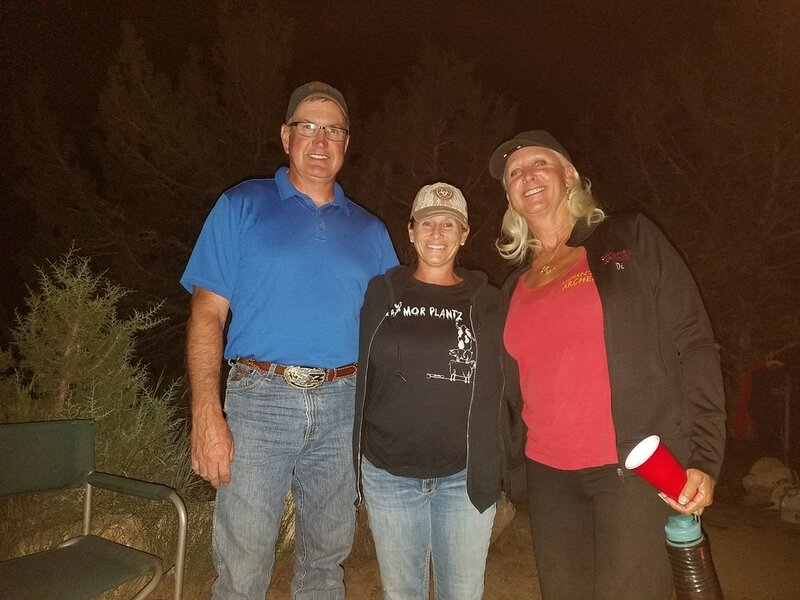 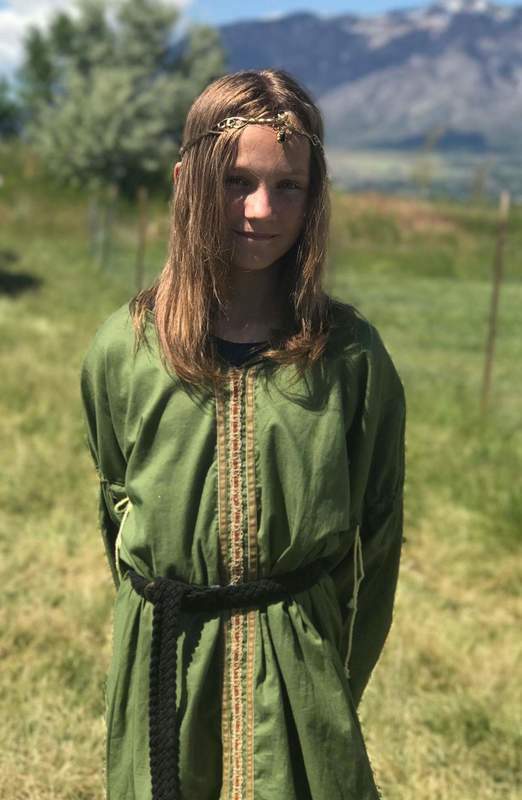 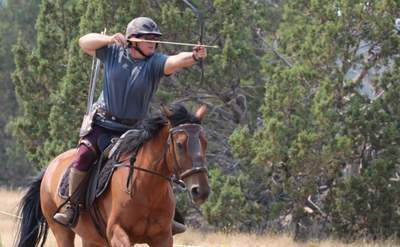 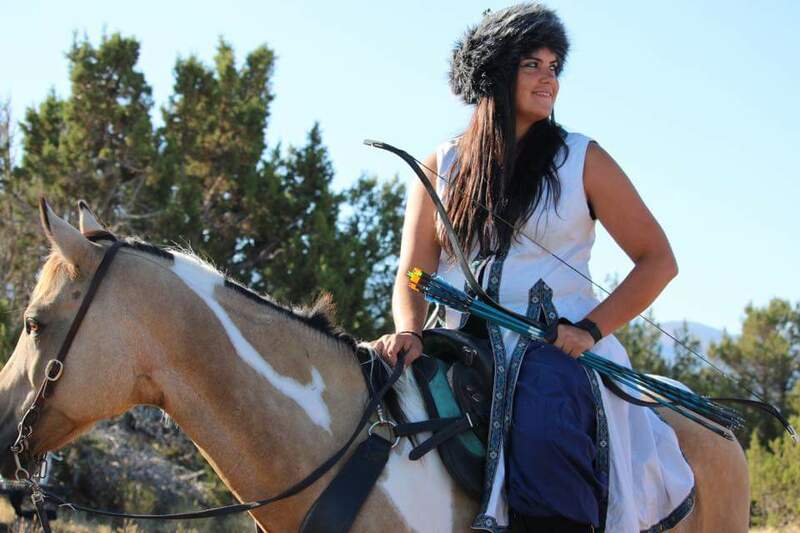 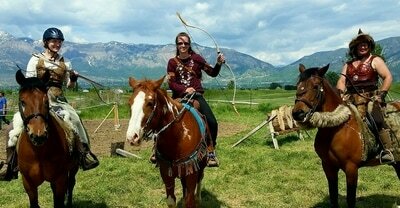 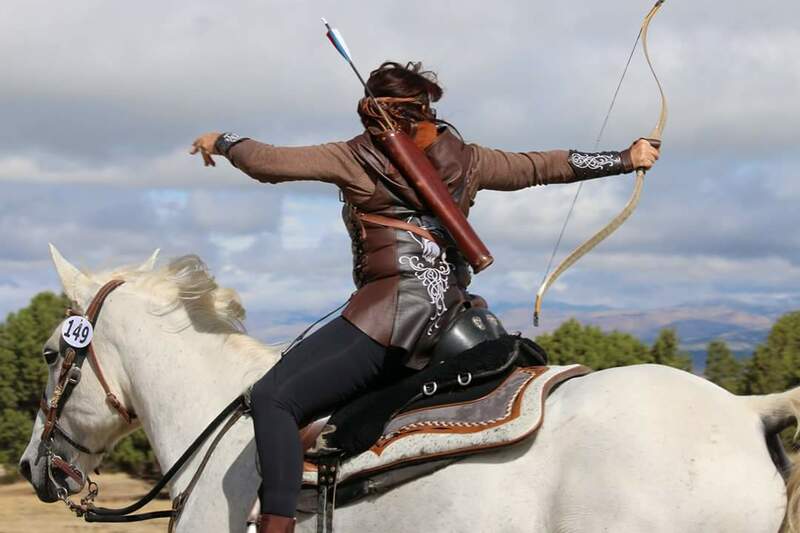 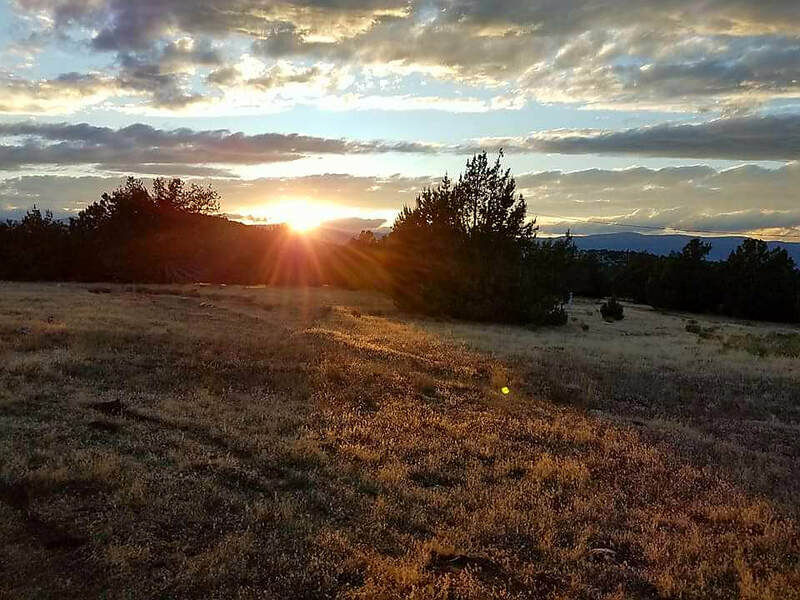 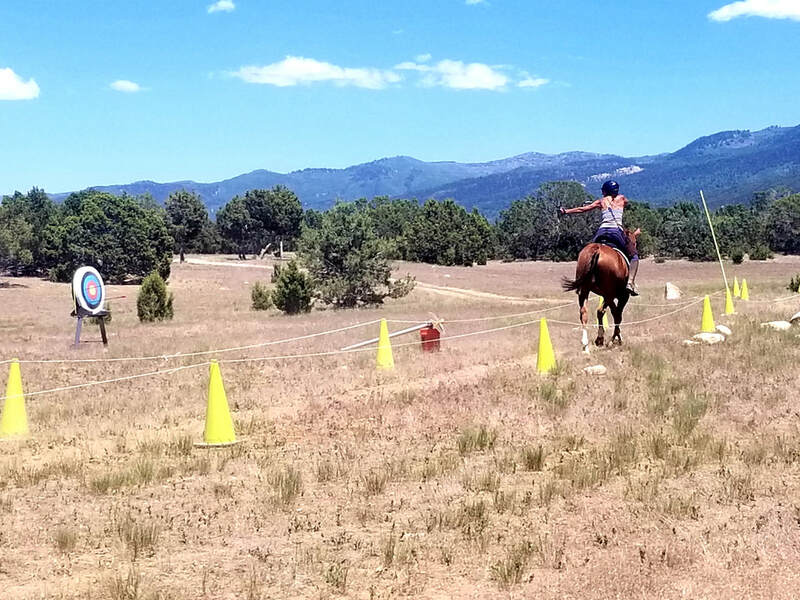 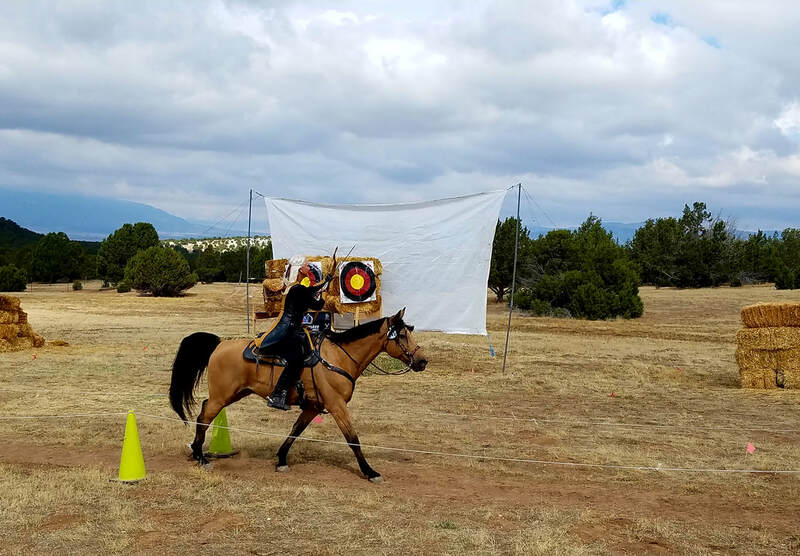 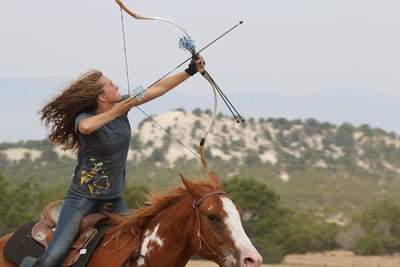 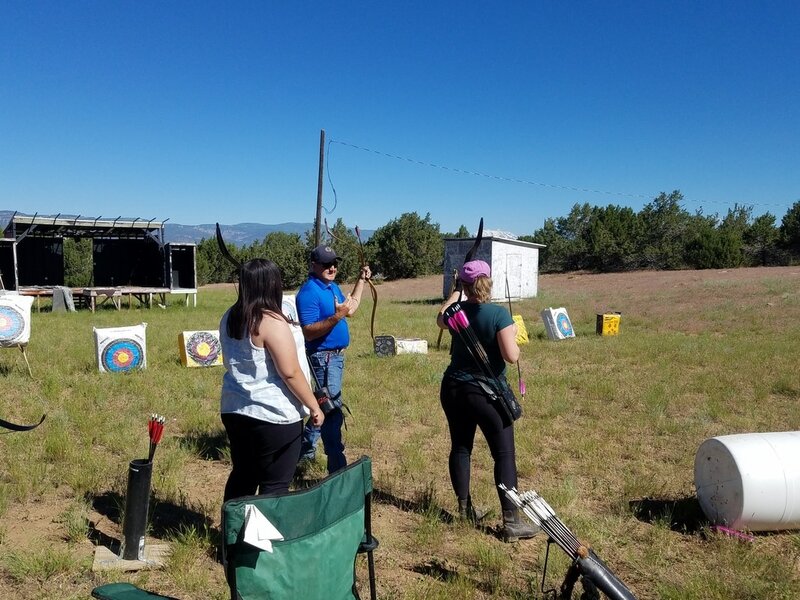 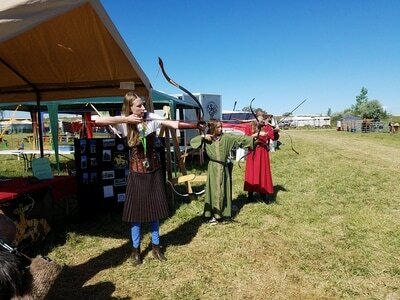 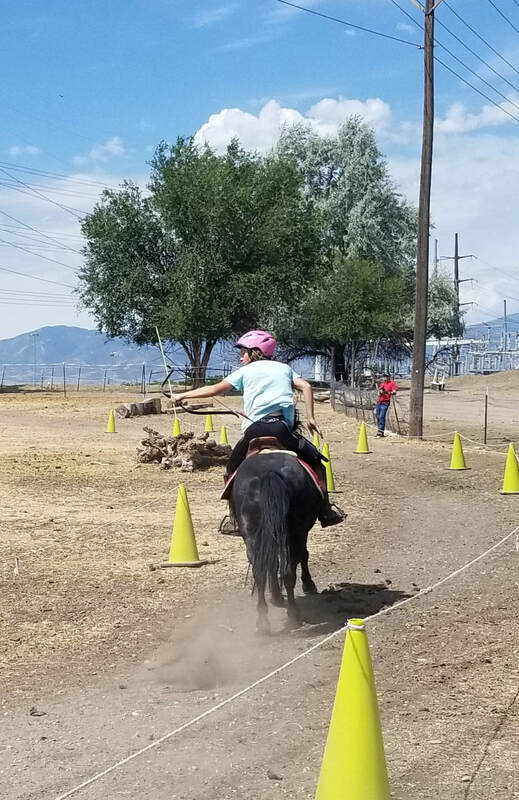 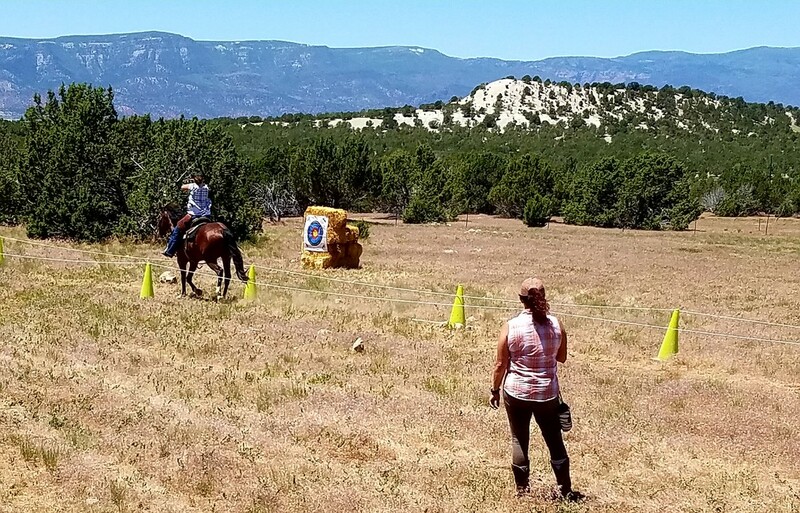 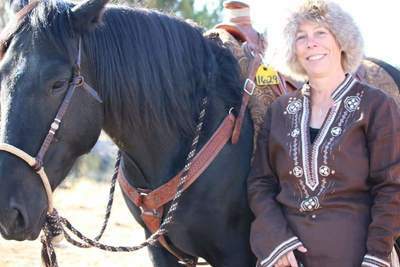 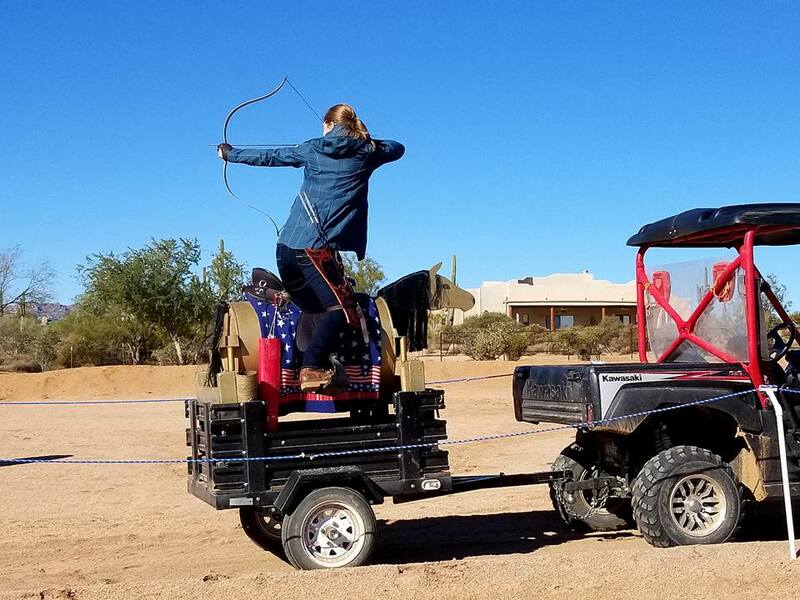 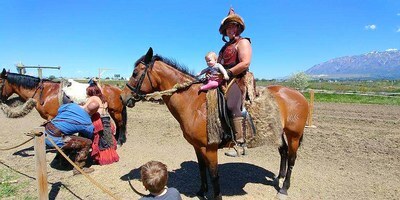 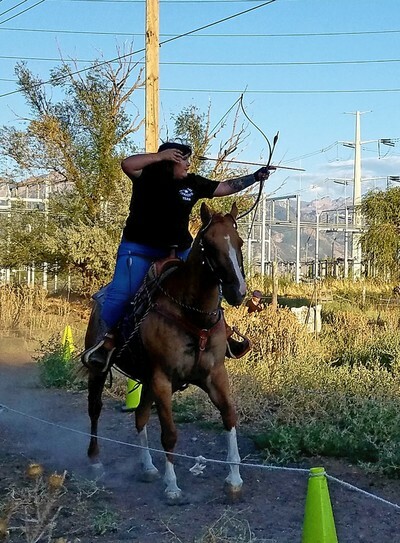 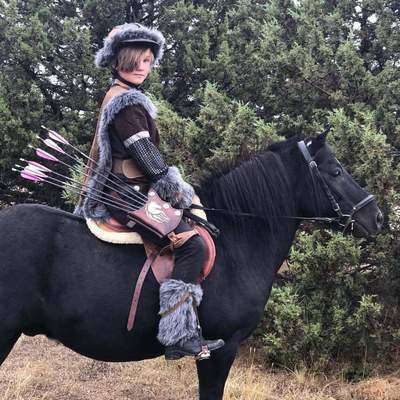 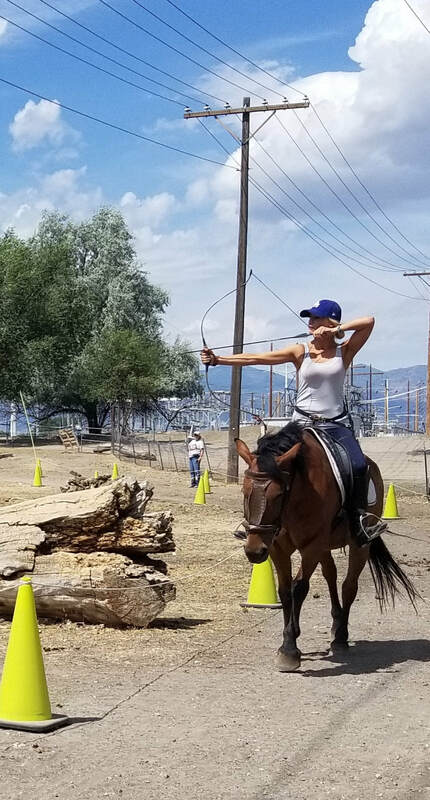 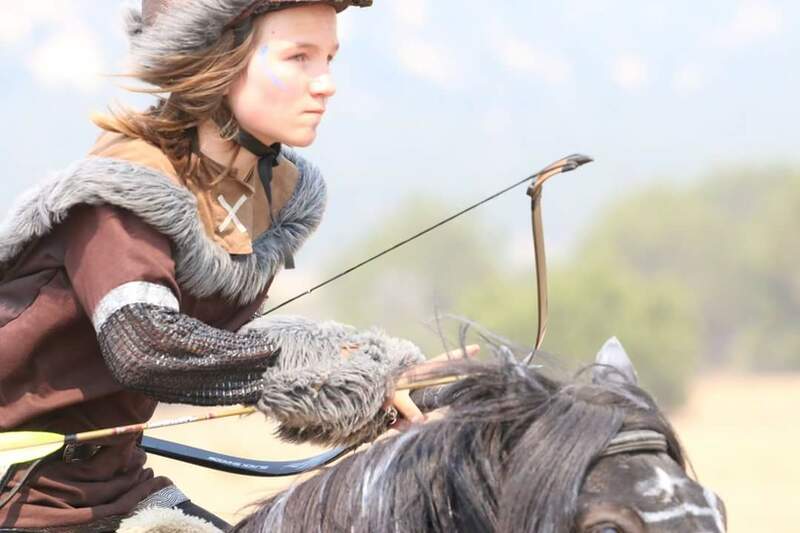 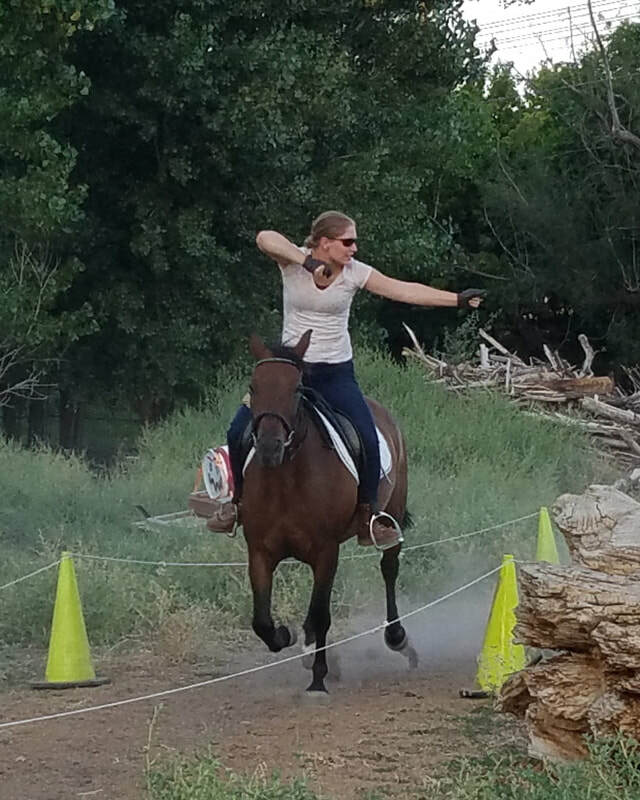 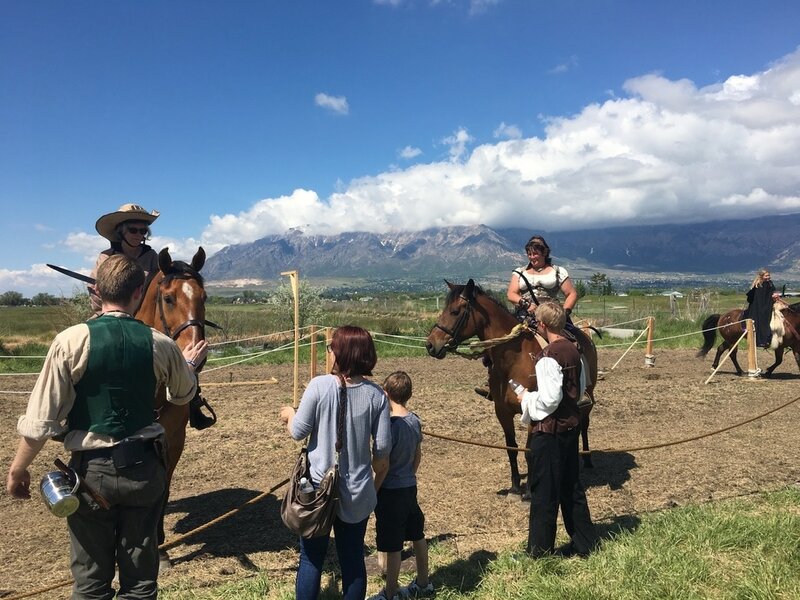 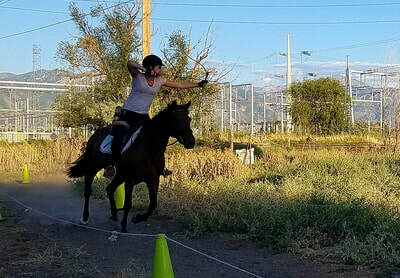 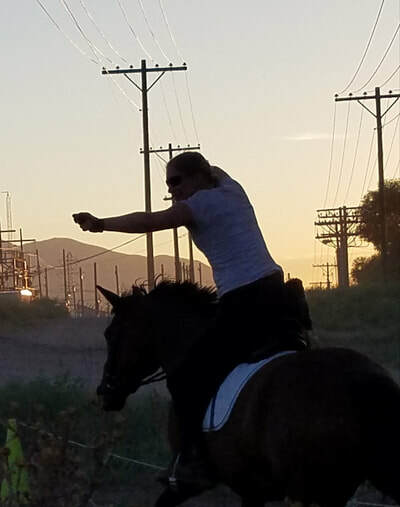 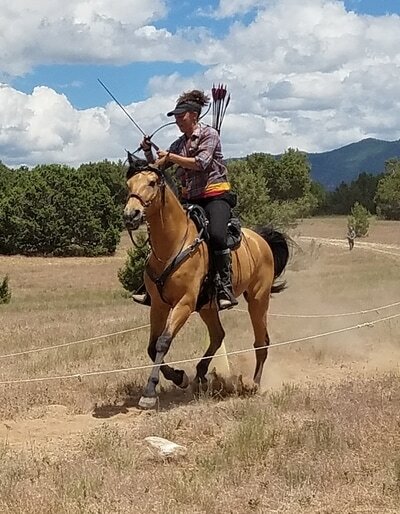 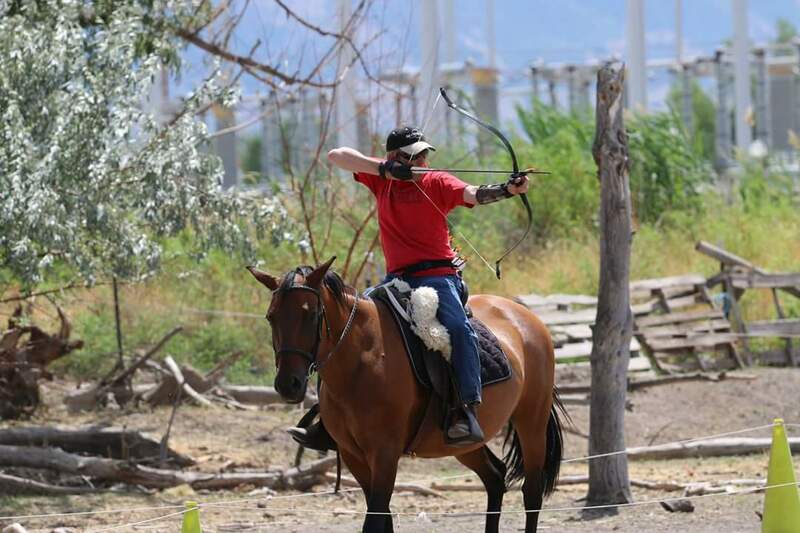 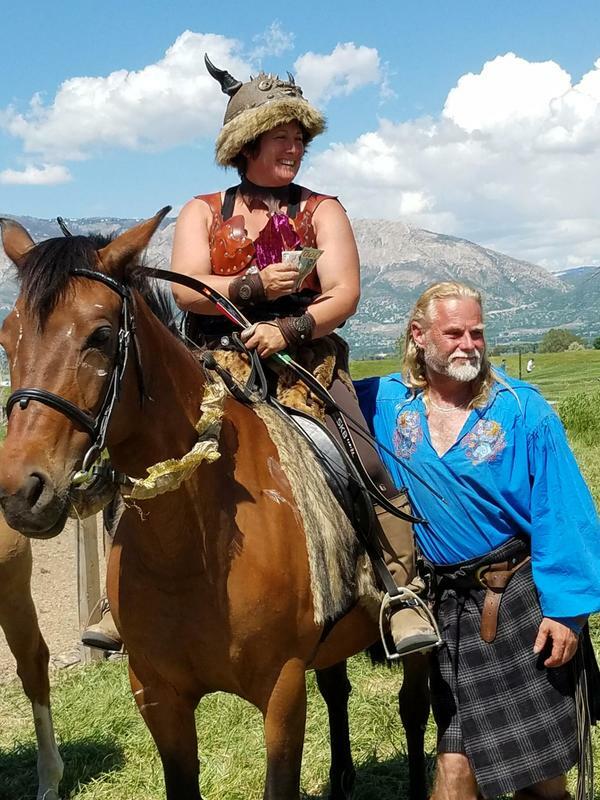 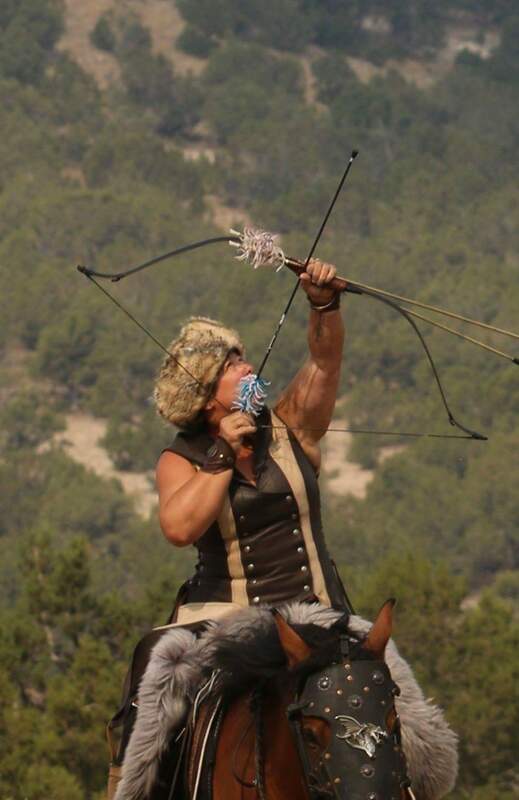 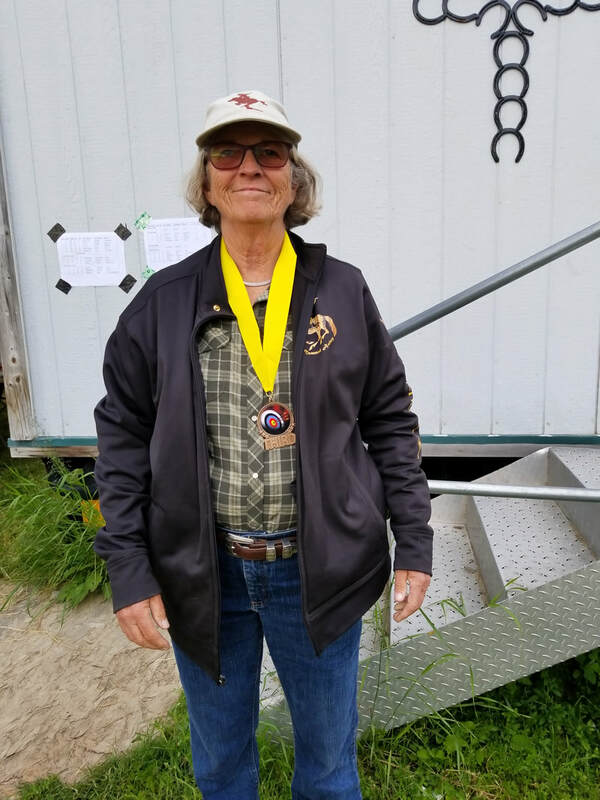 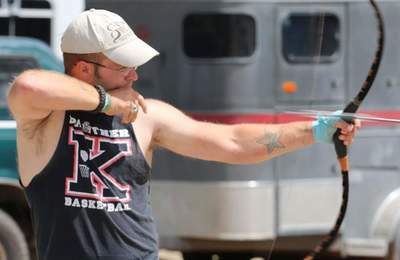 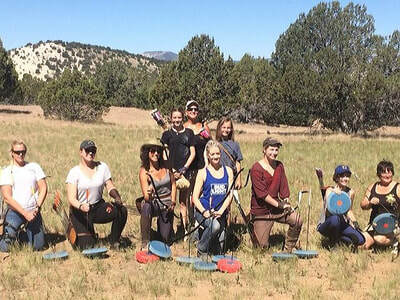 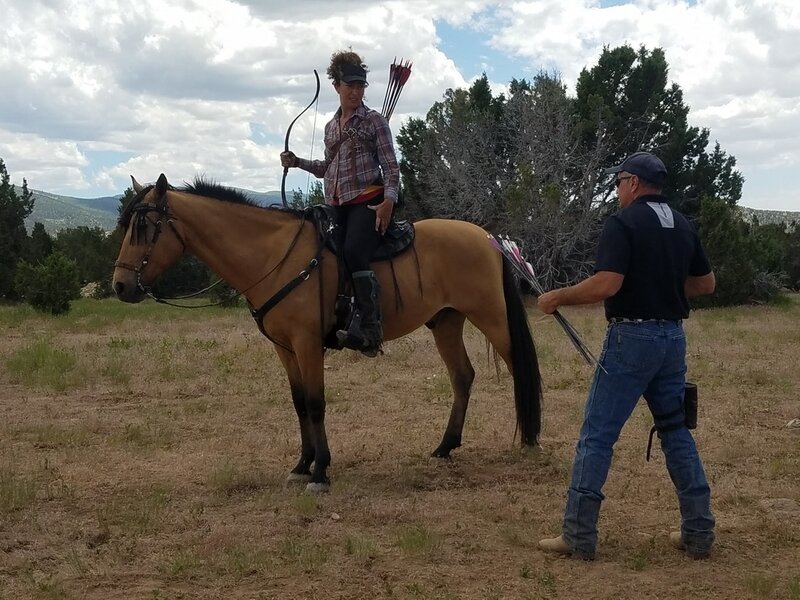 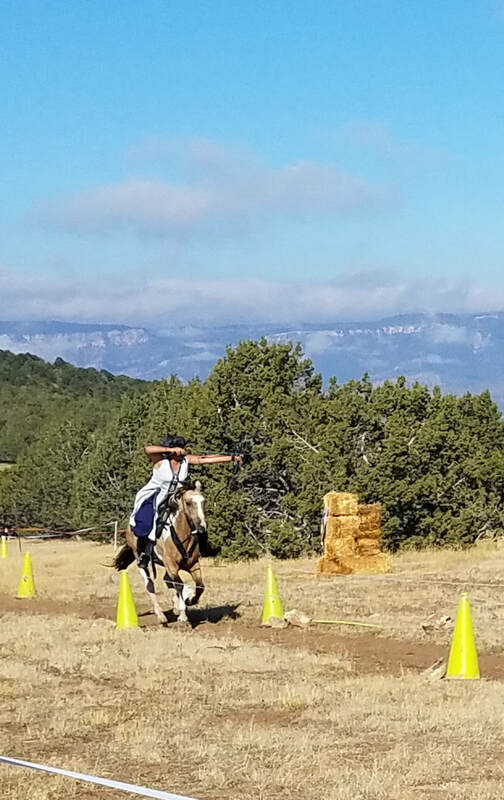 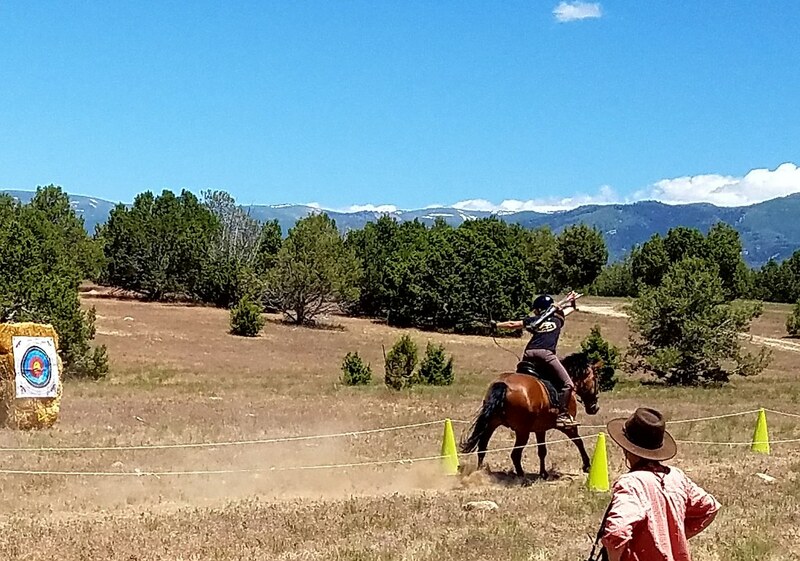 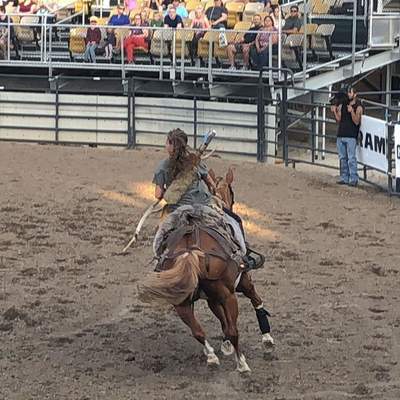 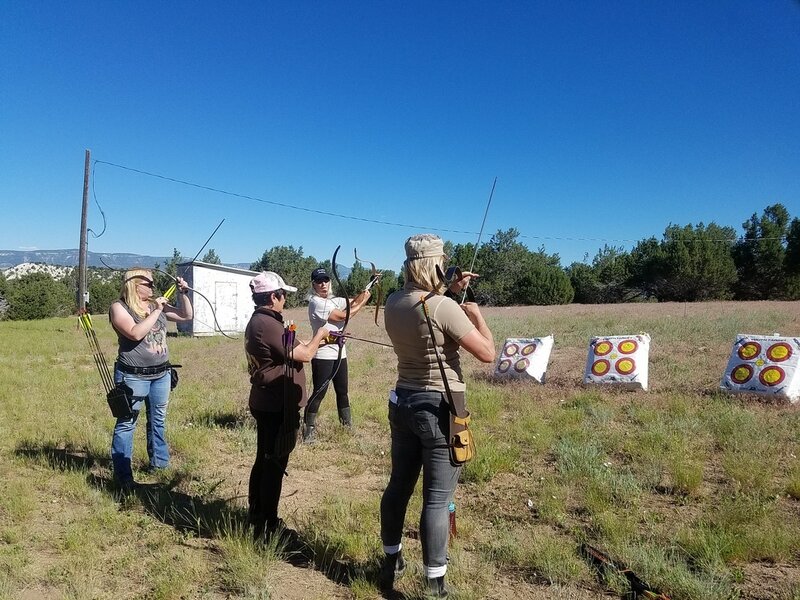 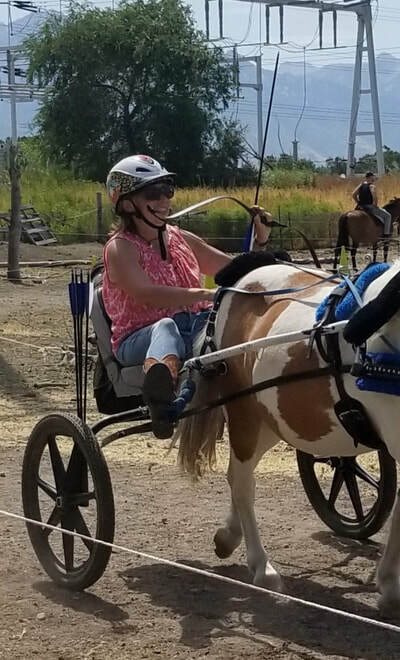 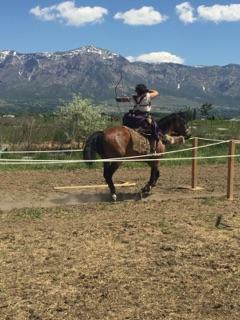 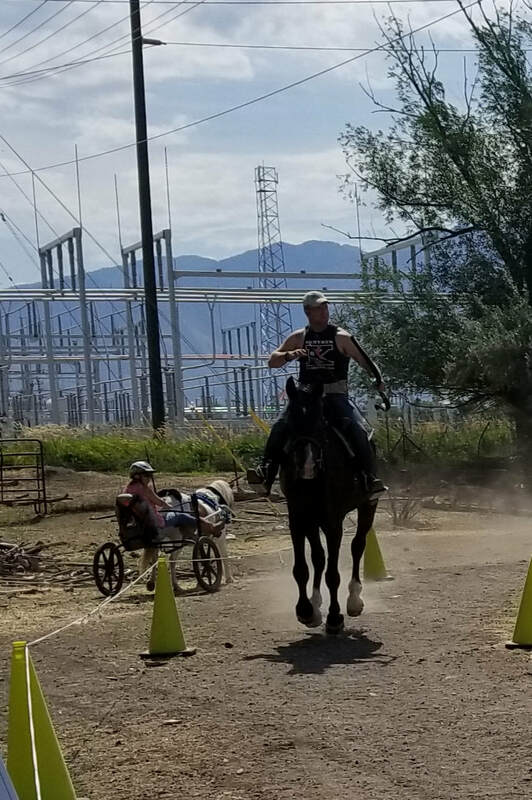 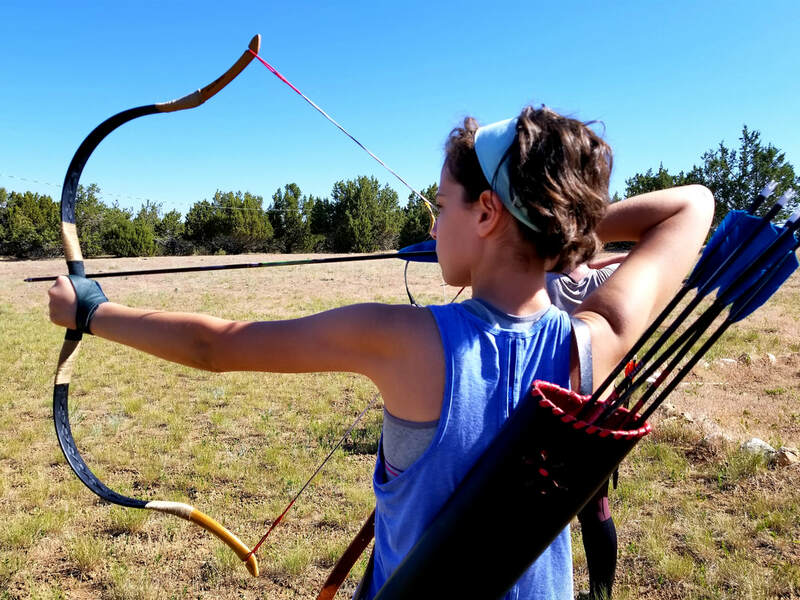 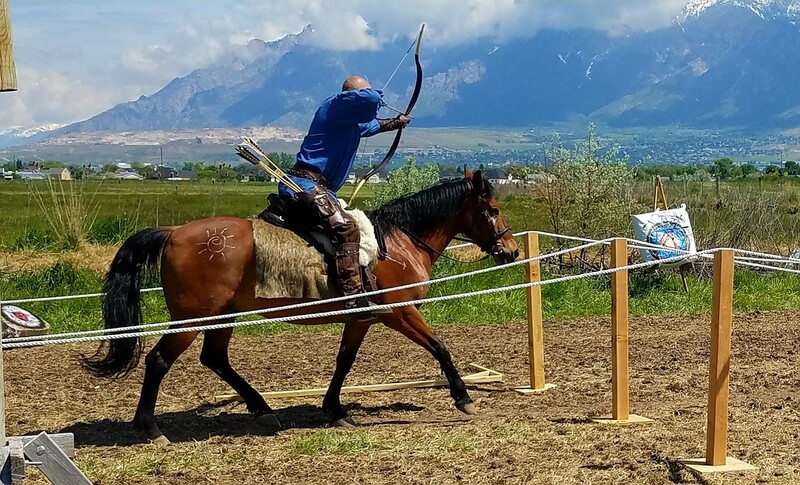 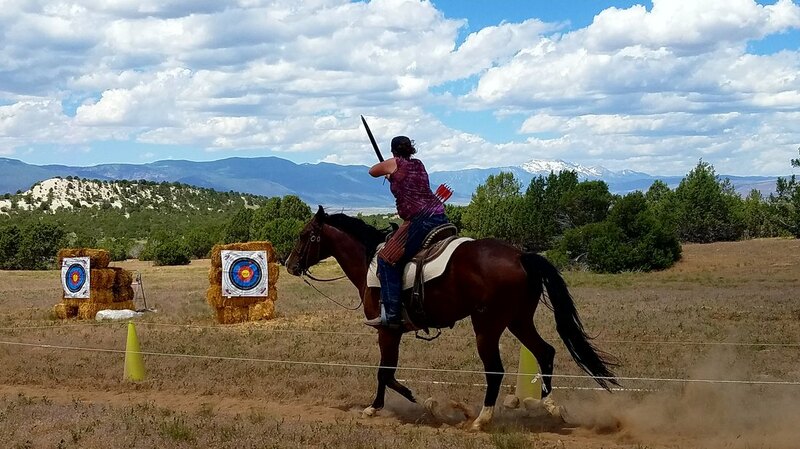 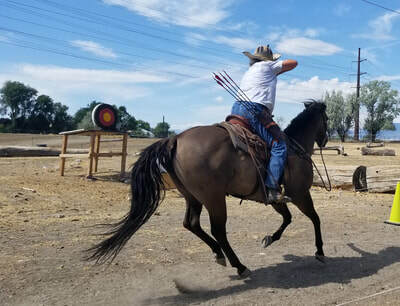 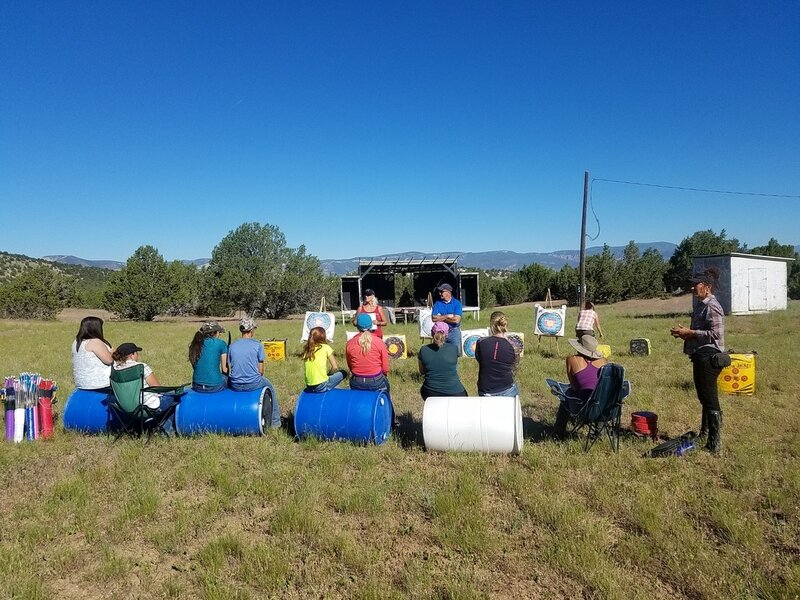 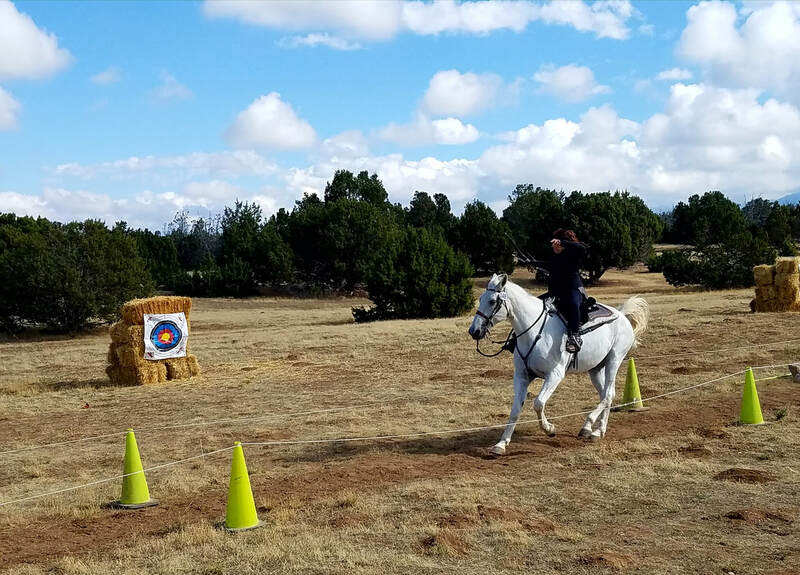 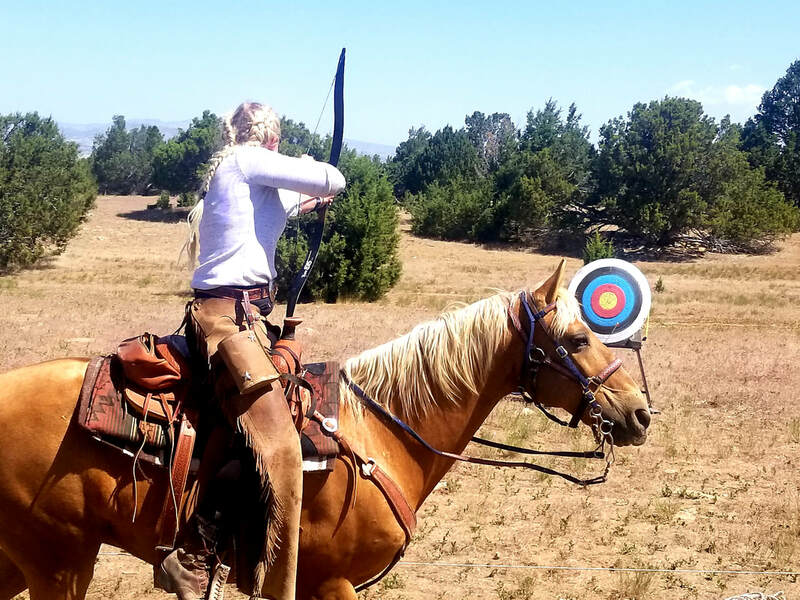 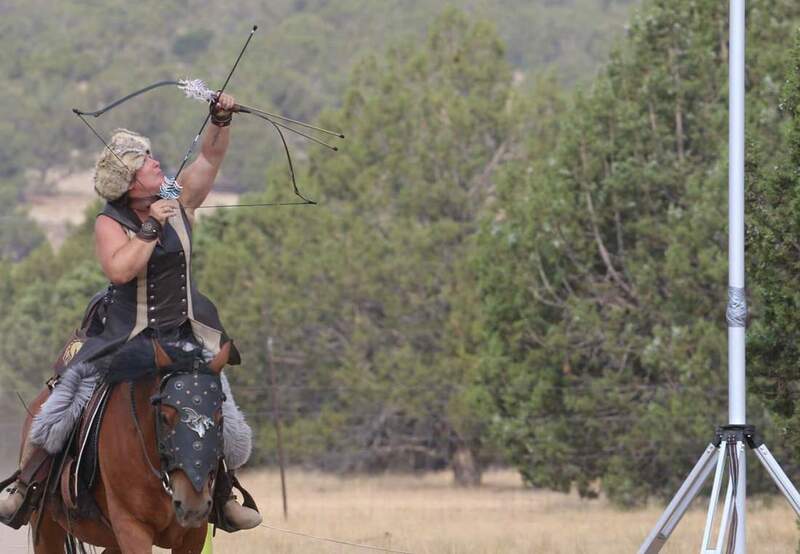 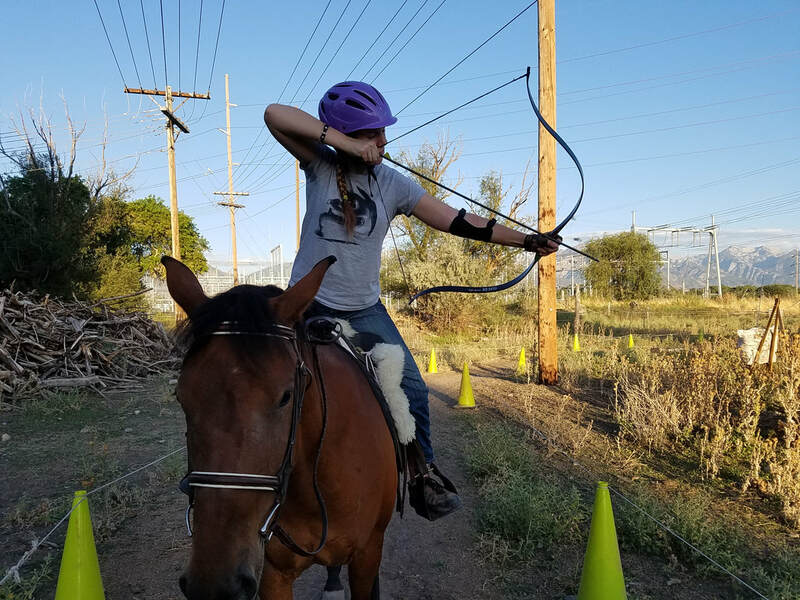 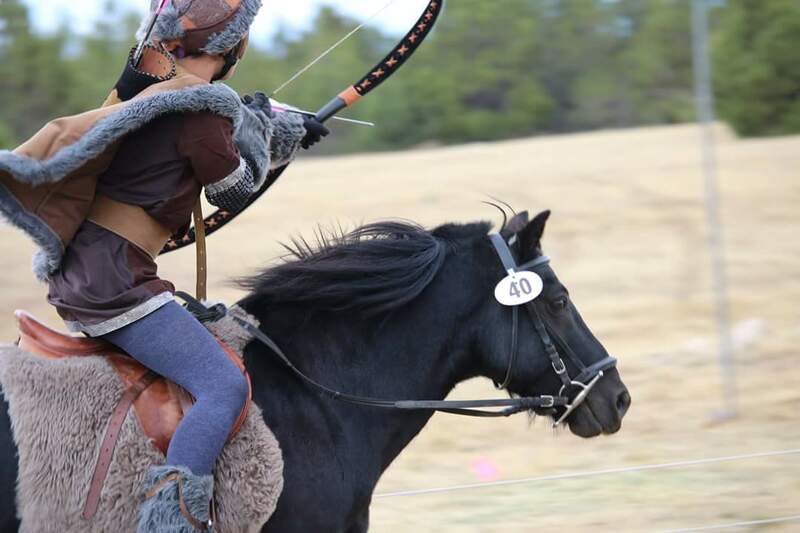 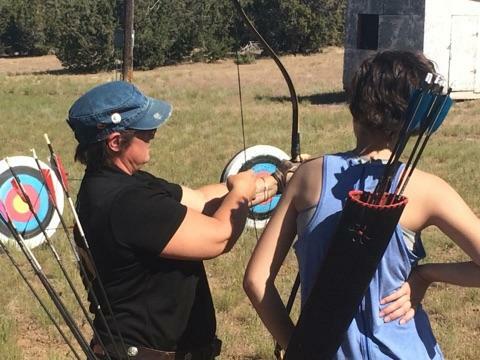 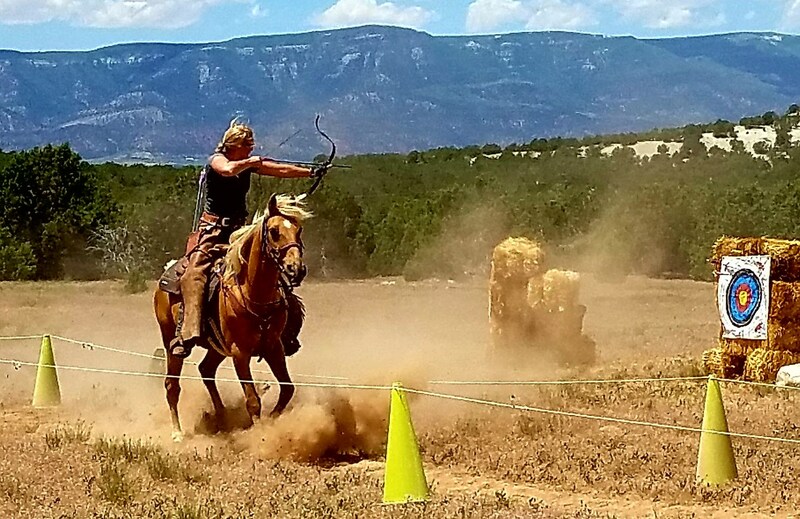 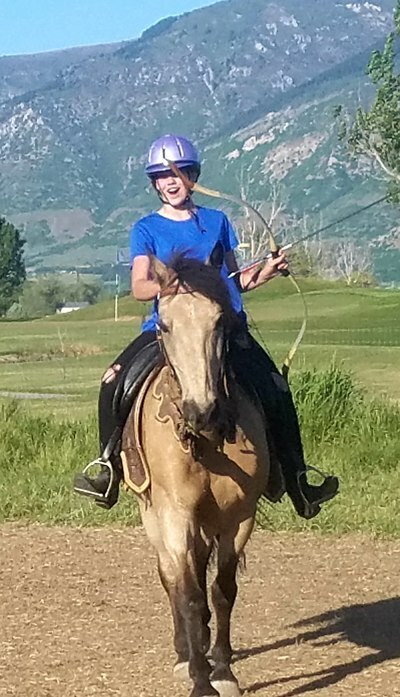 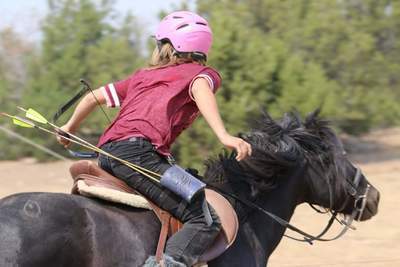 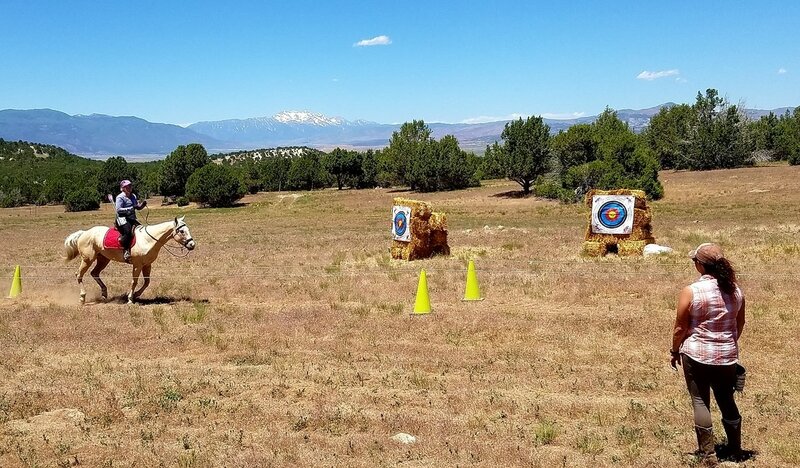 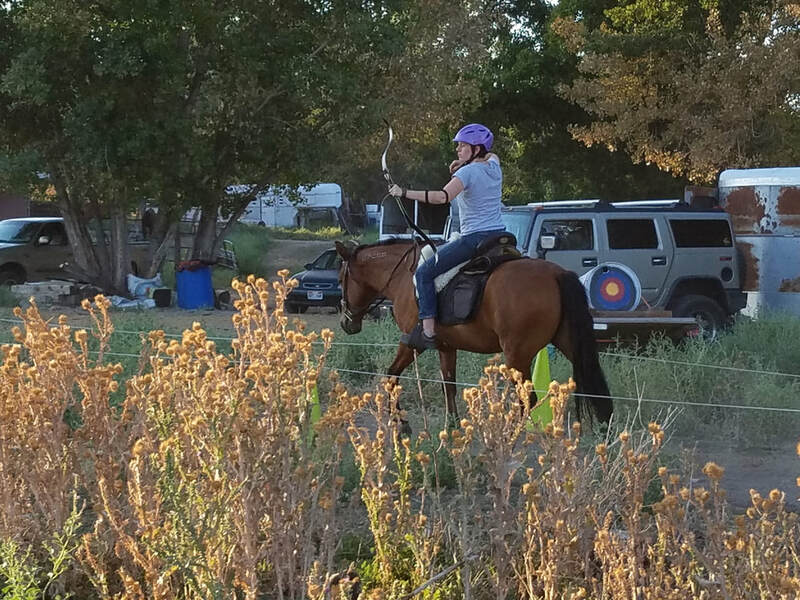 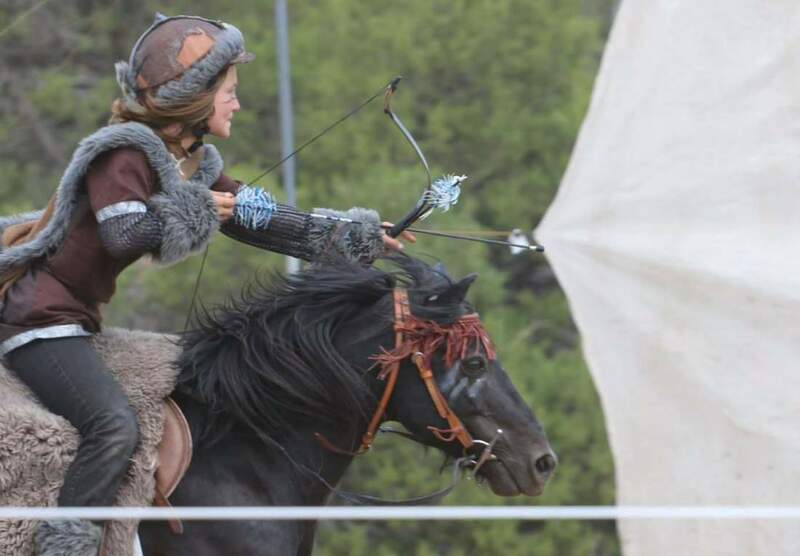 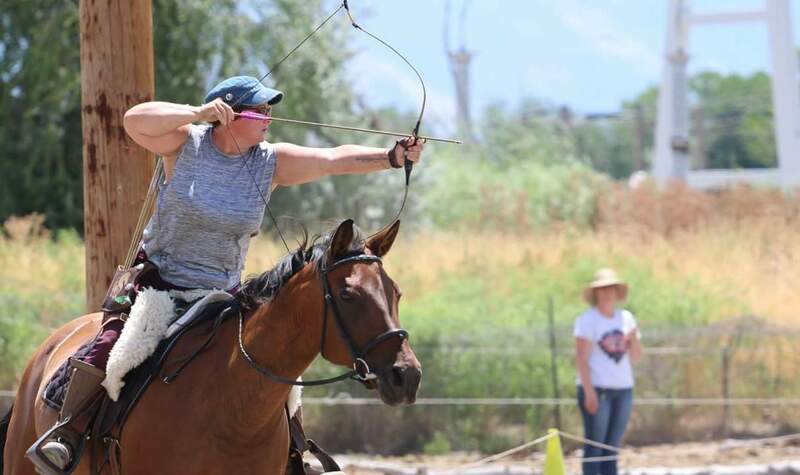 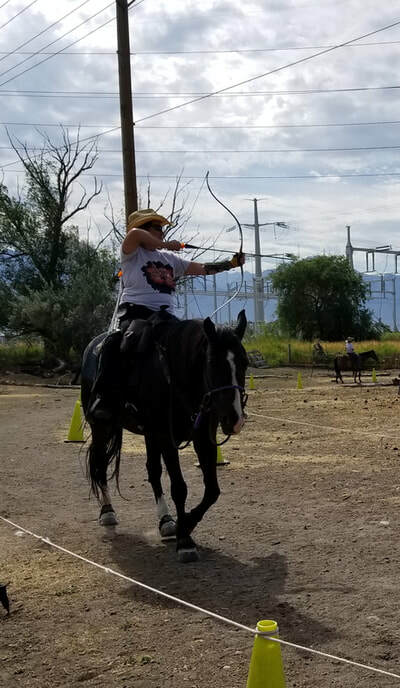 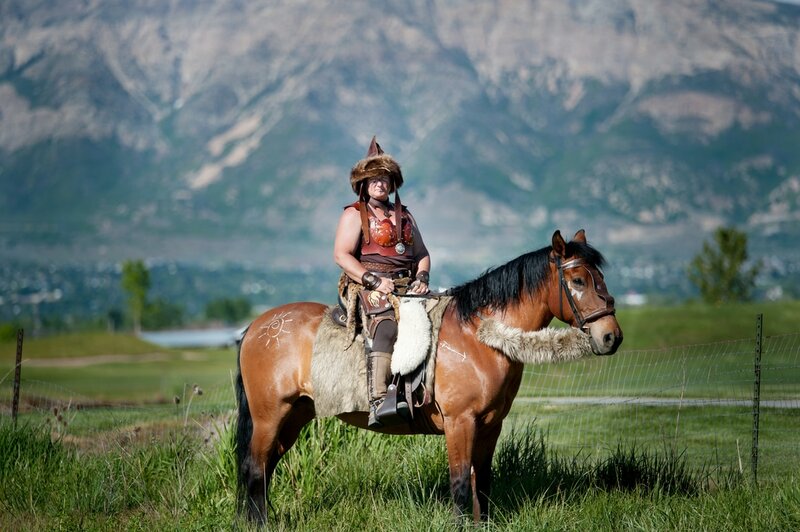 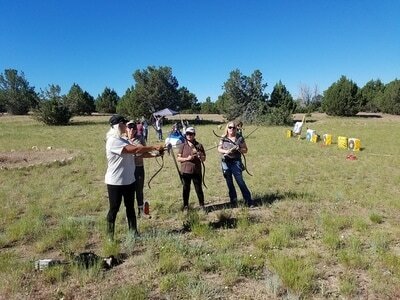 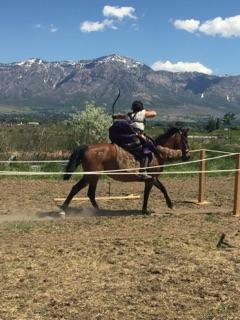 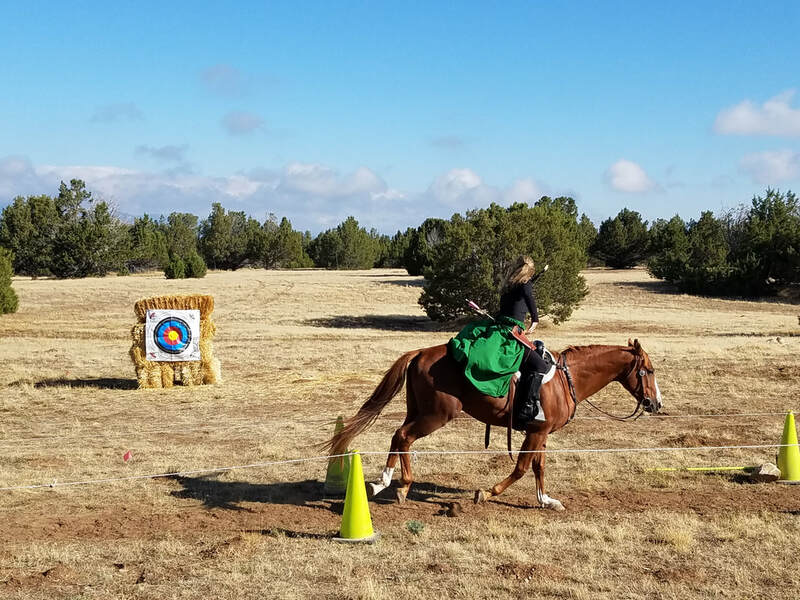 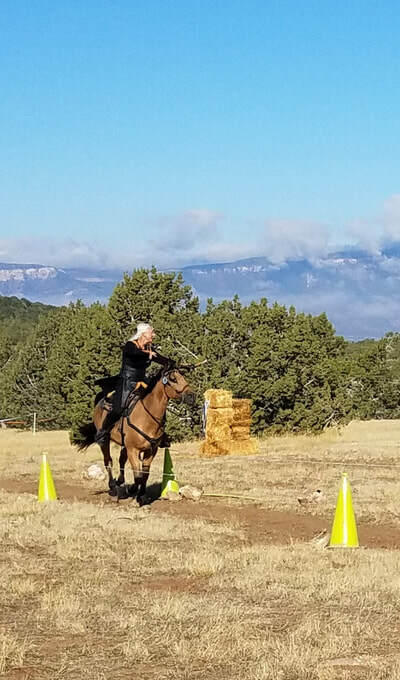 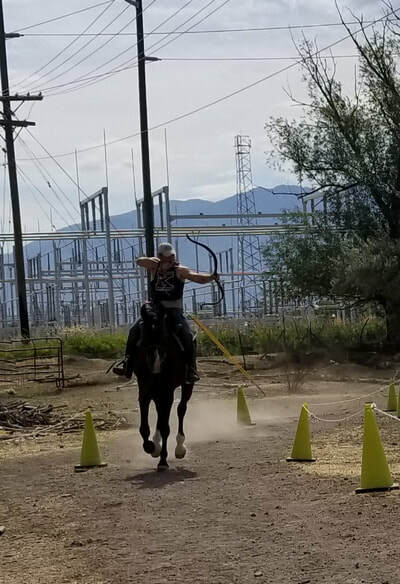 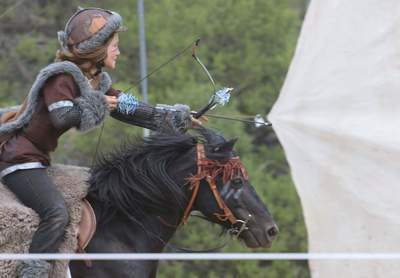 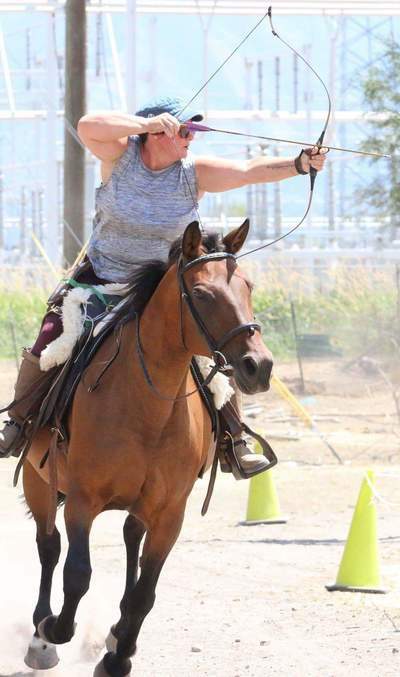 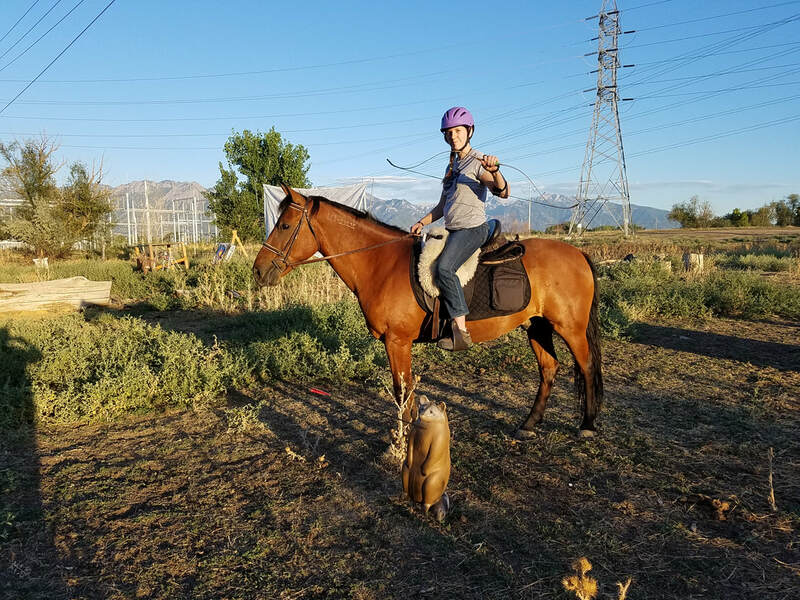 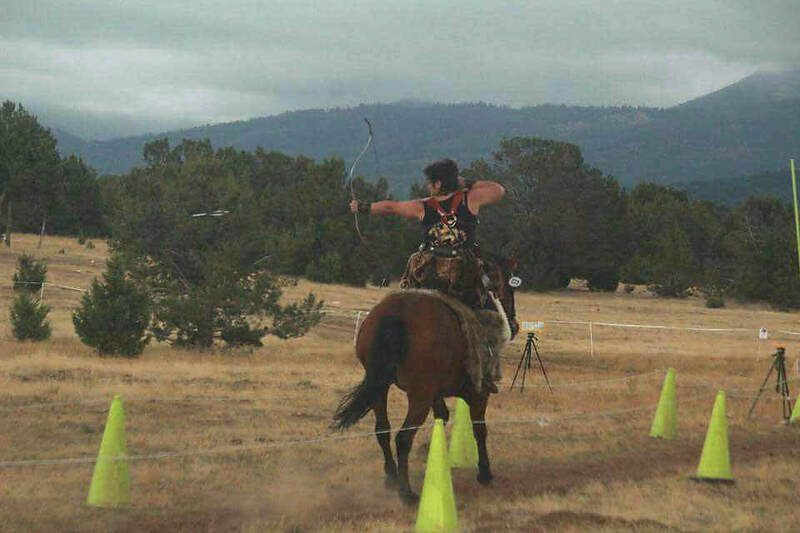 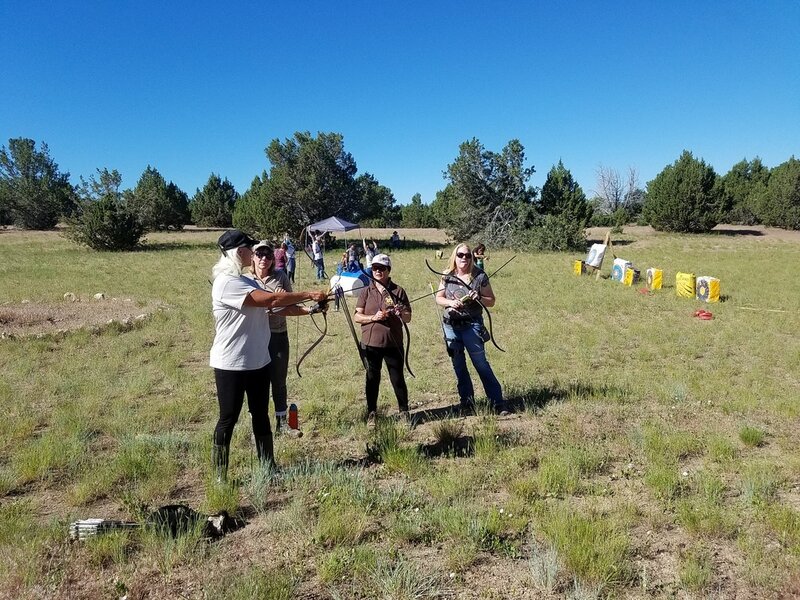 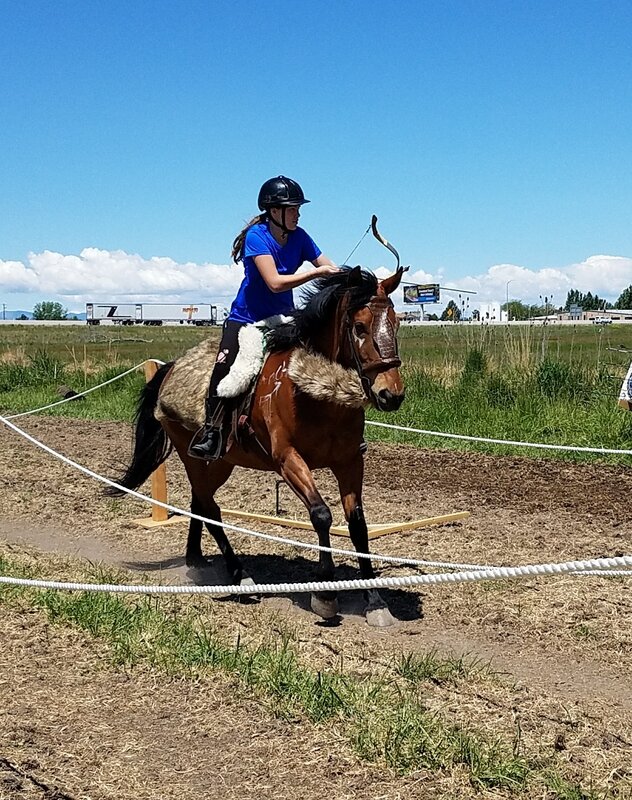 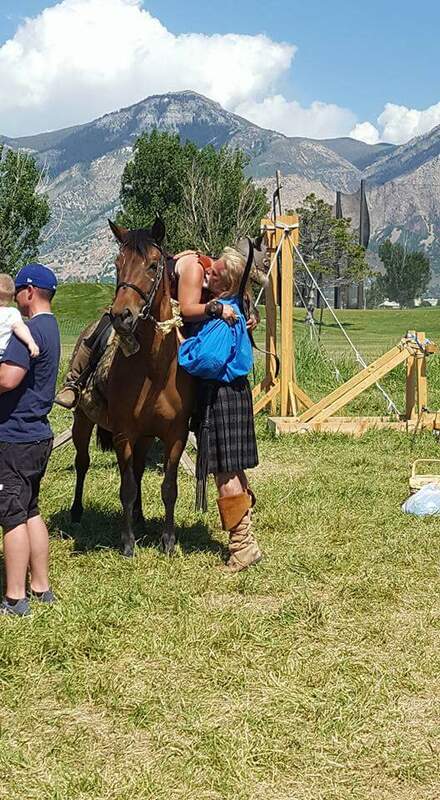 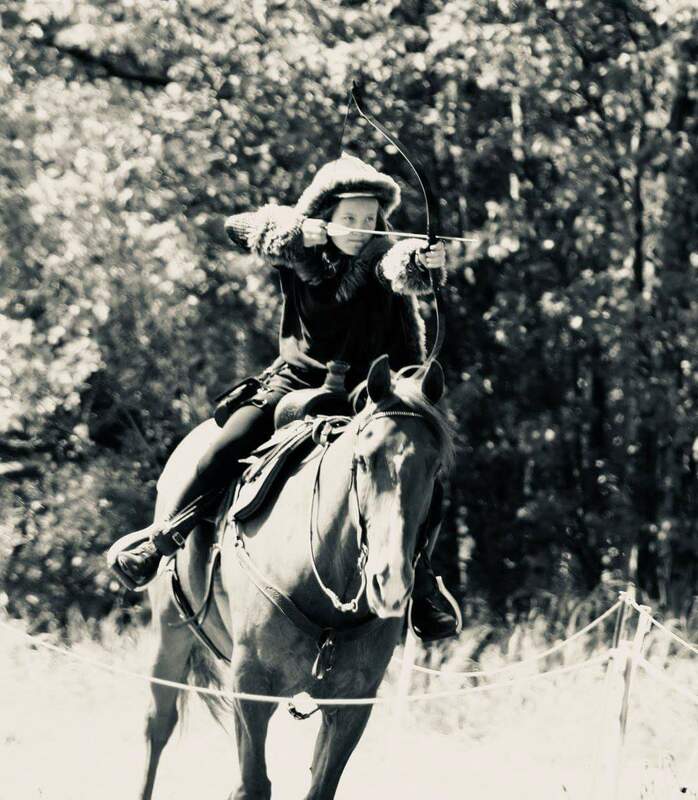 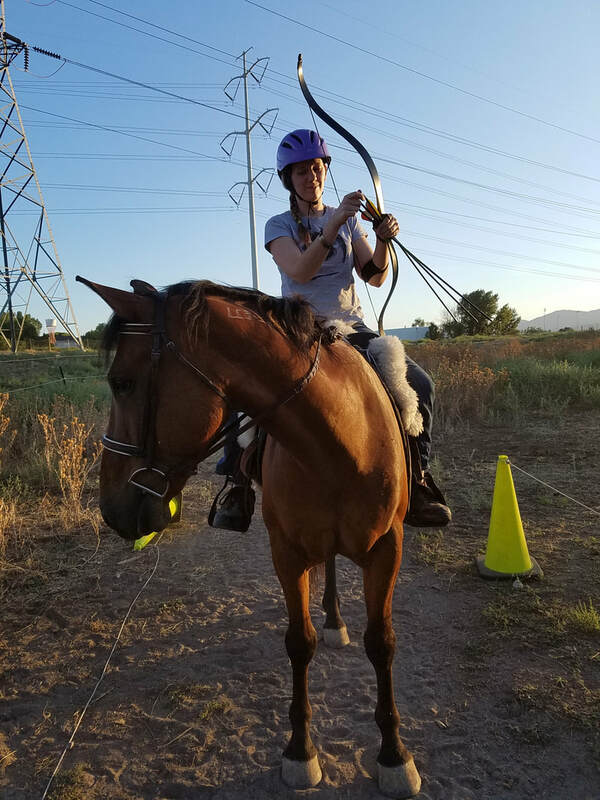 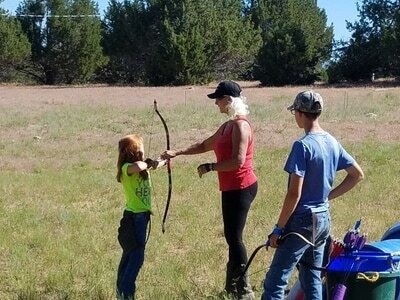 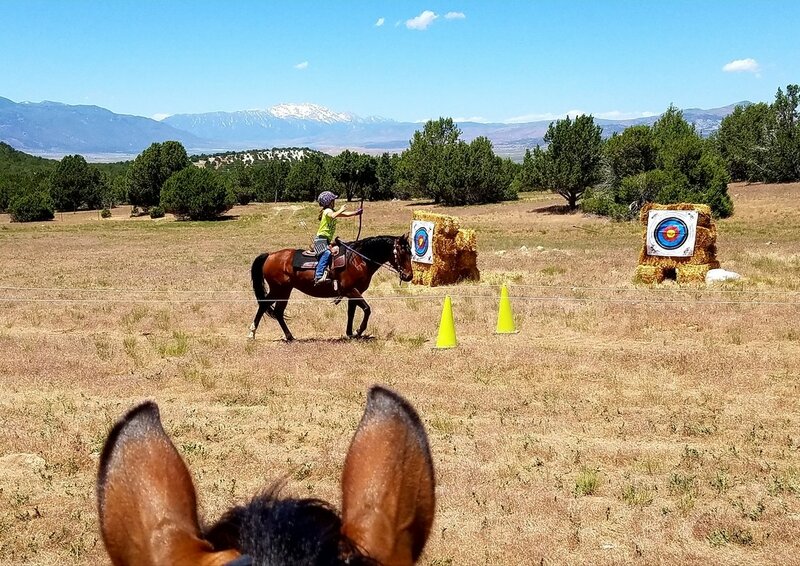 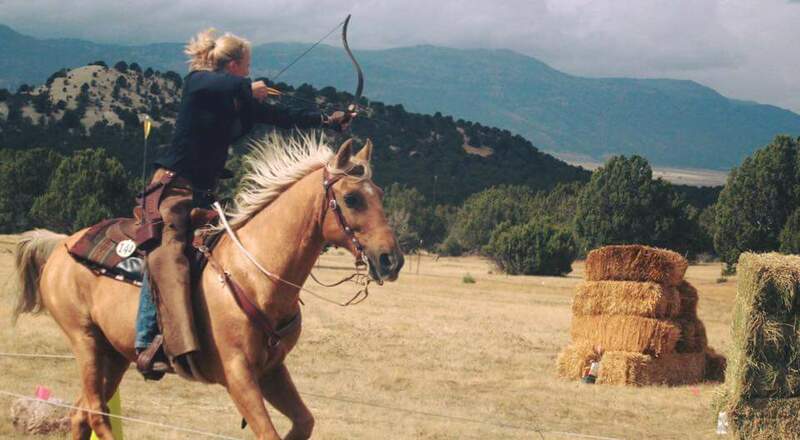 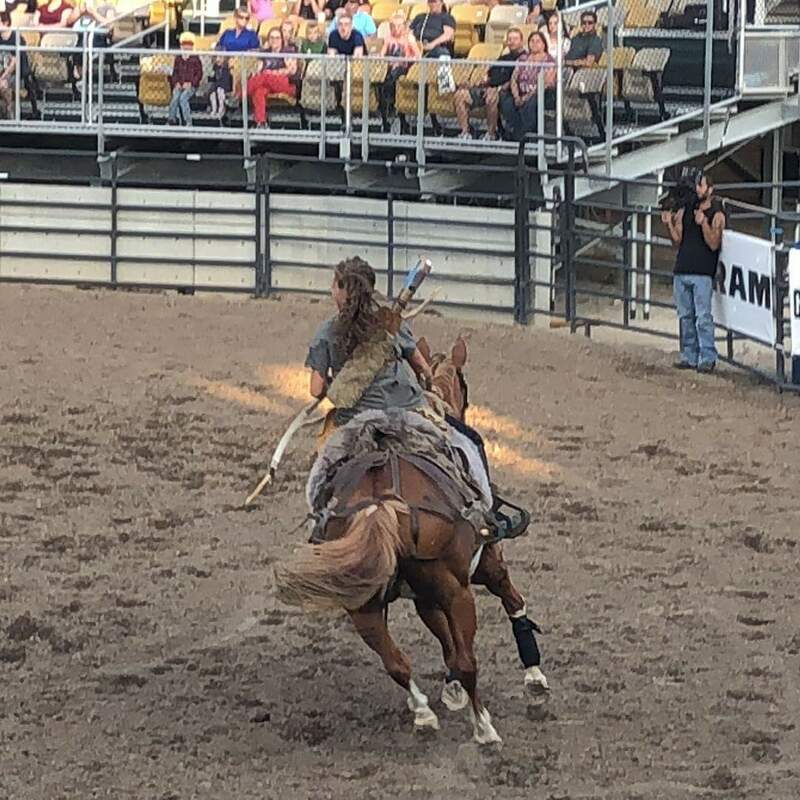 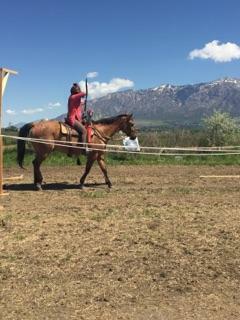 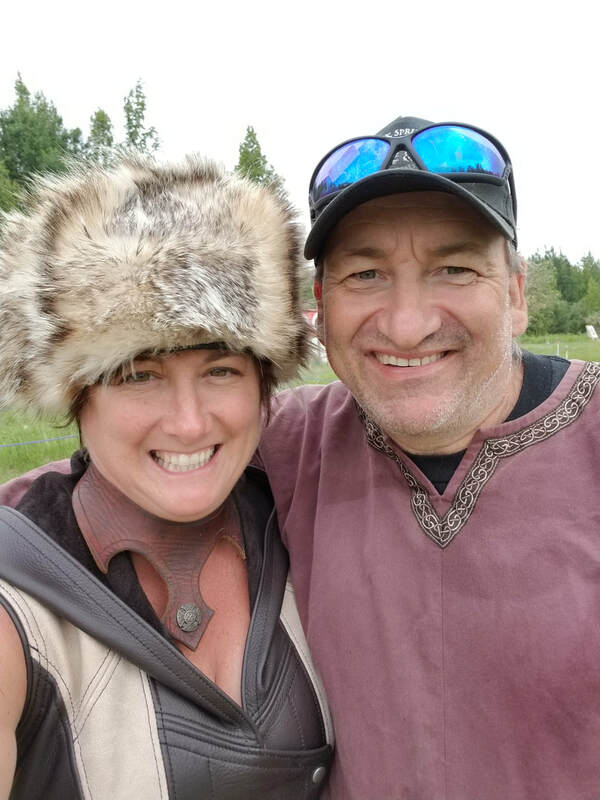 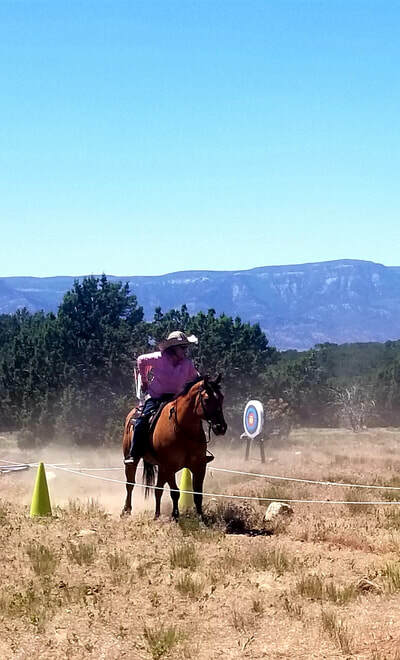 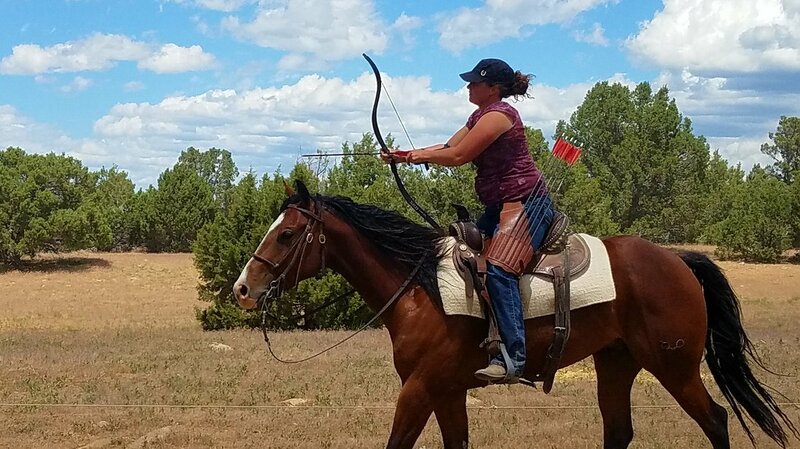 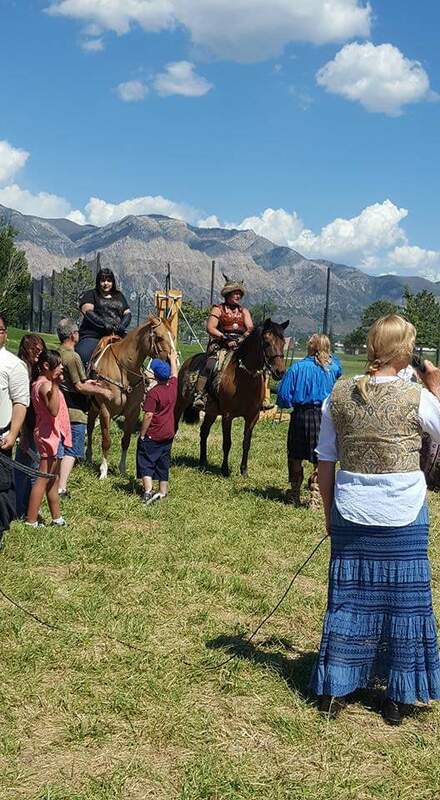 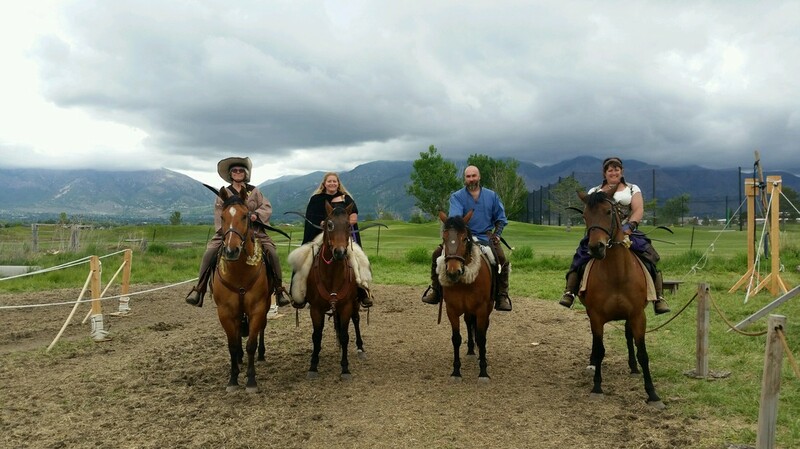 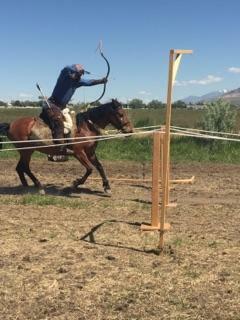 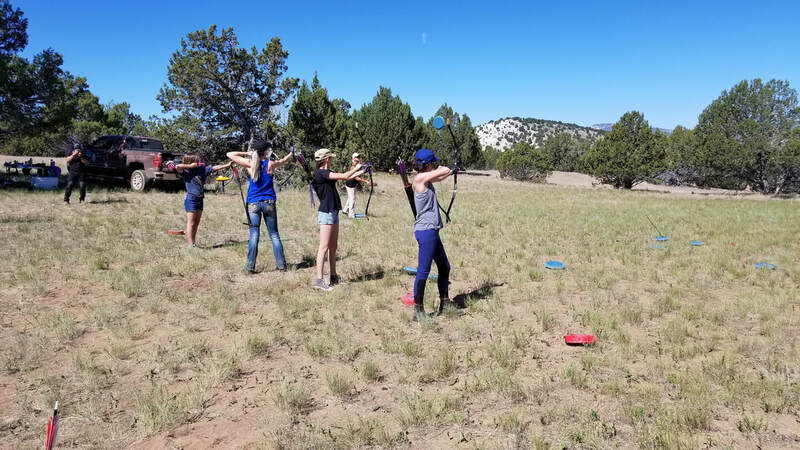 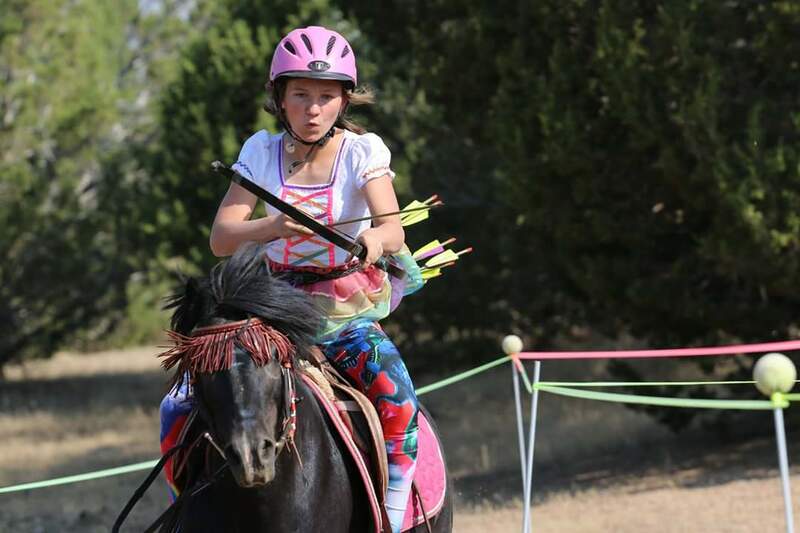 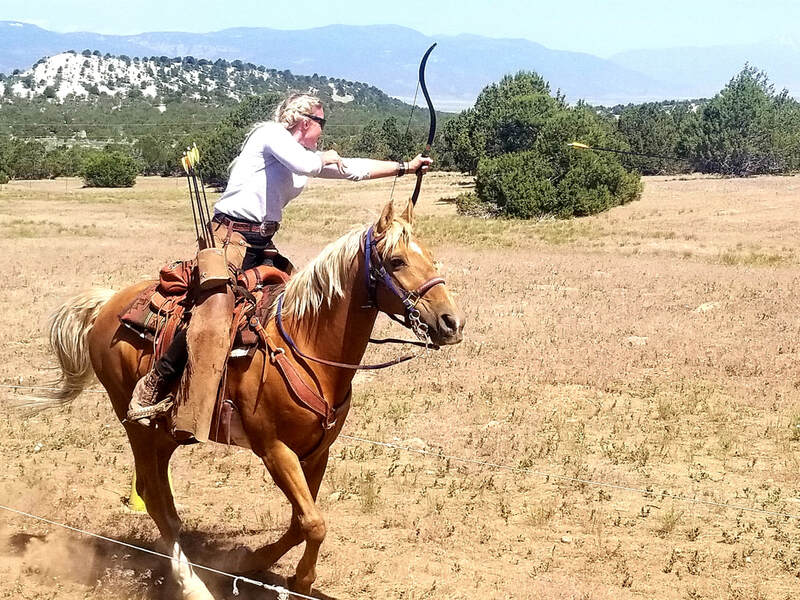 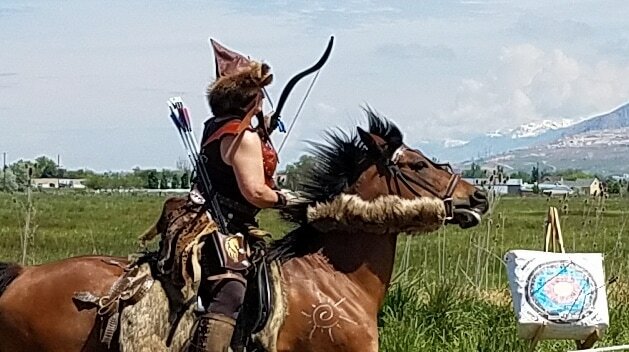 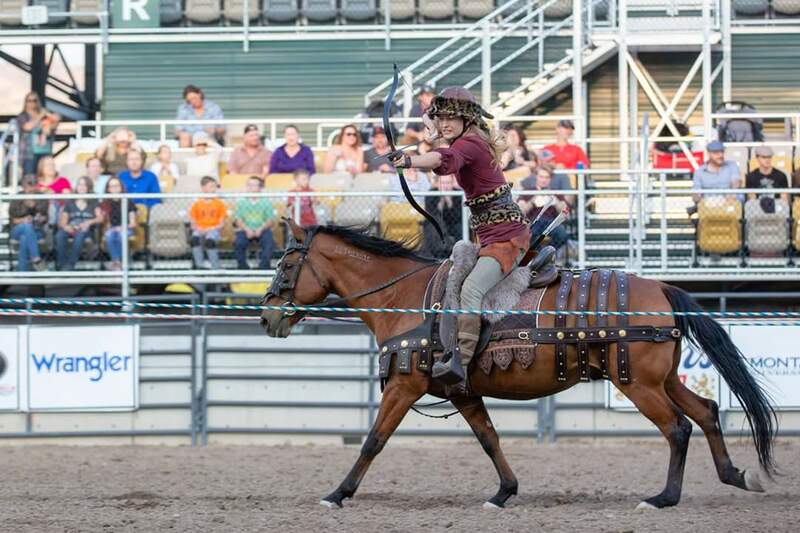 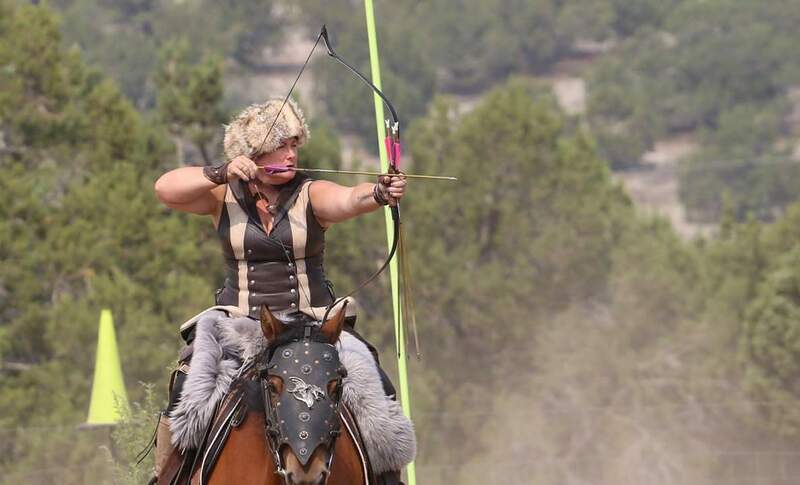 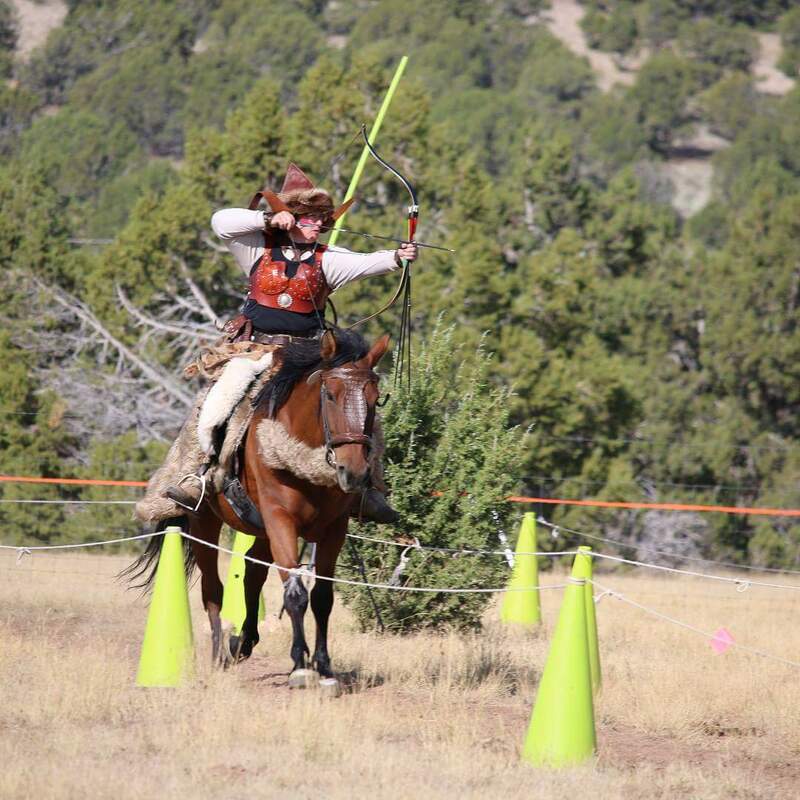 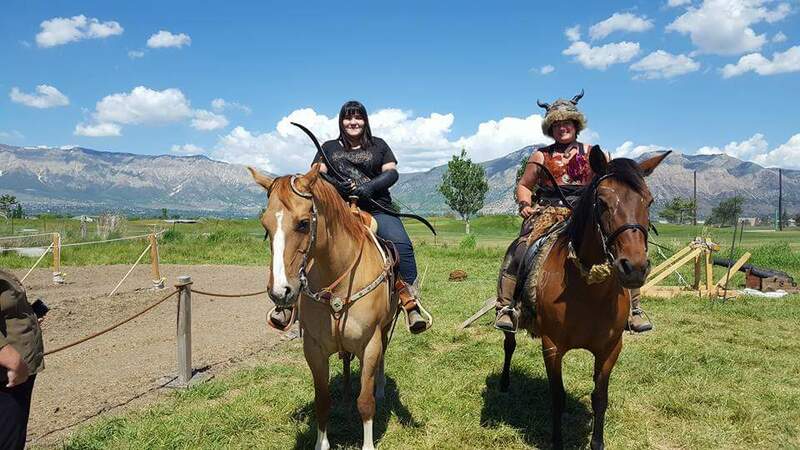 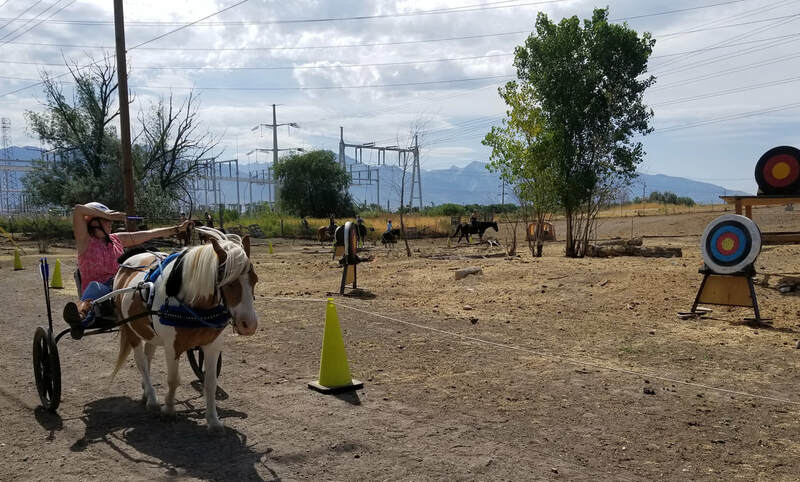 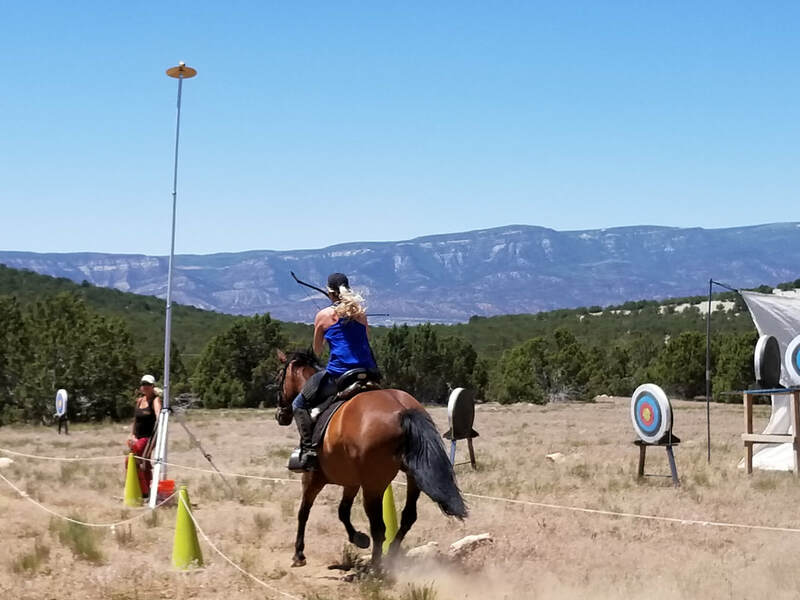 Stacey Hornsby is the founder of Alpine Mounted Archers - Utah's first mounted archery club!